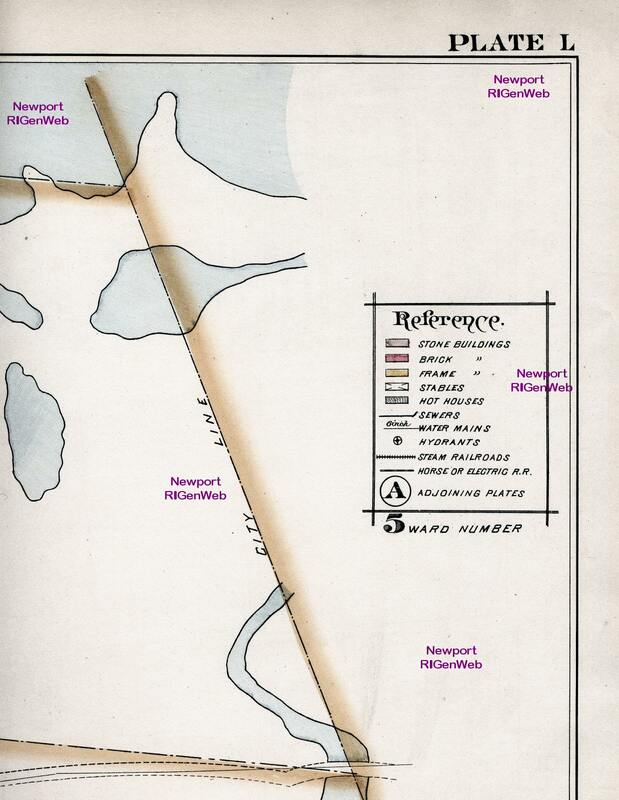 Above is the index map for the rest of the maps. 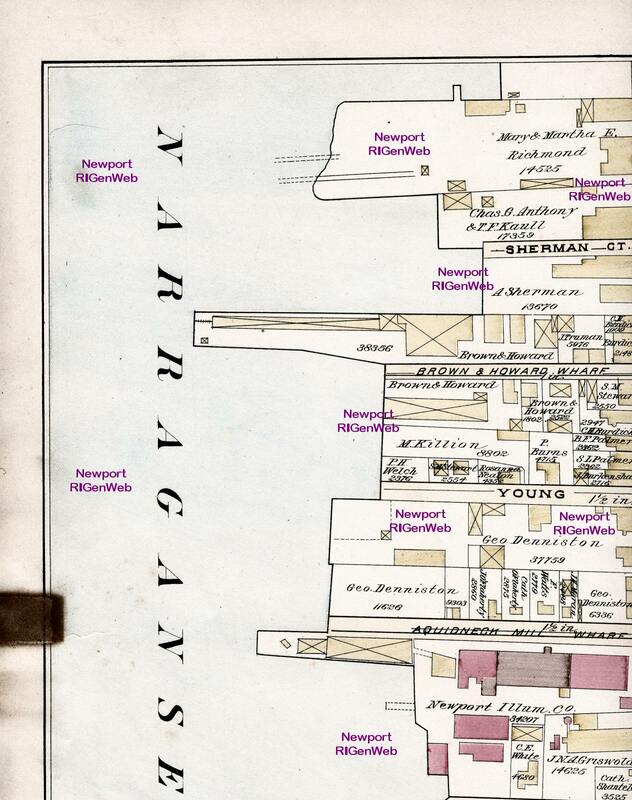 It is sectioned in this view approximately where the enlargements are split. 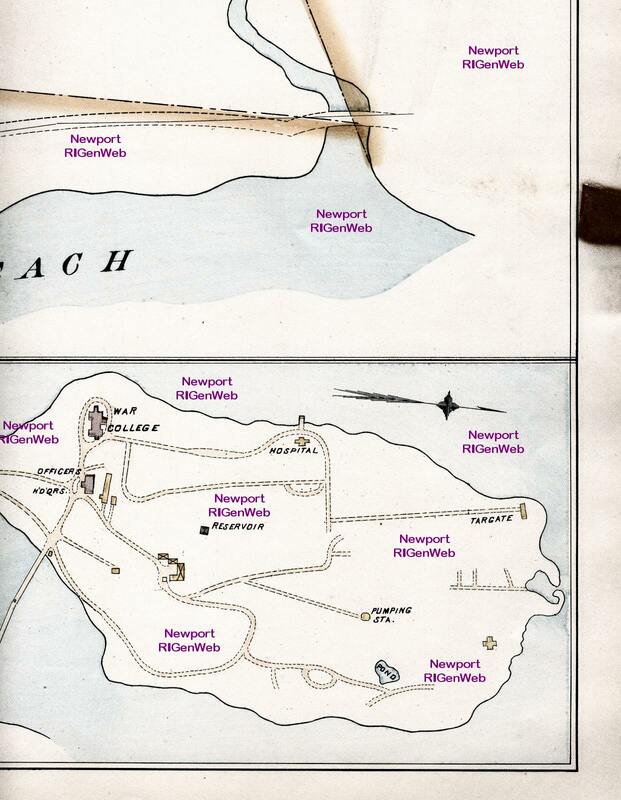 However, the enlarged scans overlap. 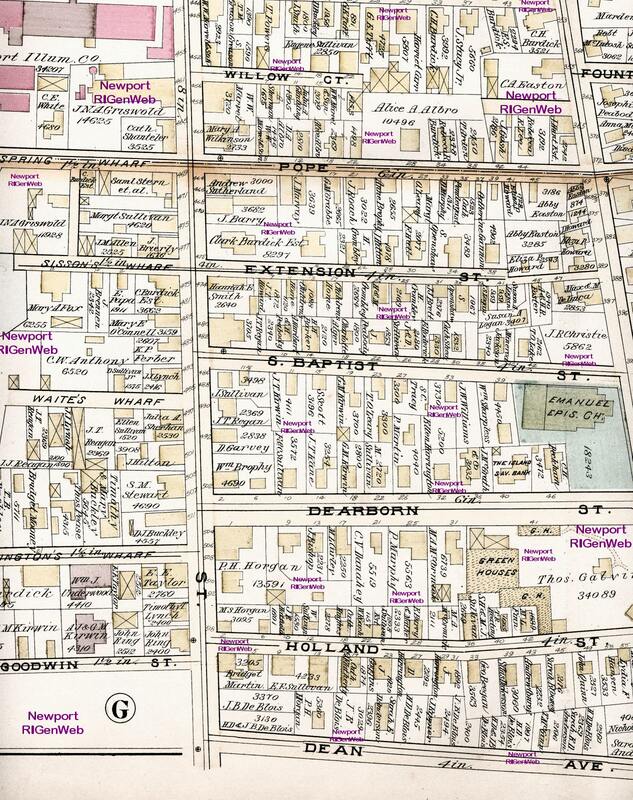 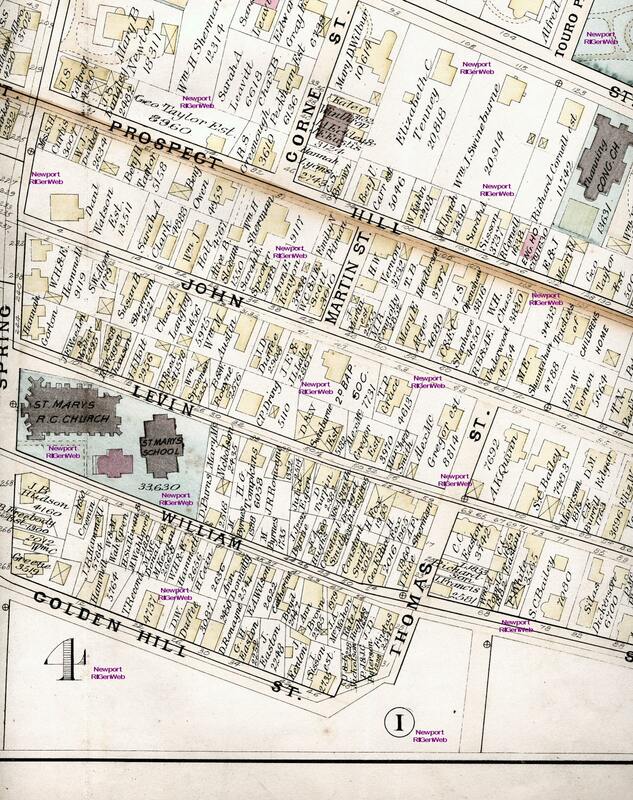 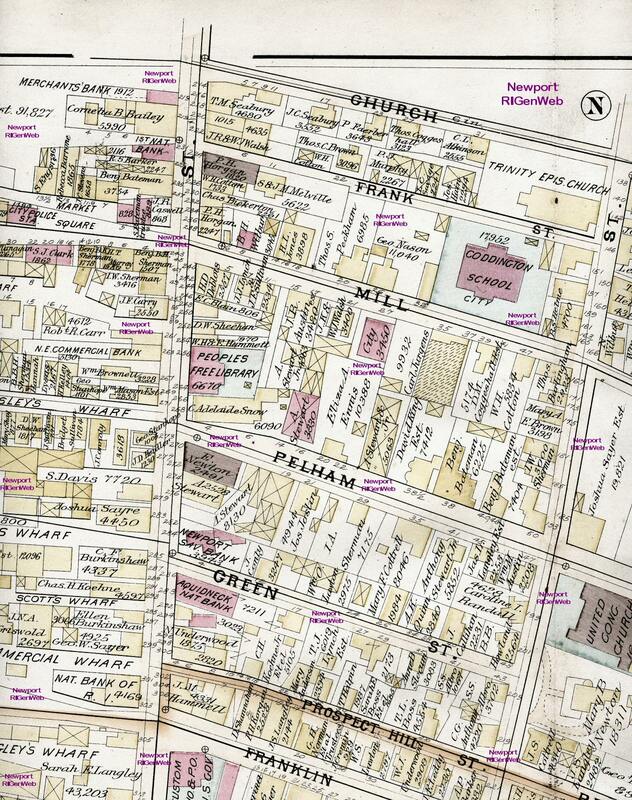 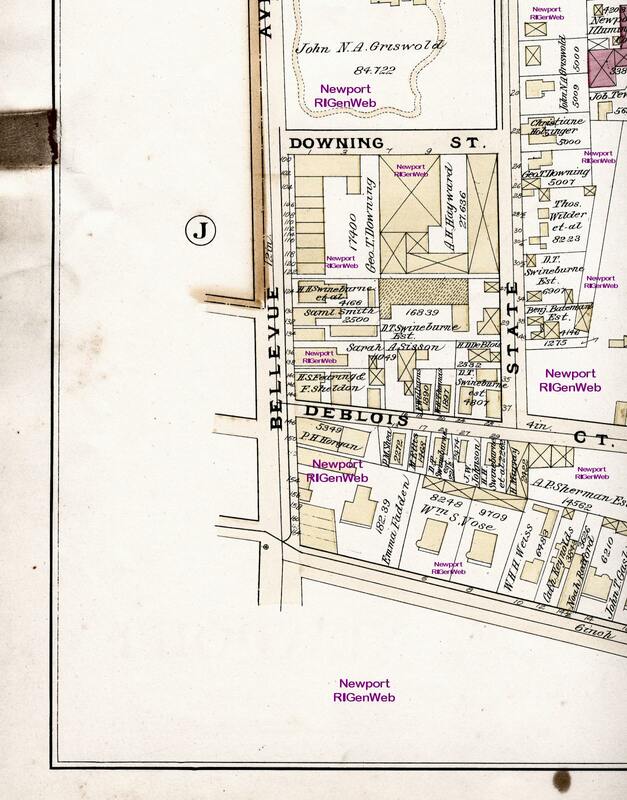 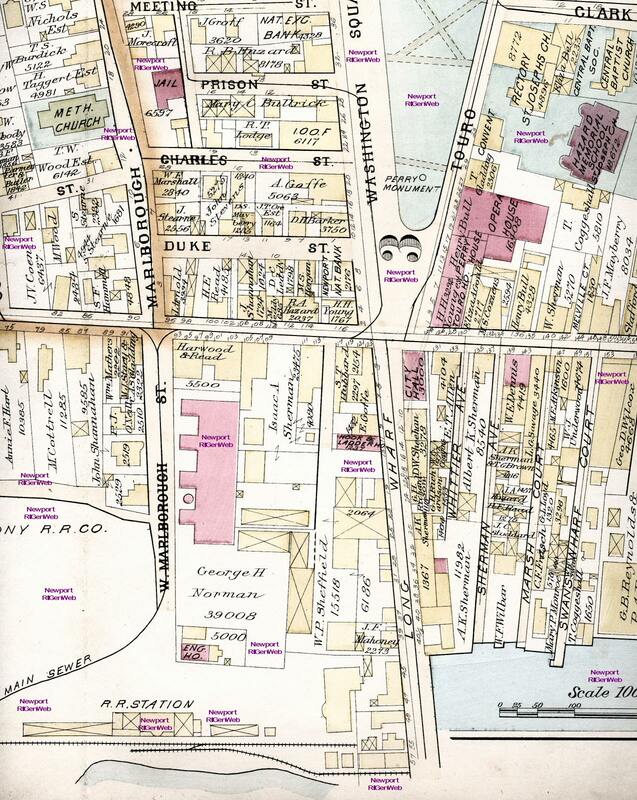 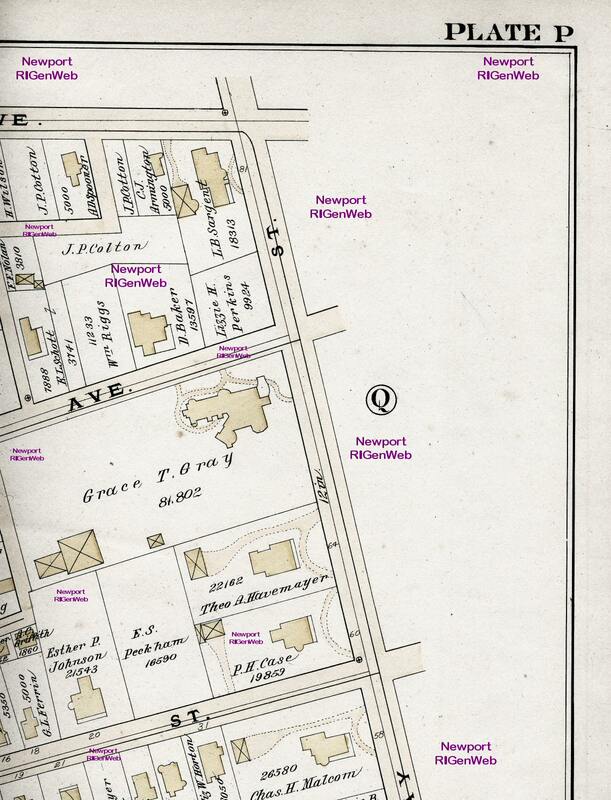 These sections are very large (300 to 400 kb) so you can read the street names. 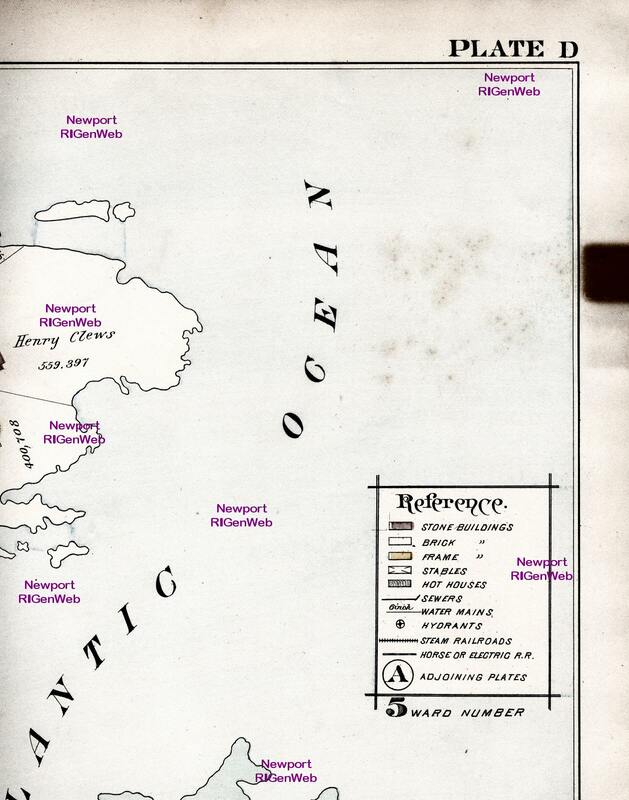 The RED letters and outlines are the keys to the plates in the atlas. 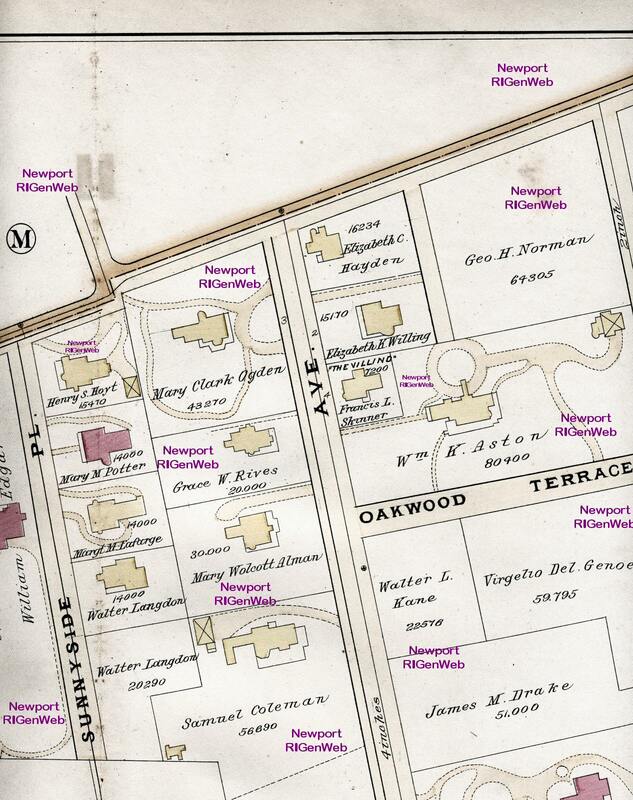 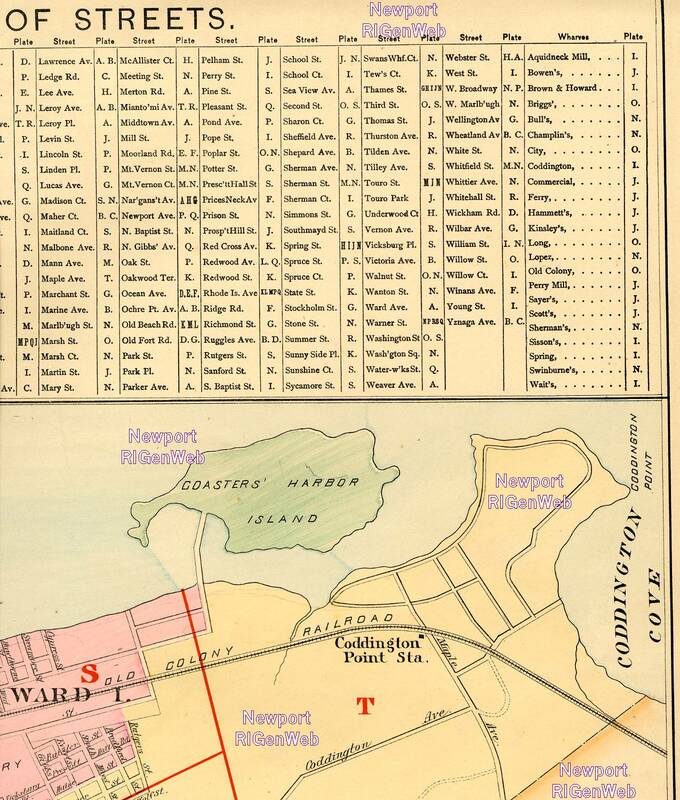 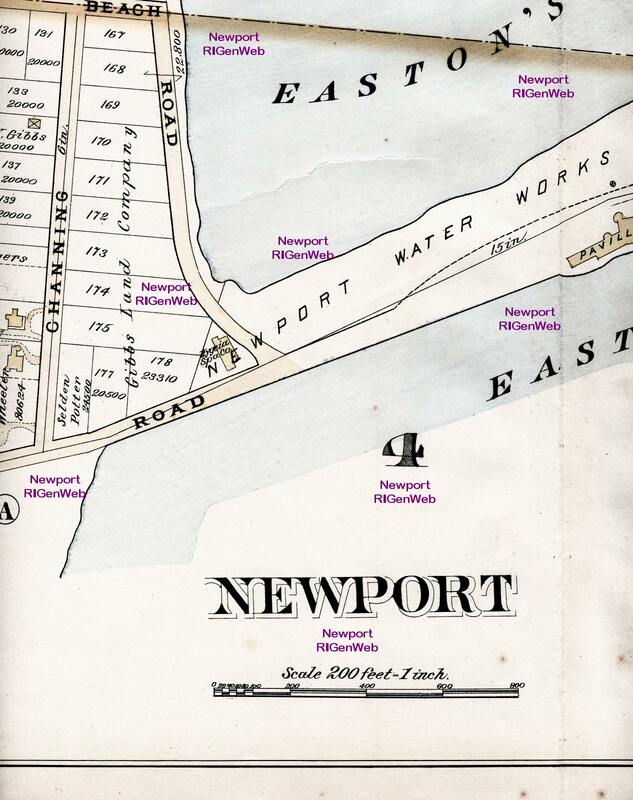 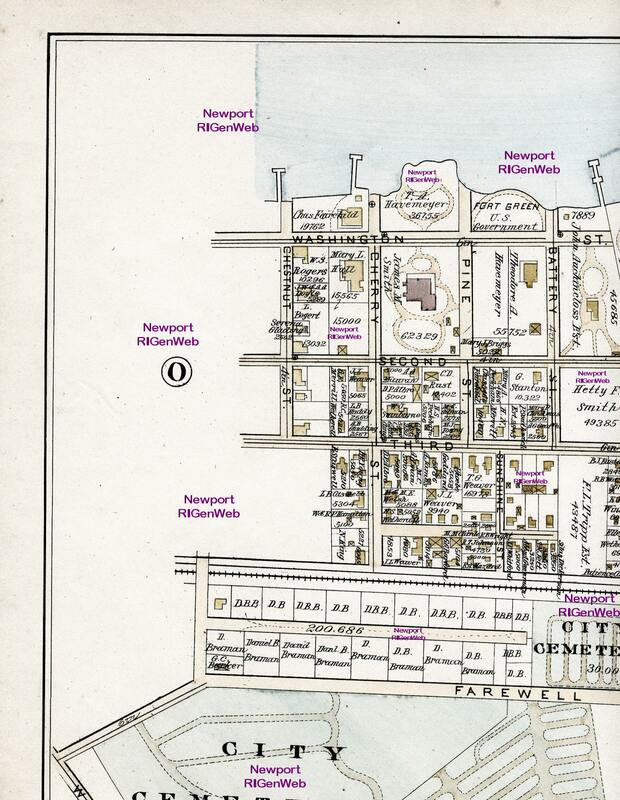 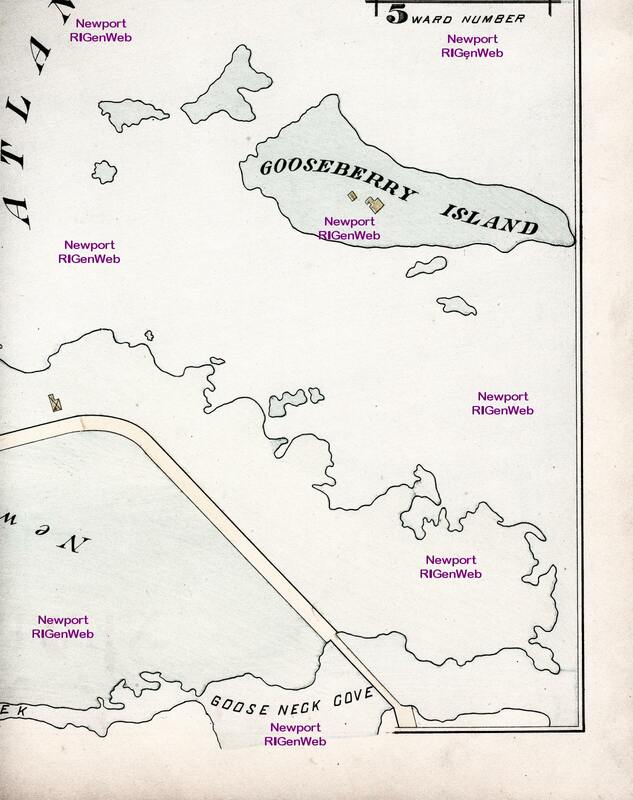 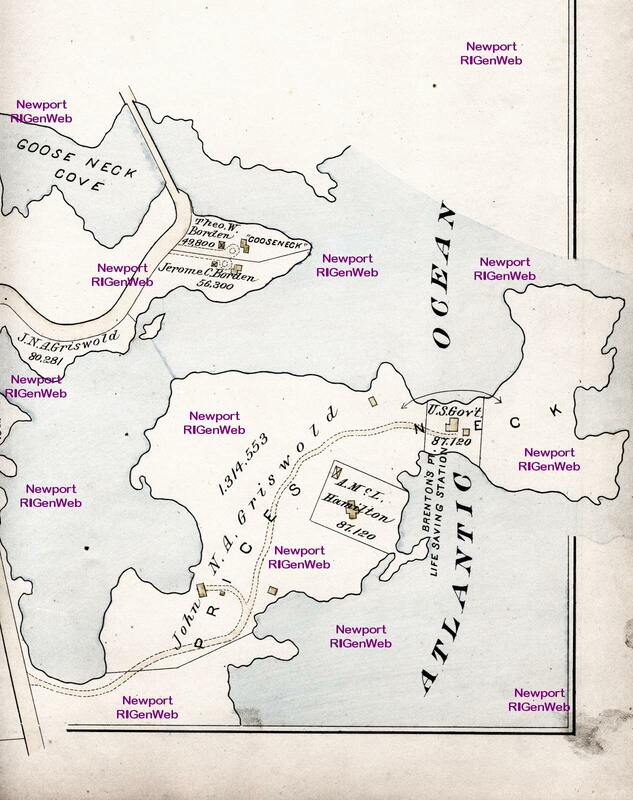 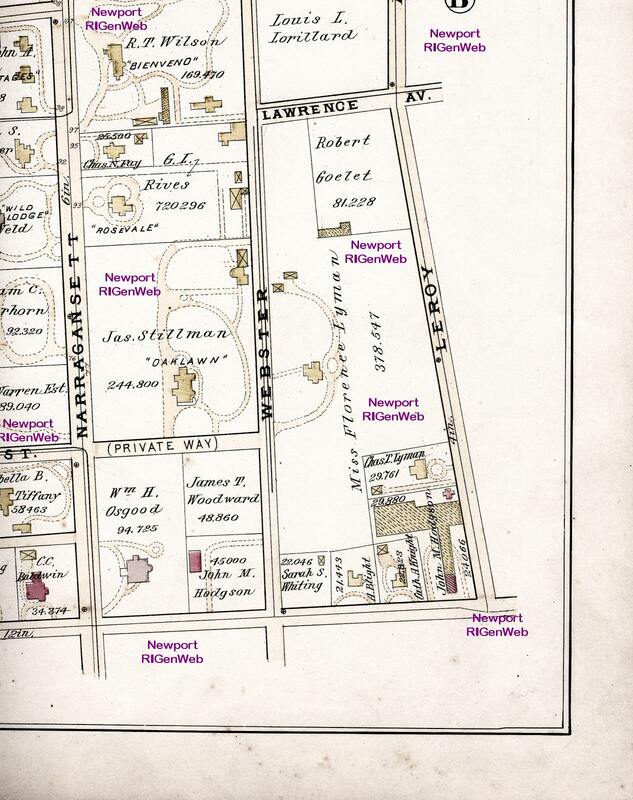 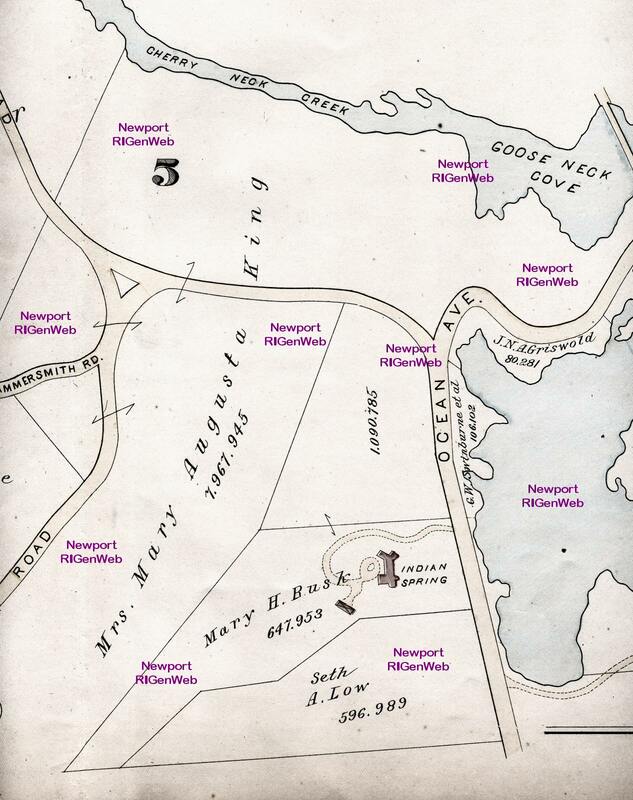 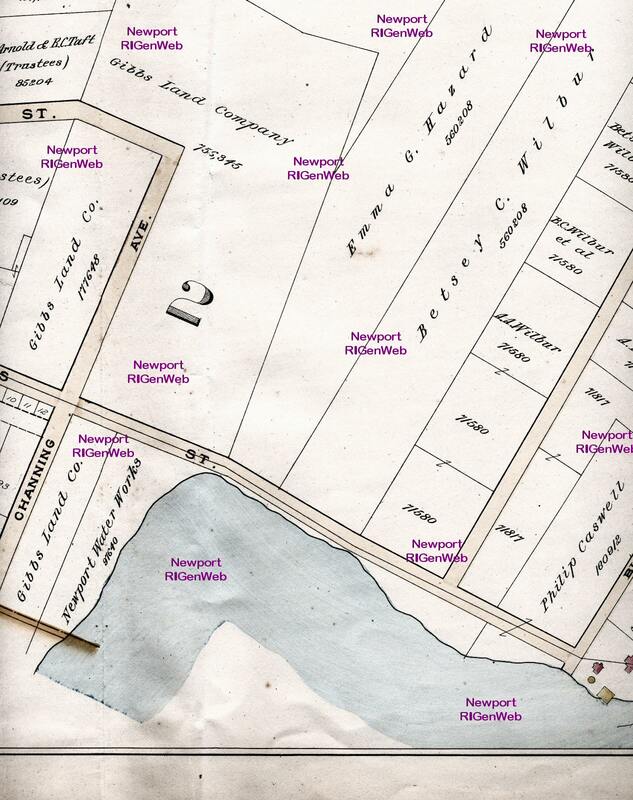 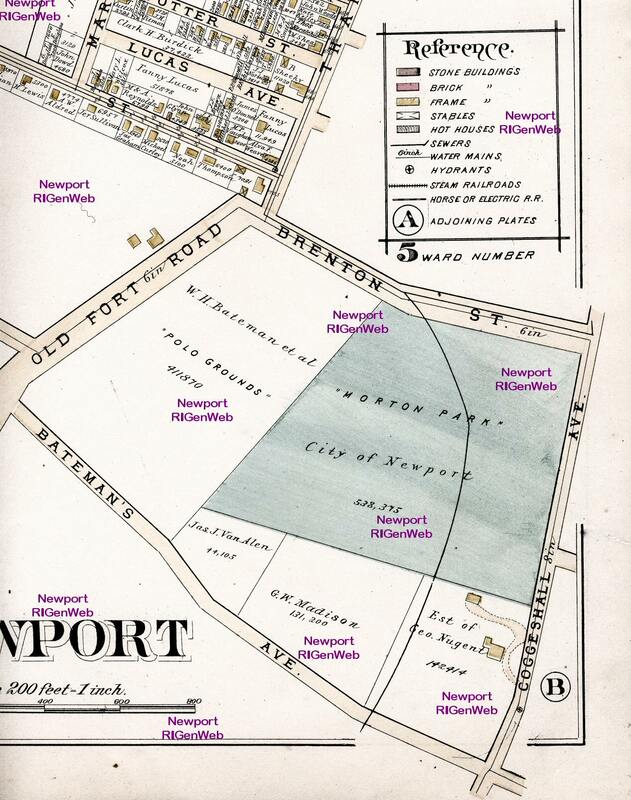 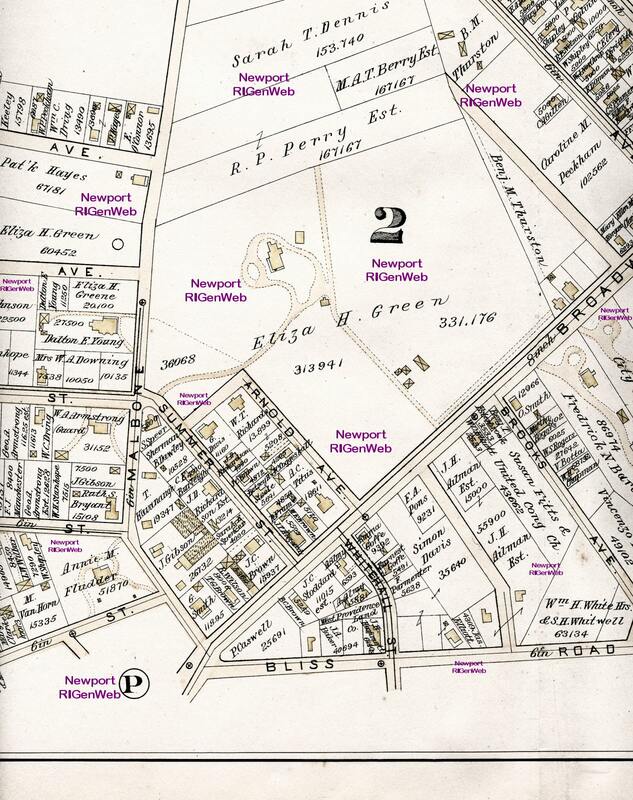 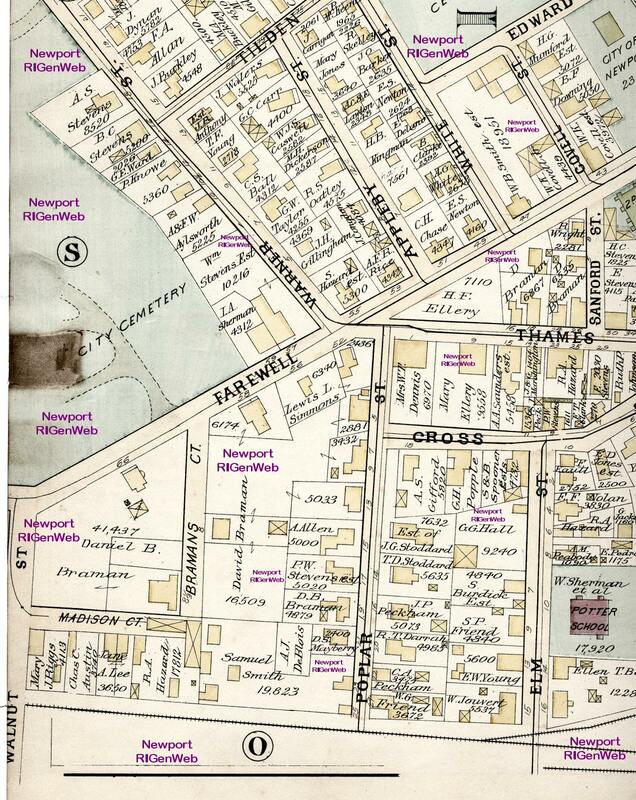 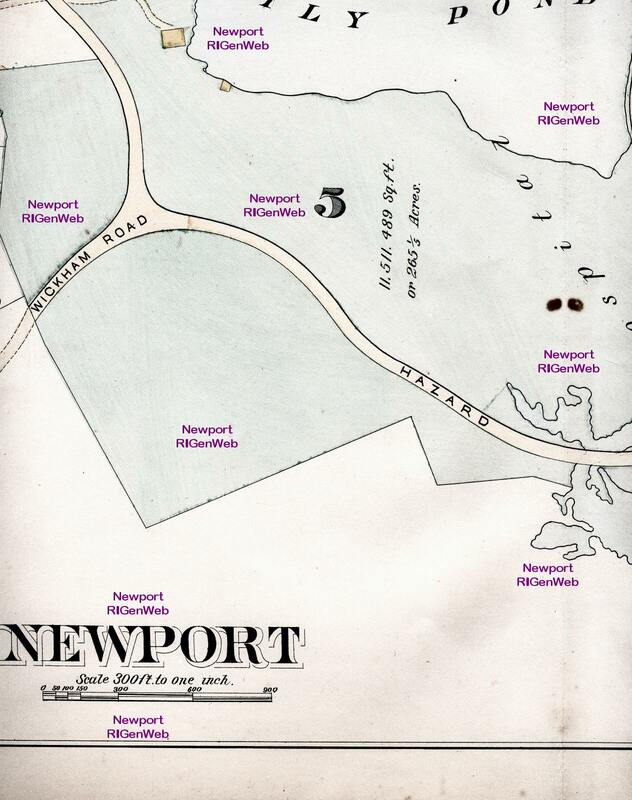 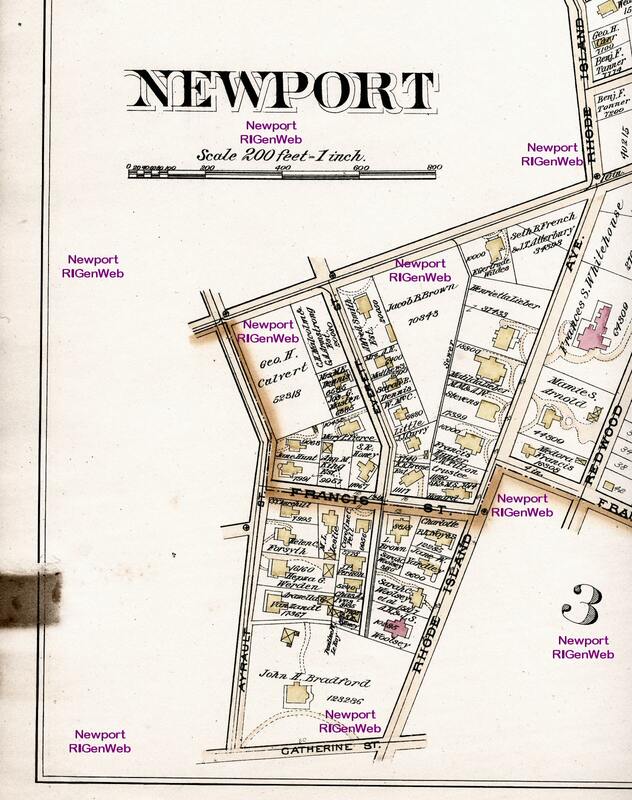 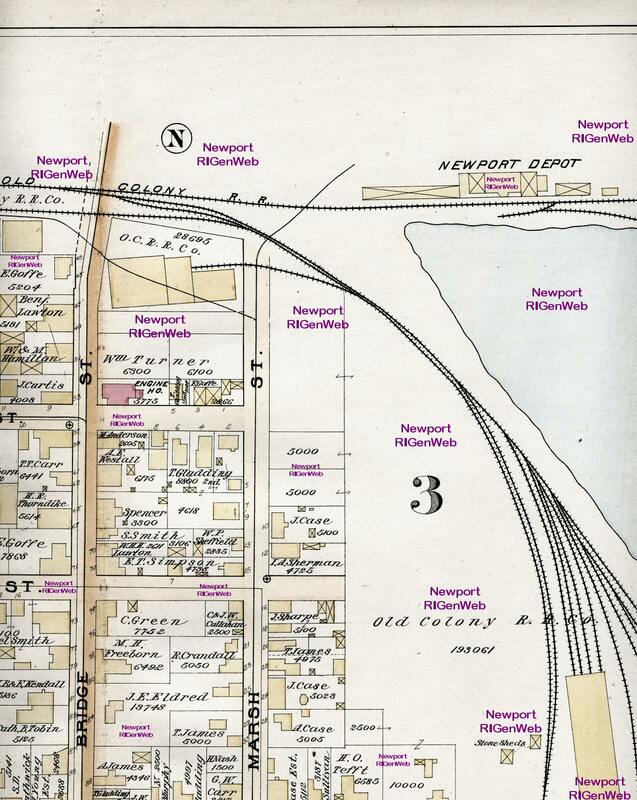 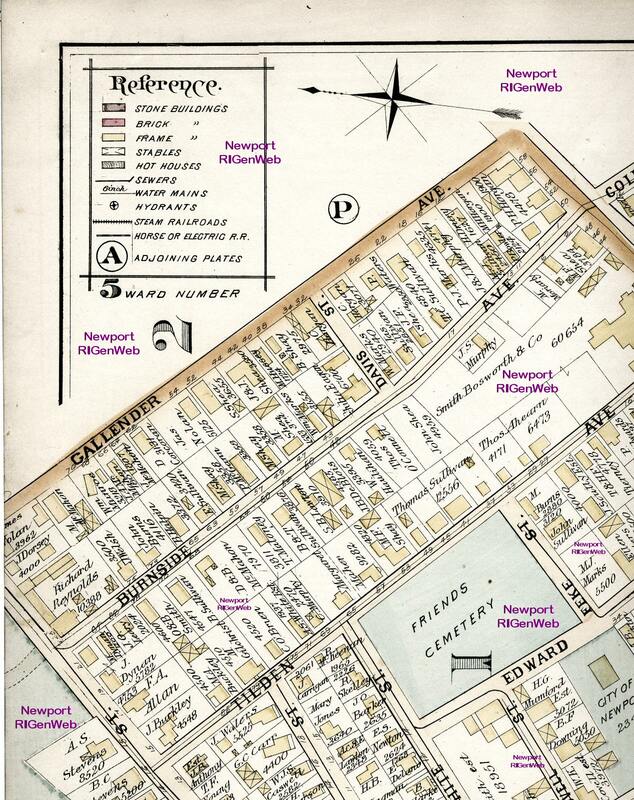 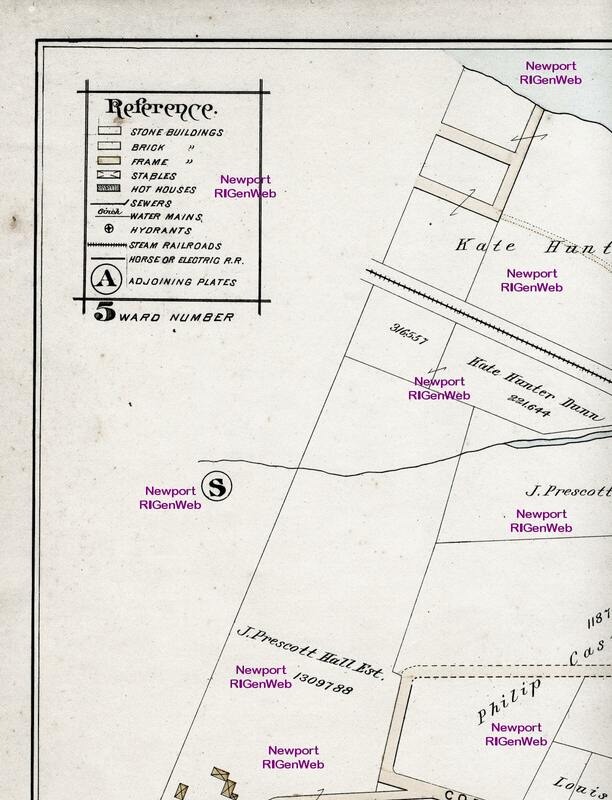 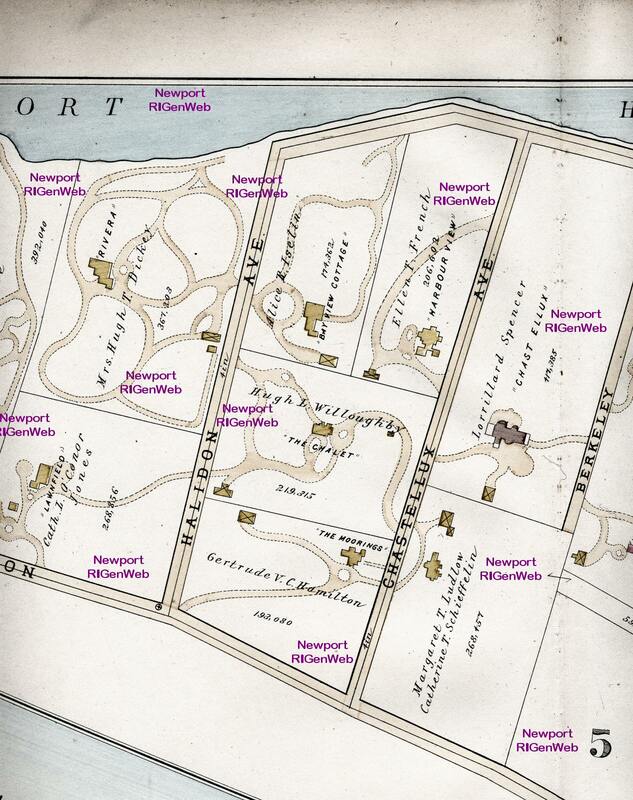 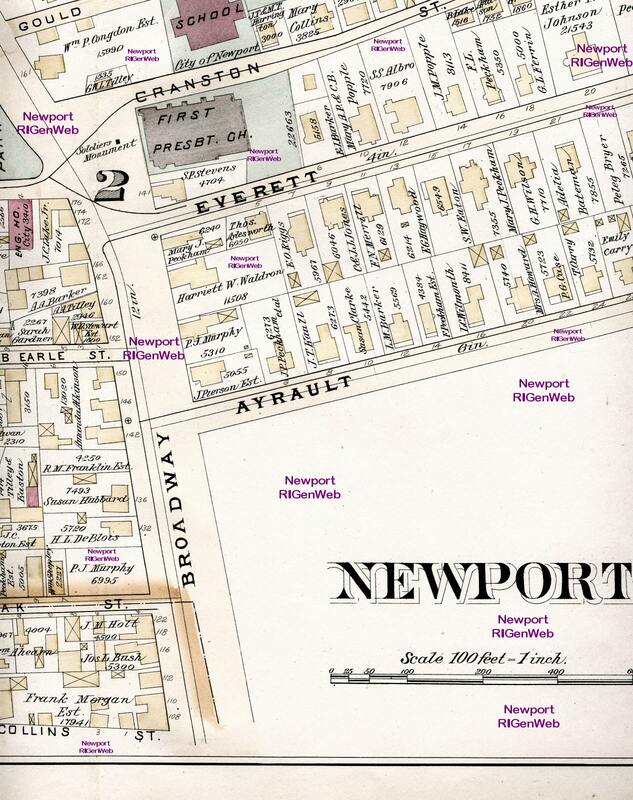 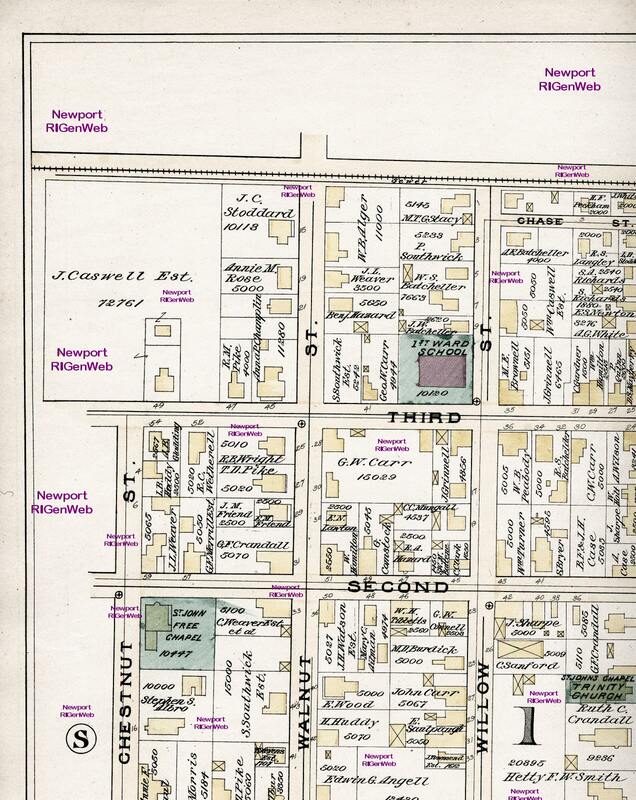 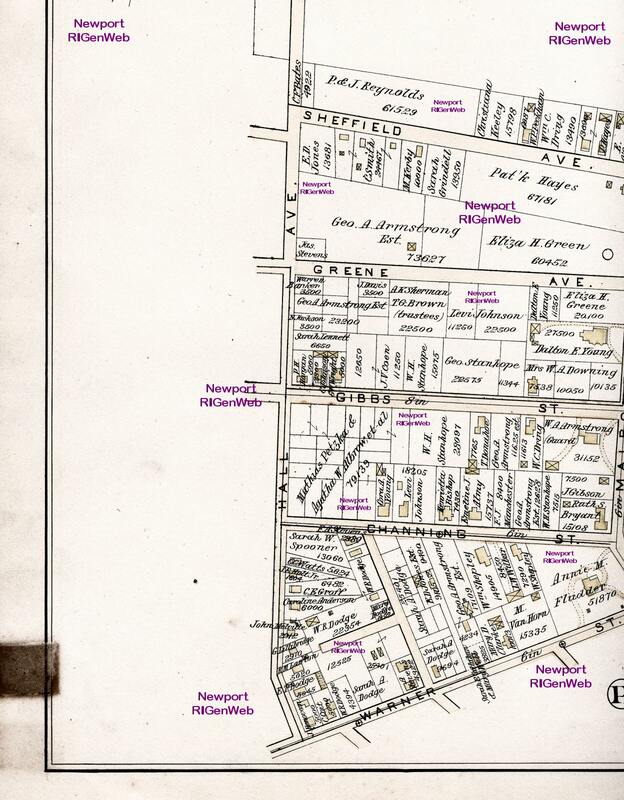 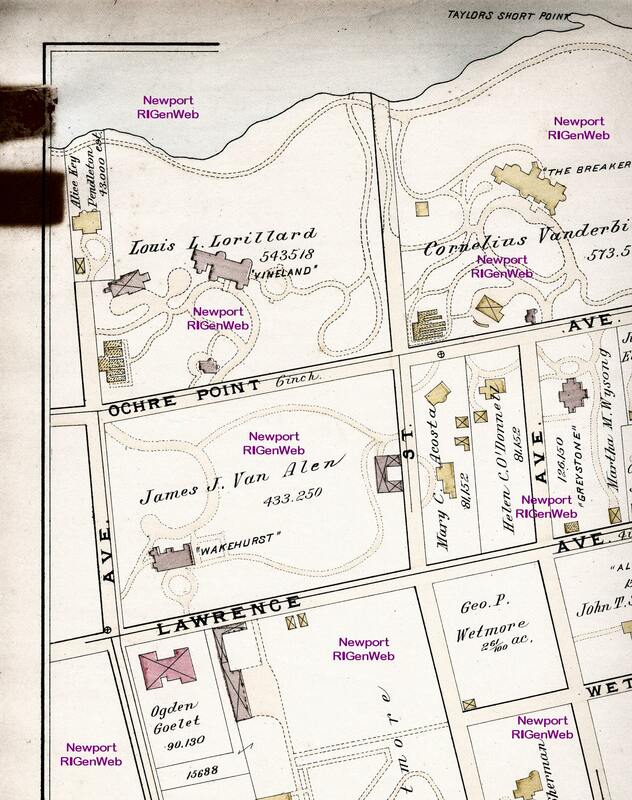 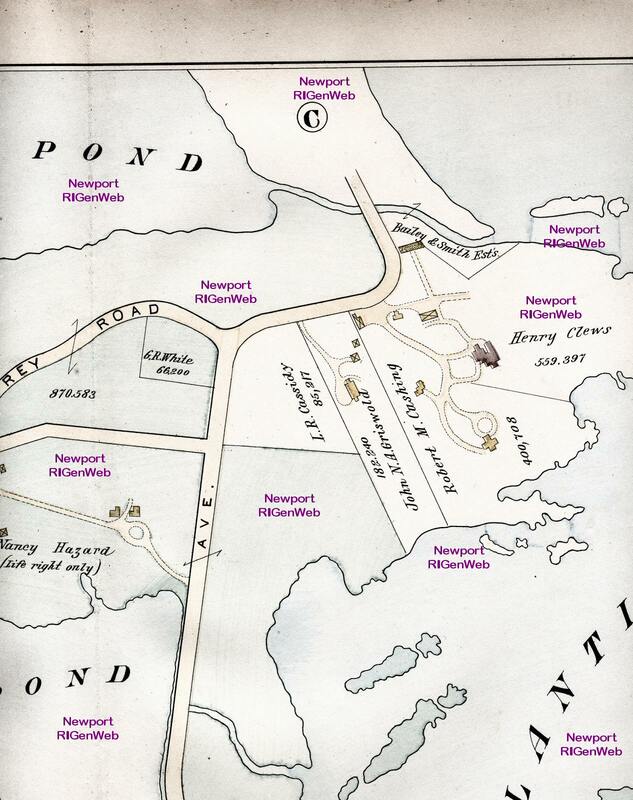 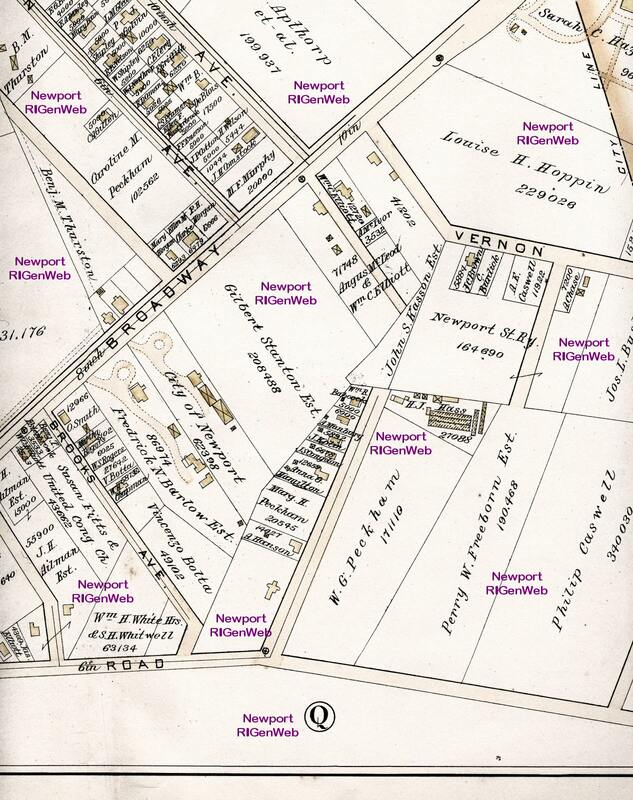 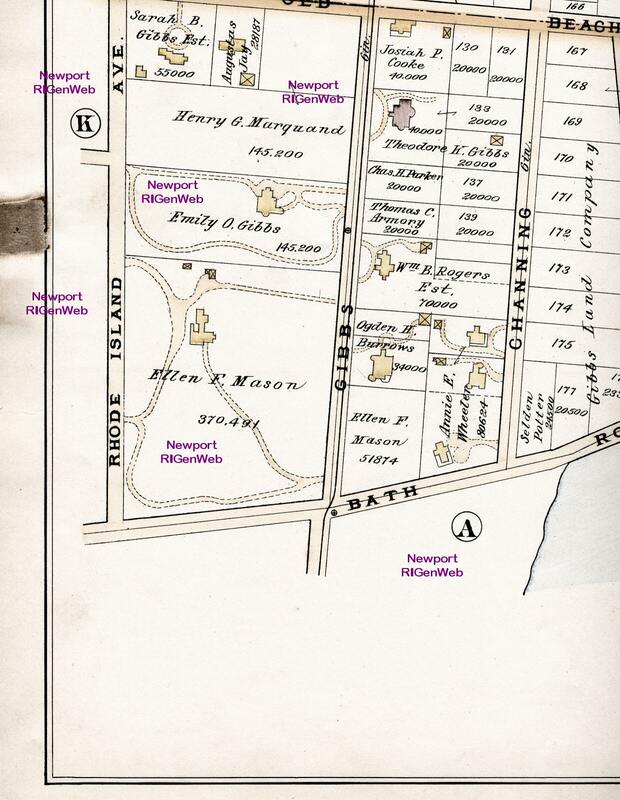 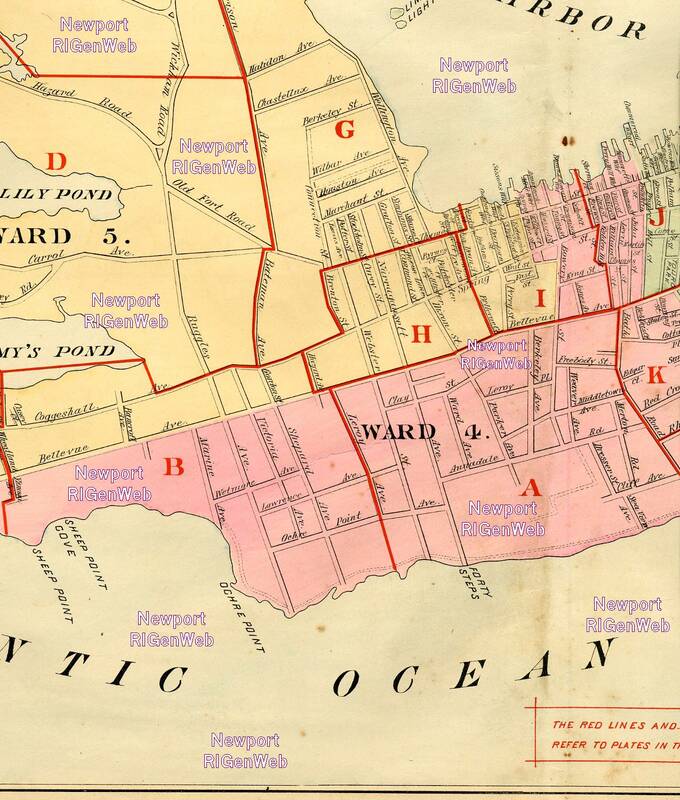 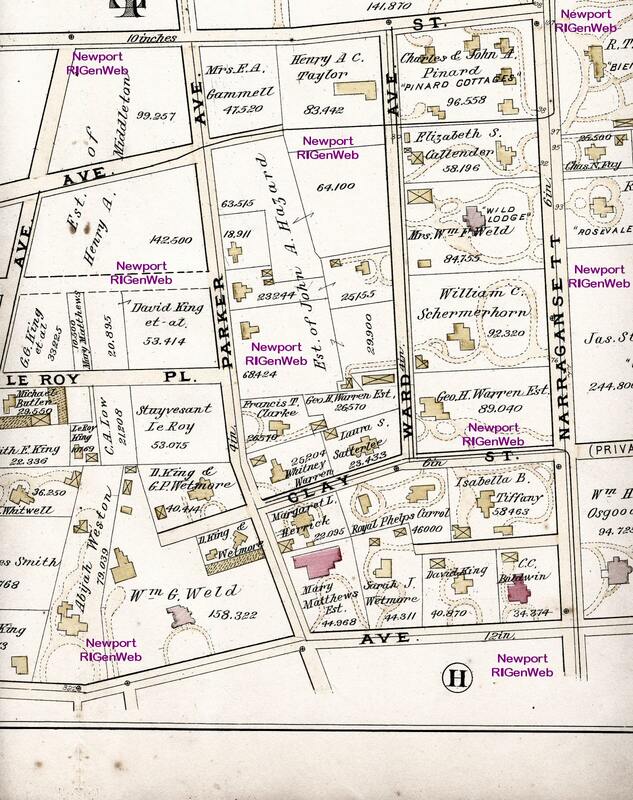 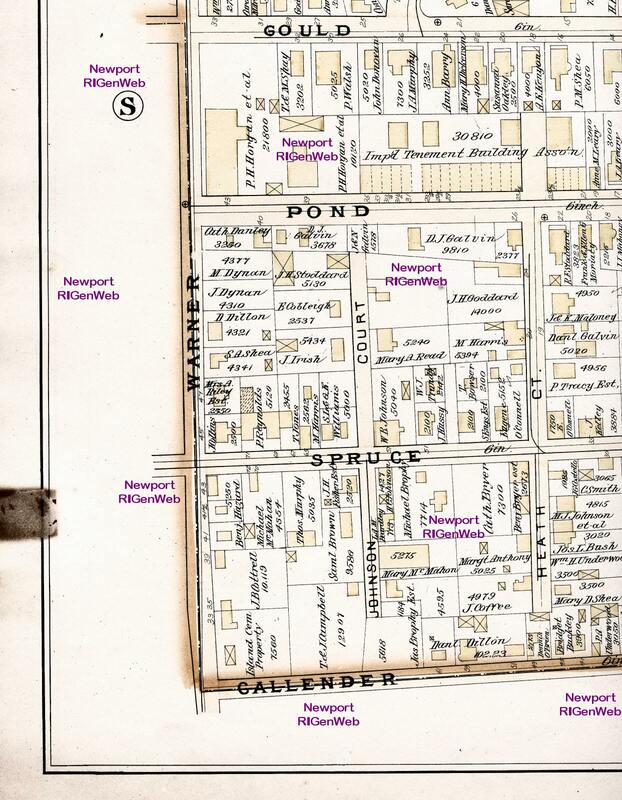 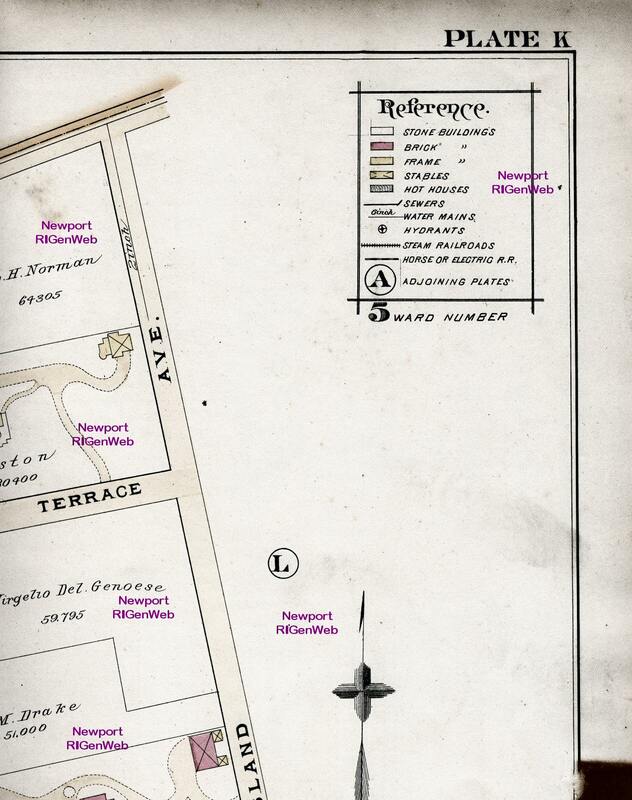 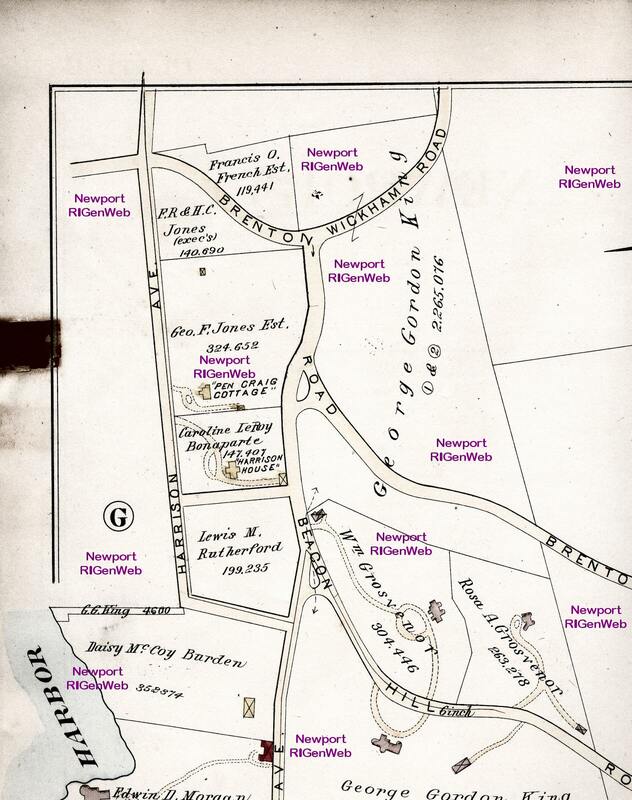 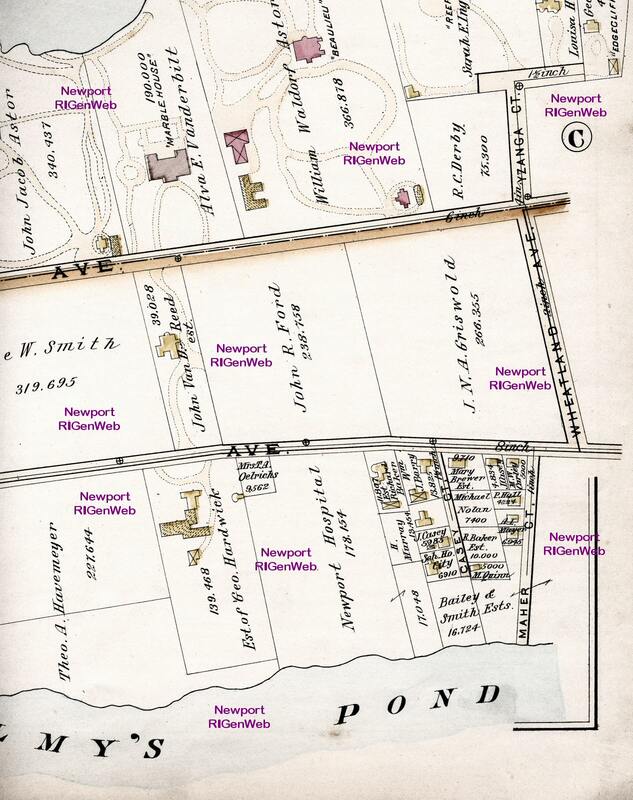 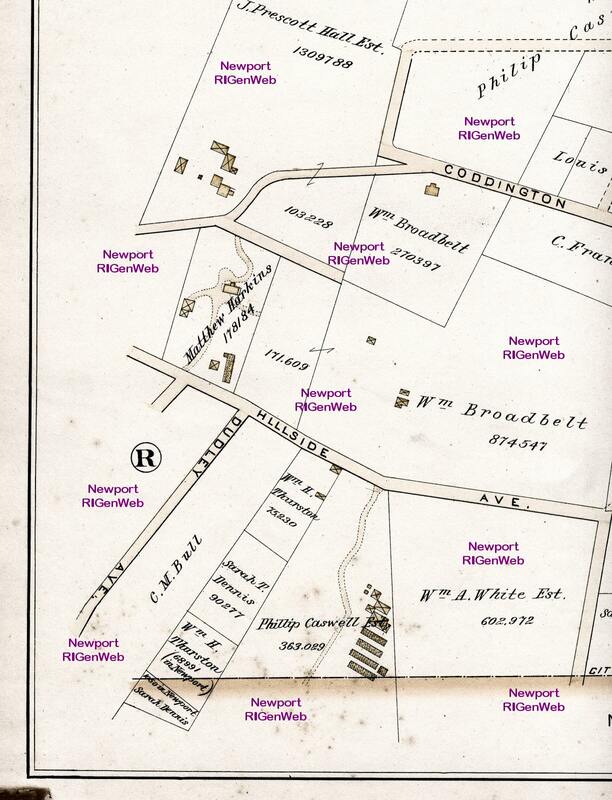 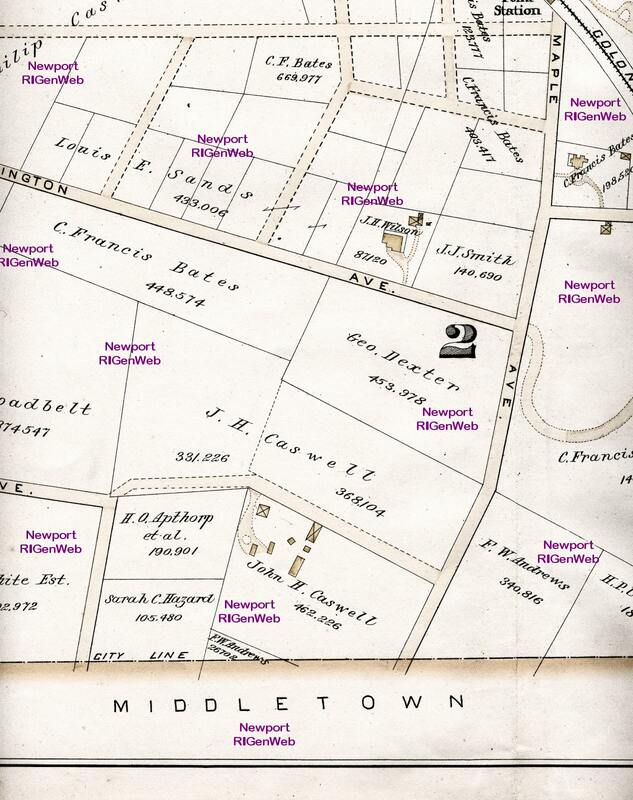 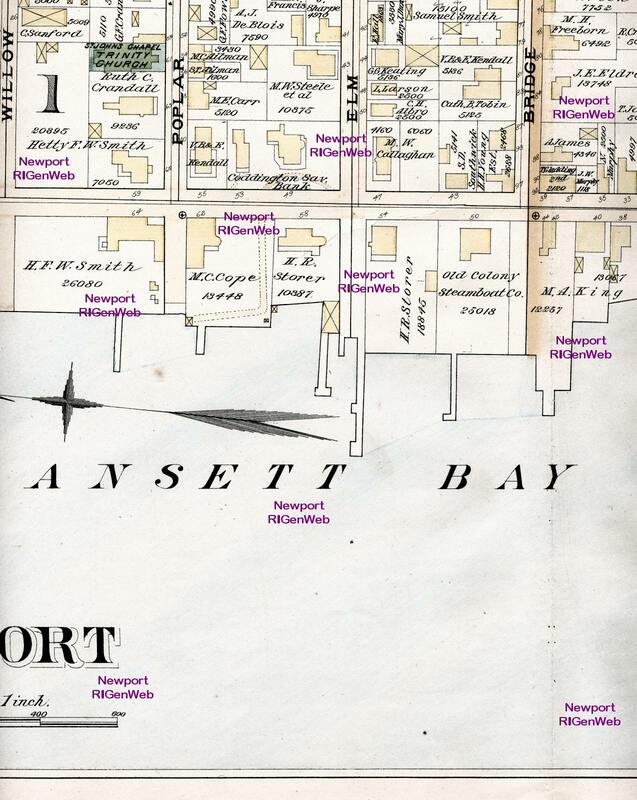 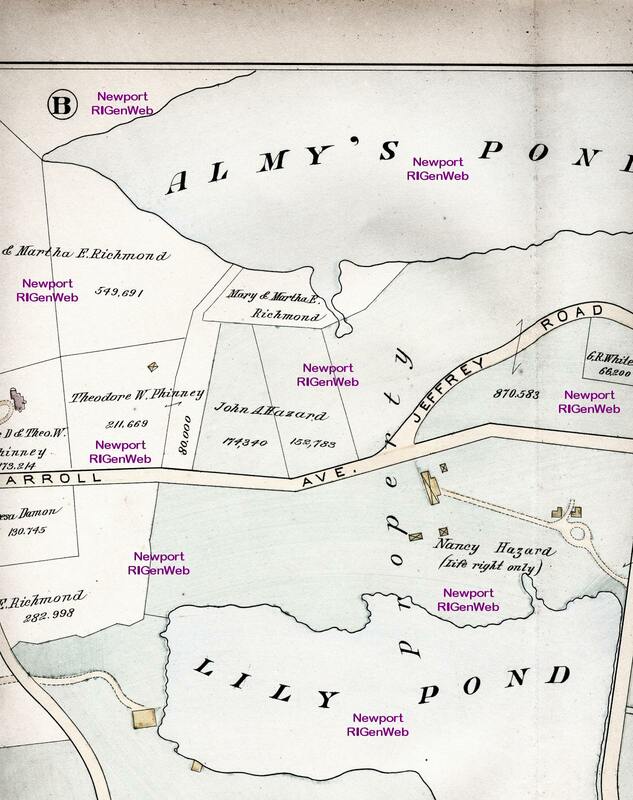 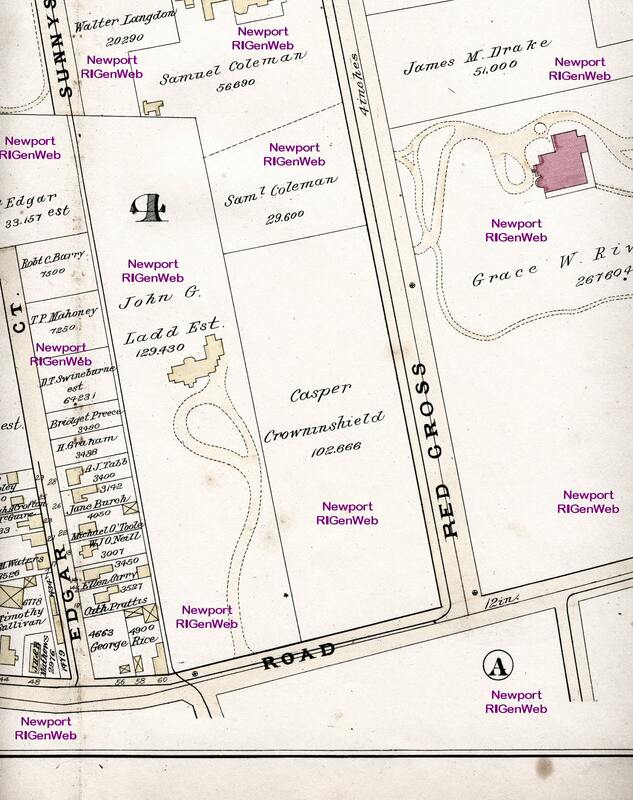 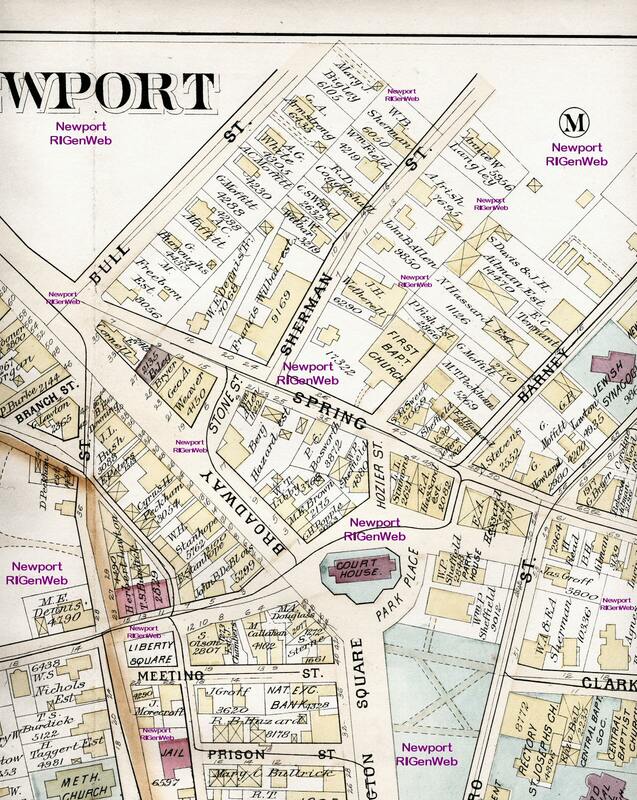 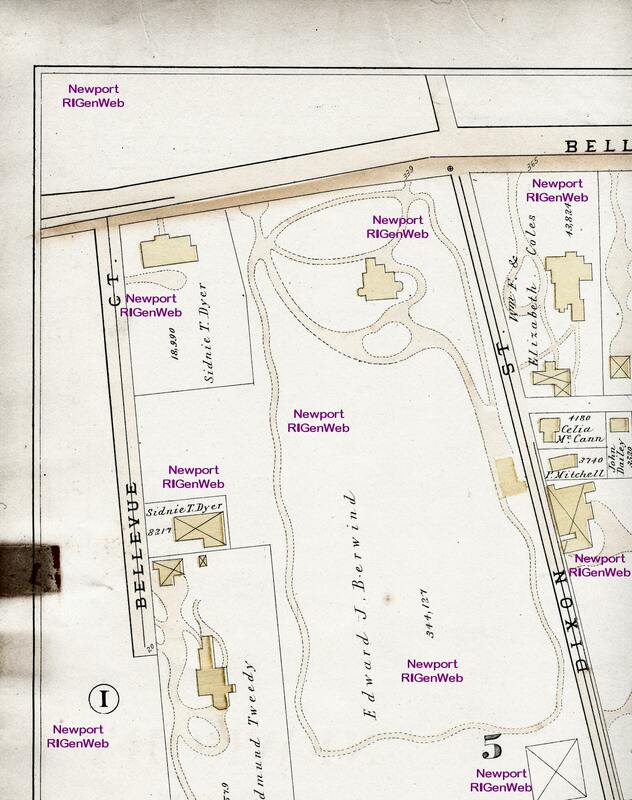 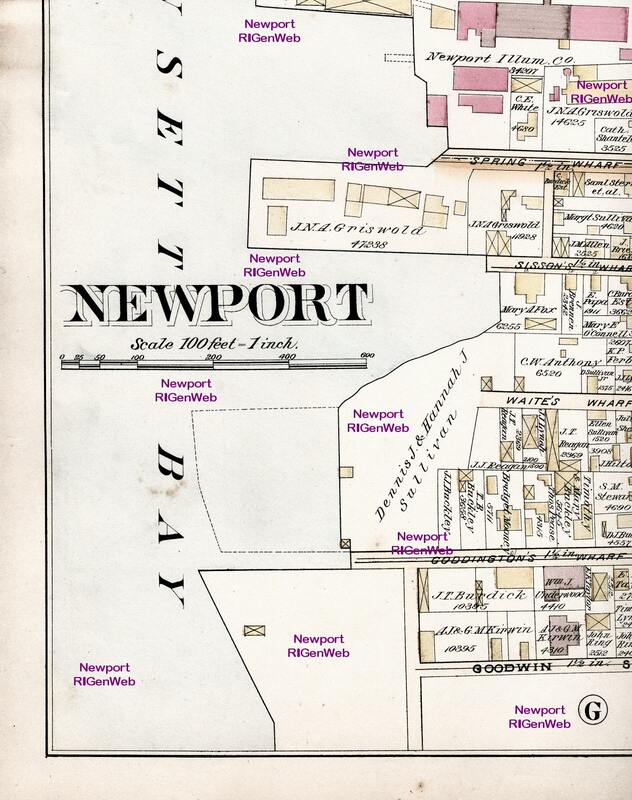 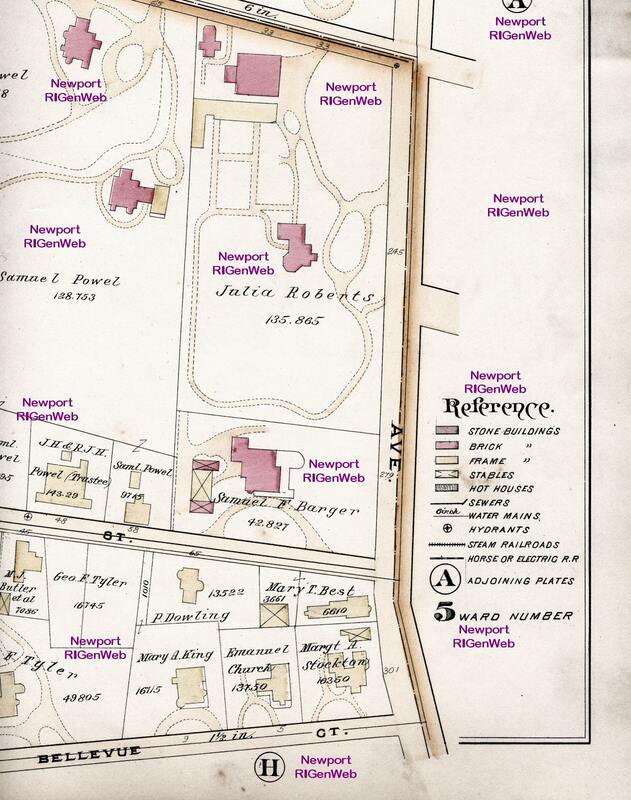 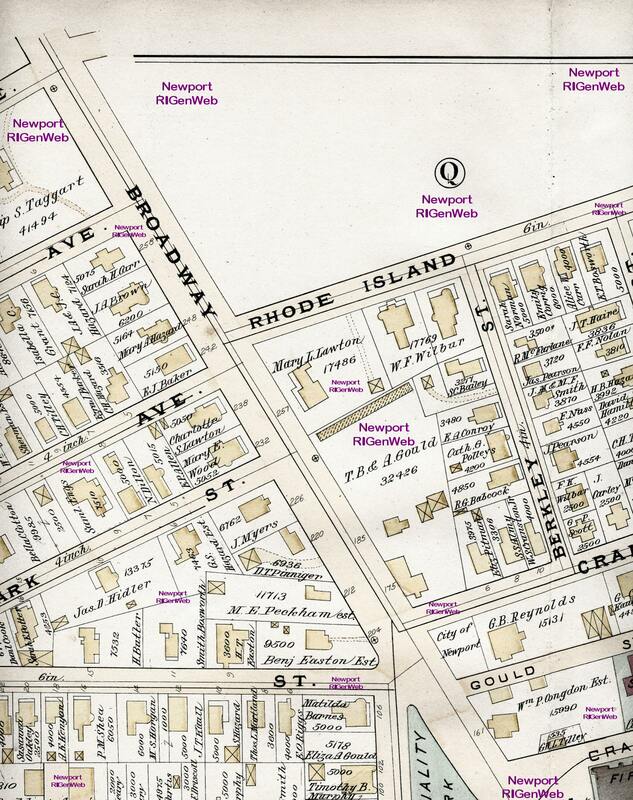 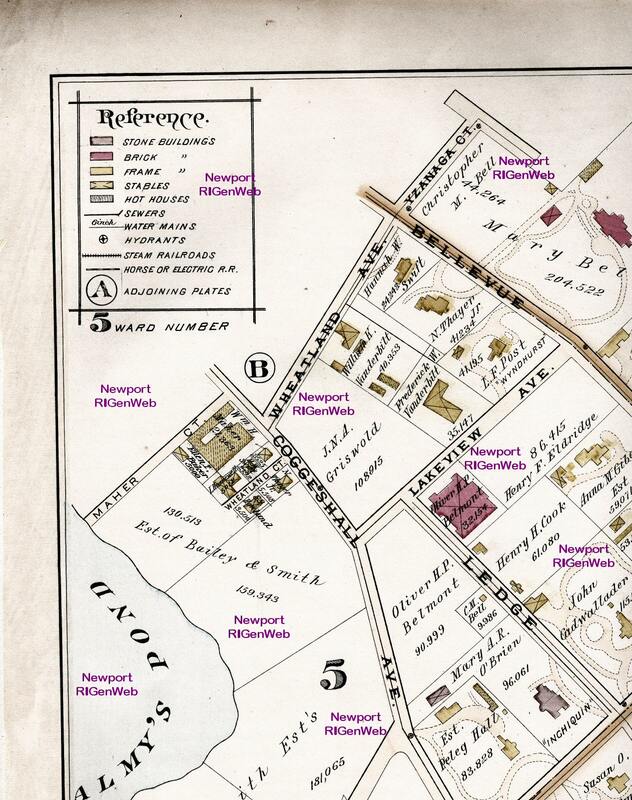 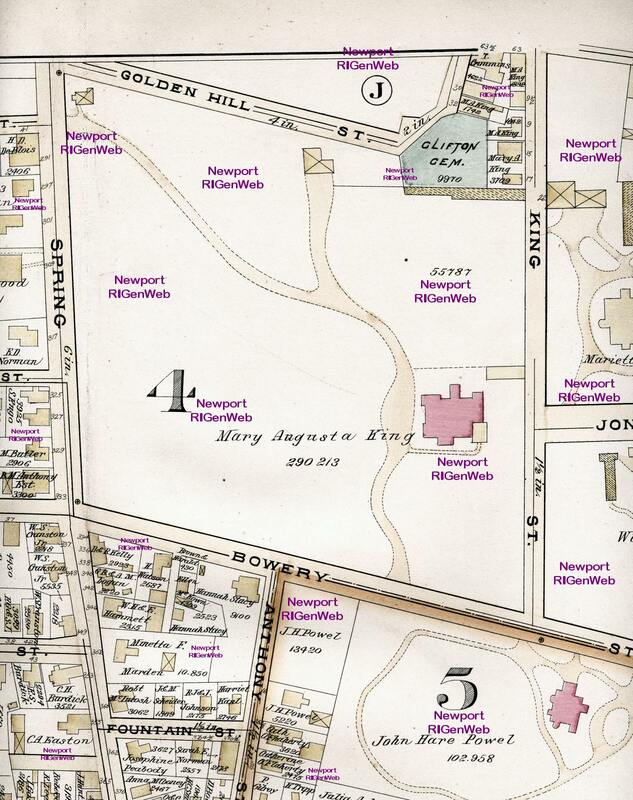 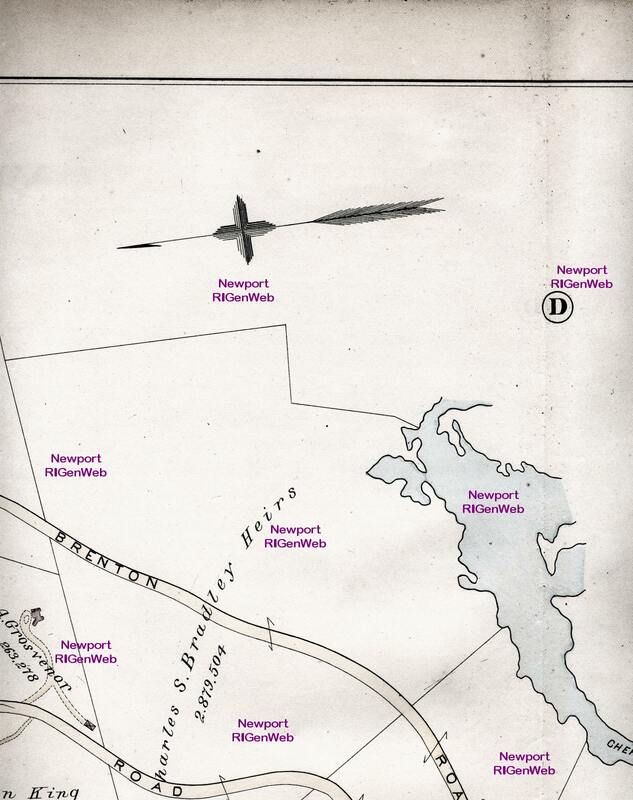 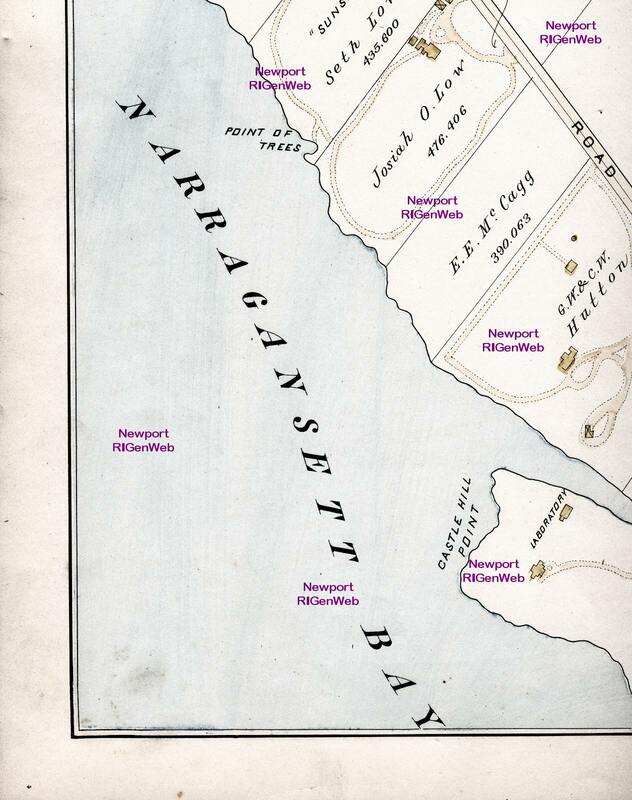 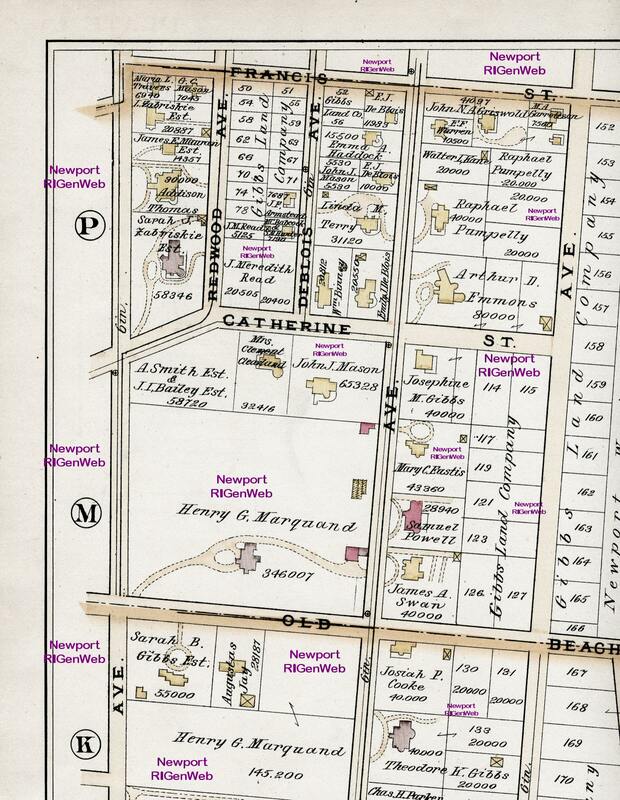 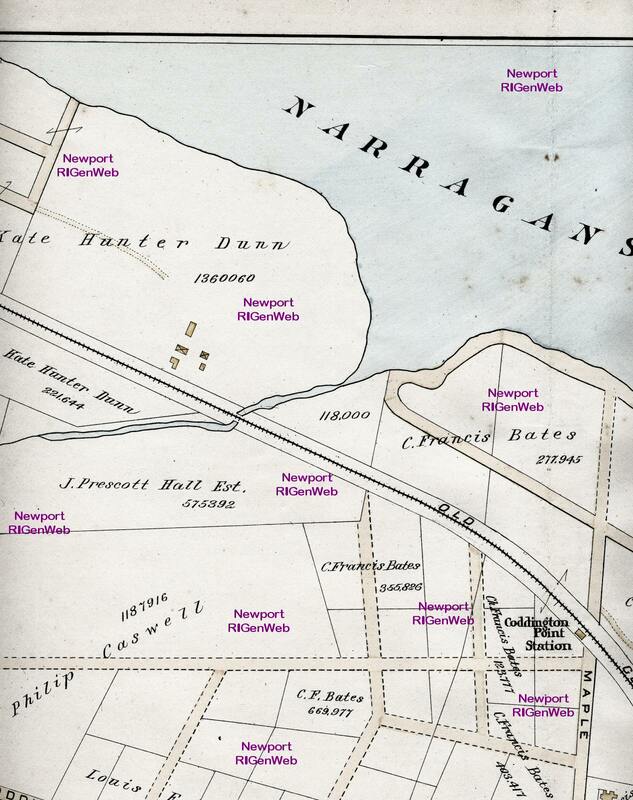 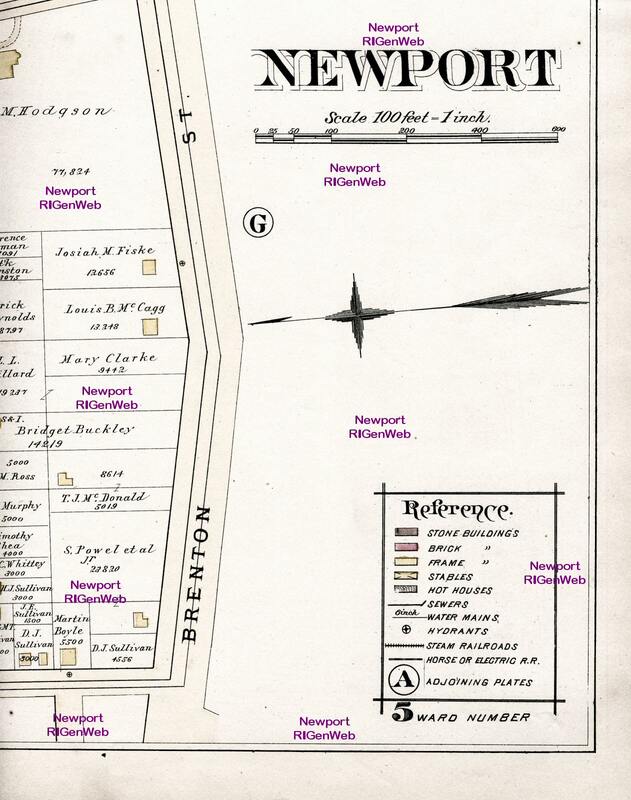 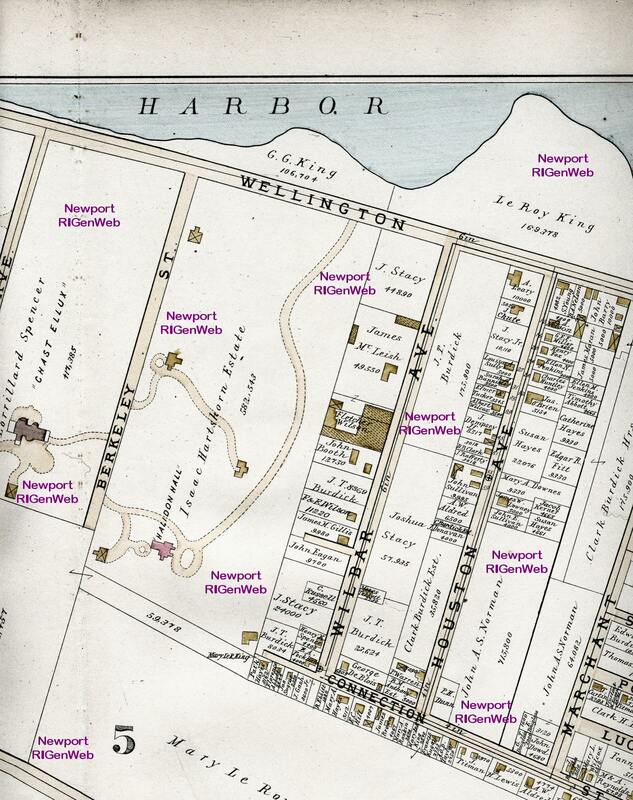 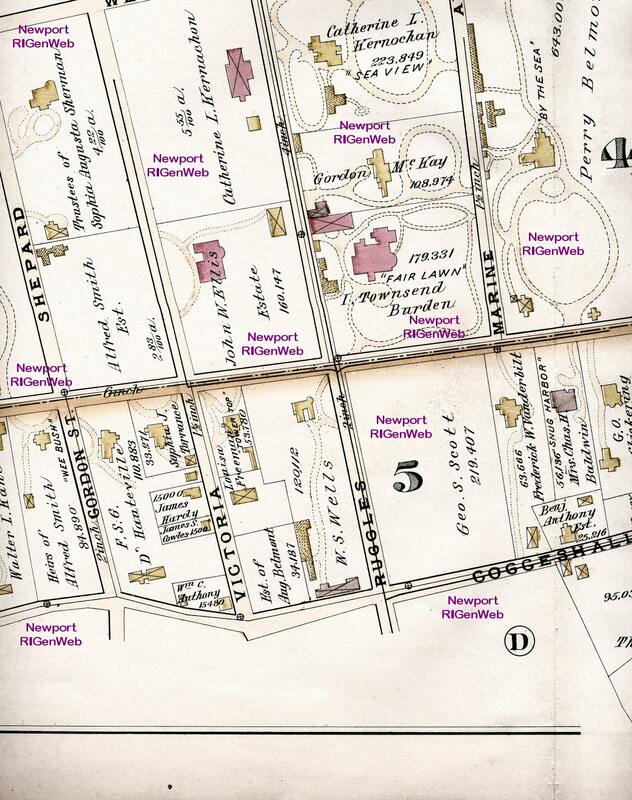 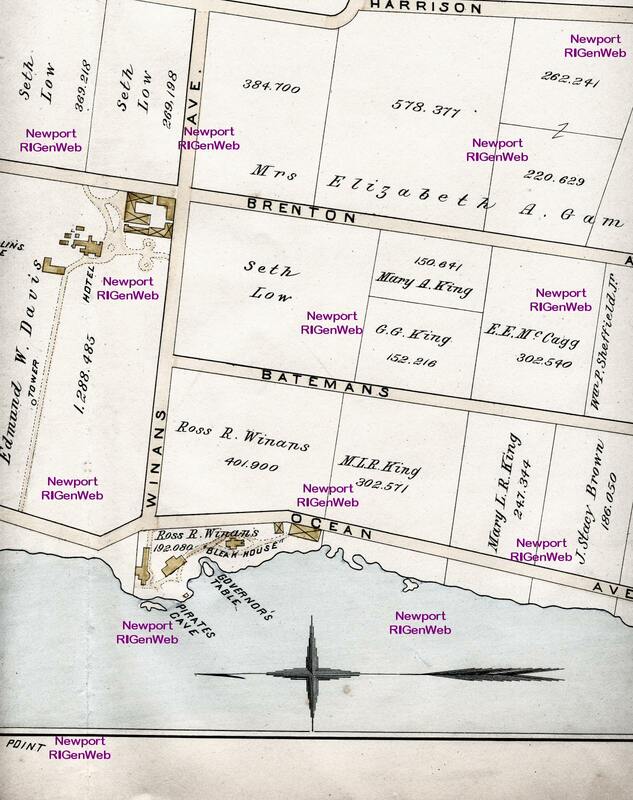 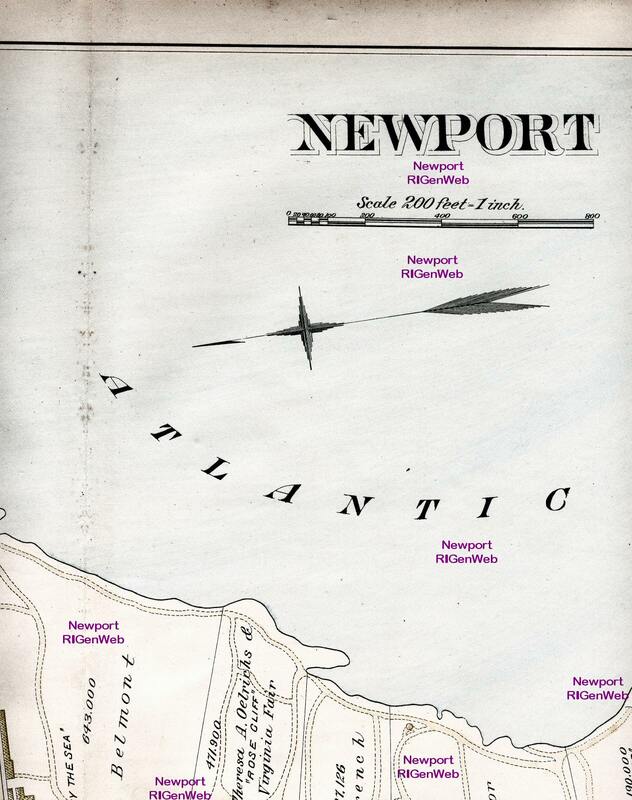 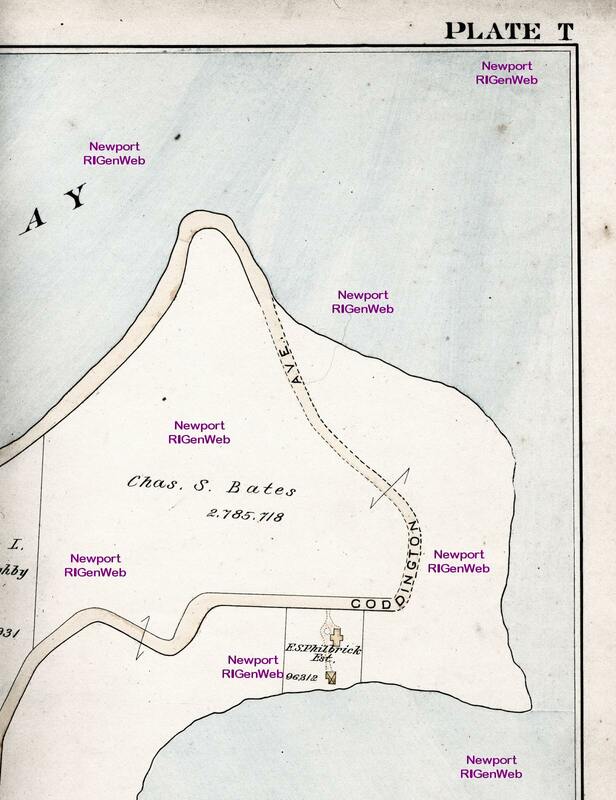 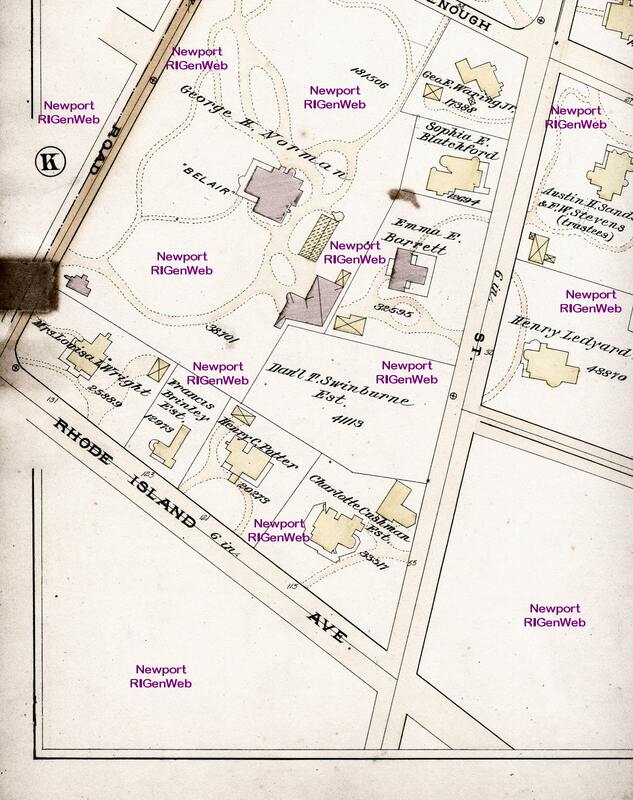 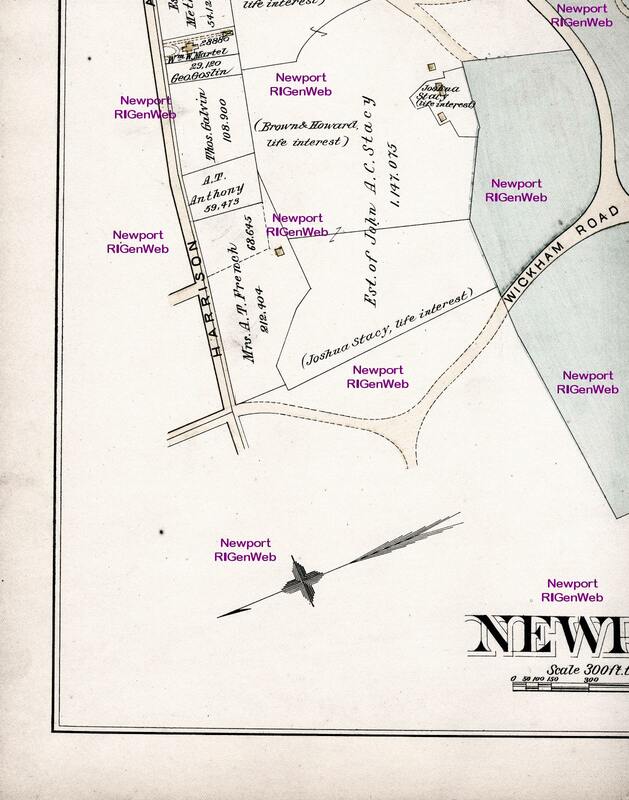 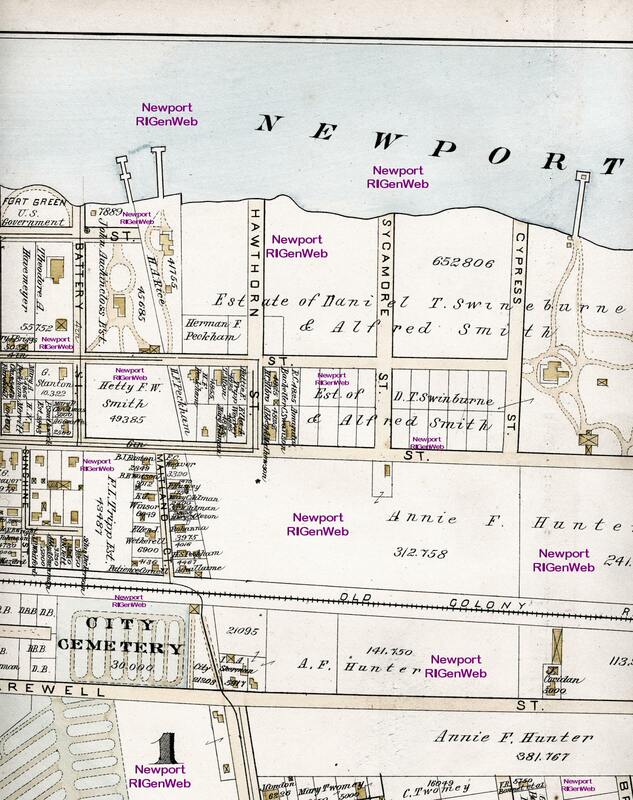 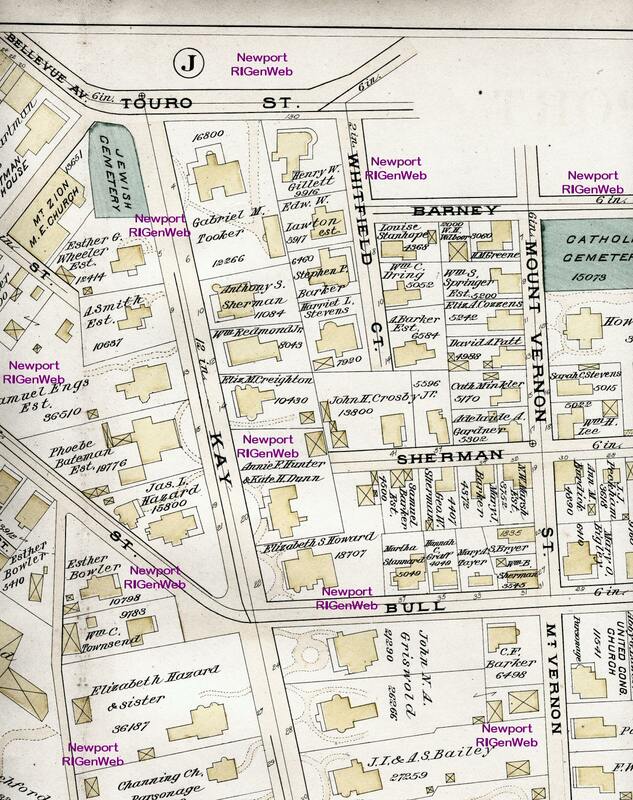 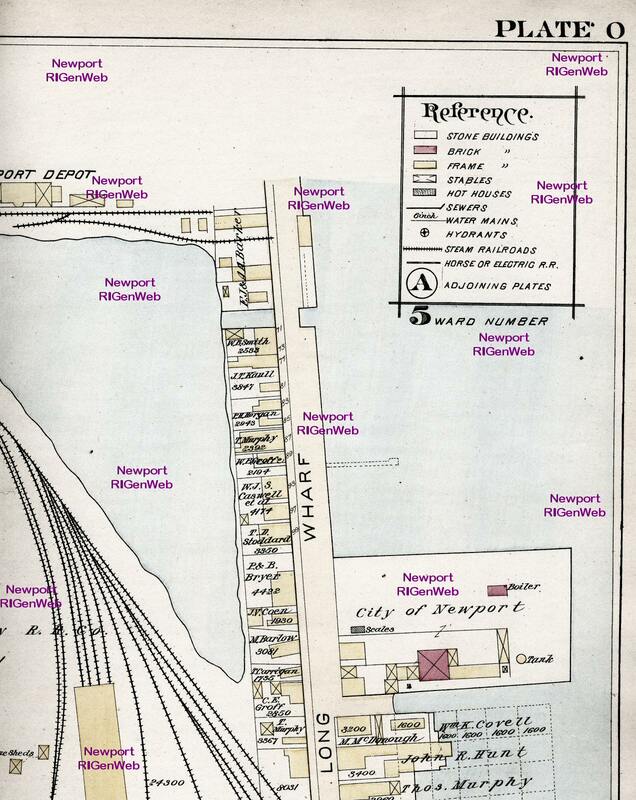 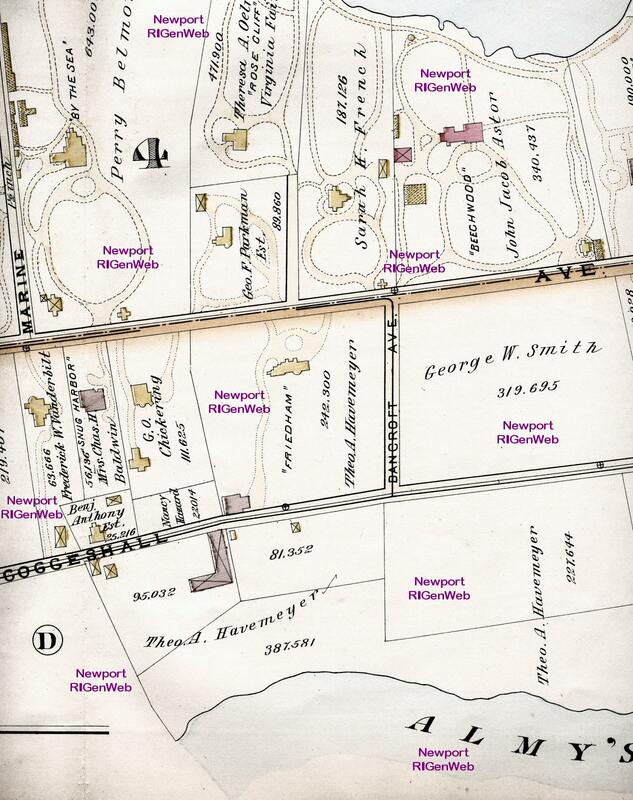 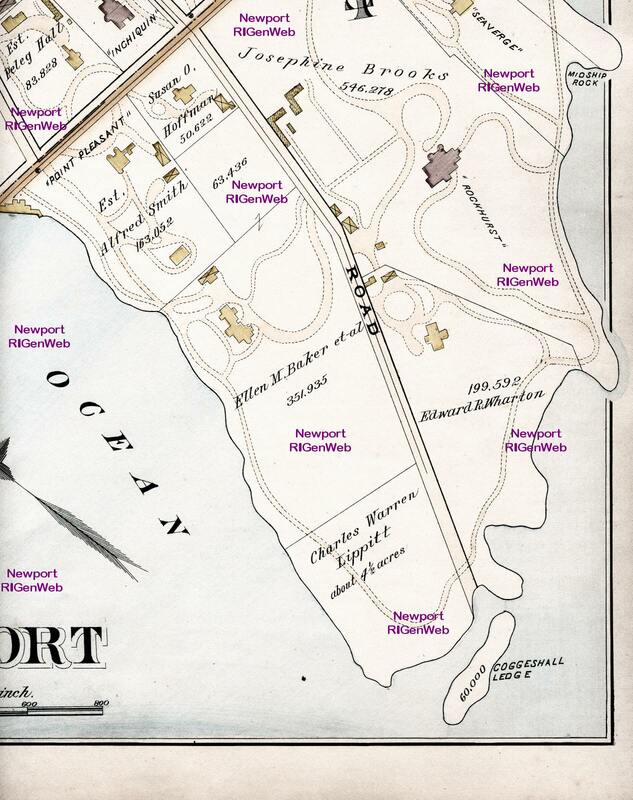 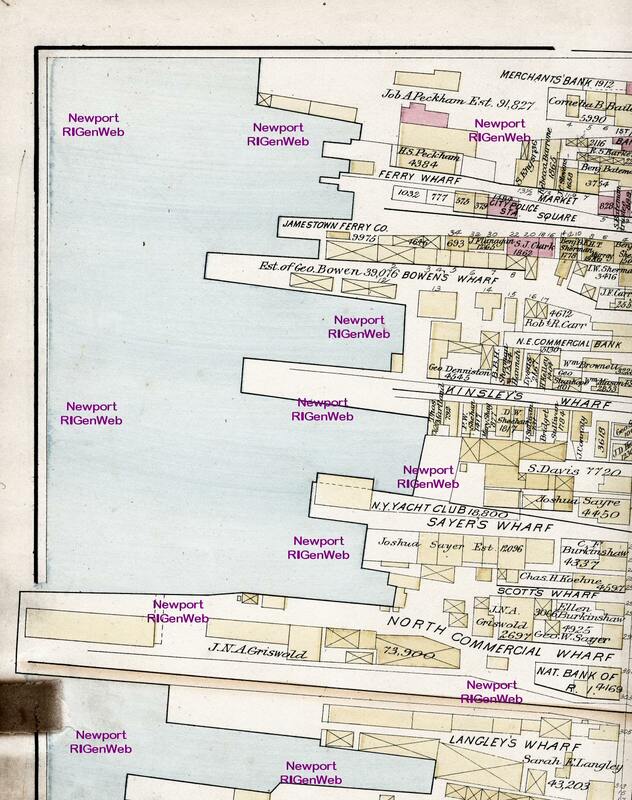 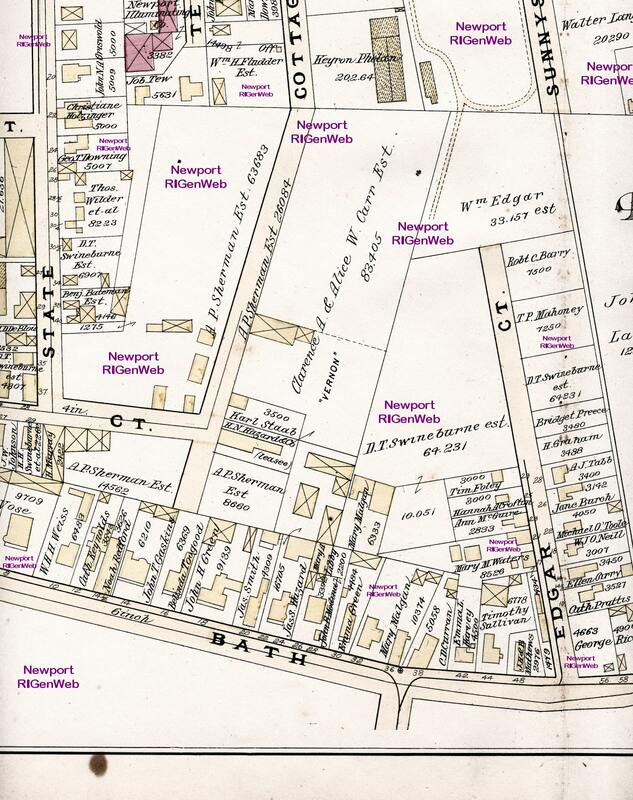 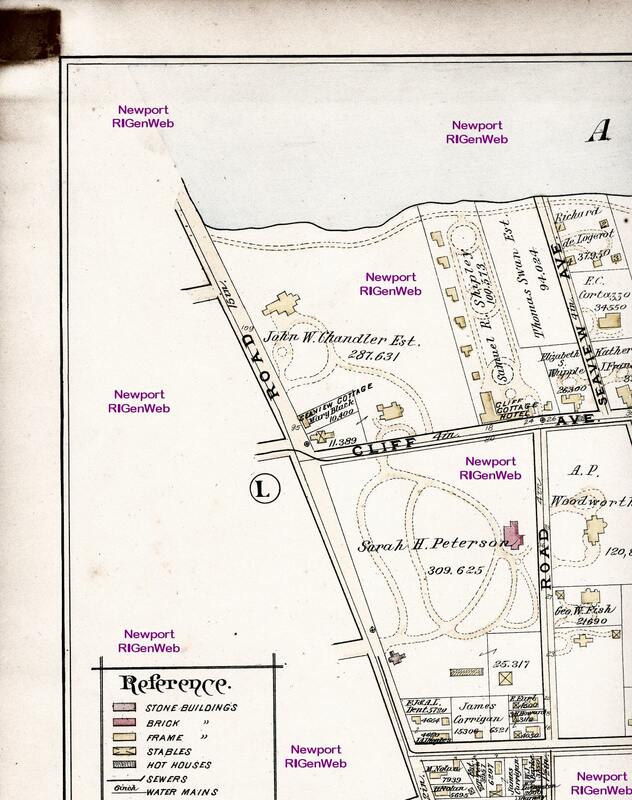 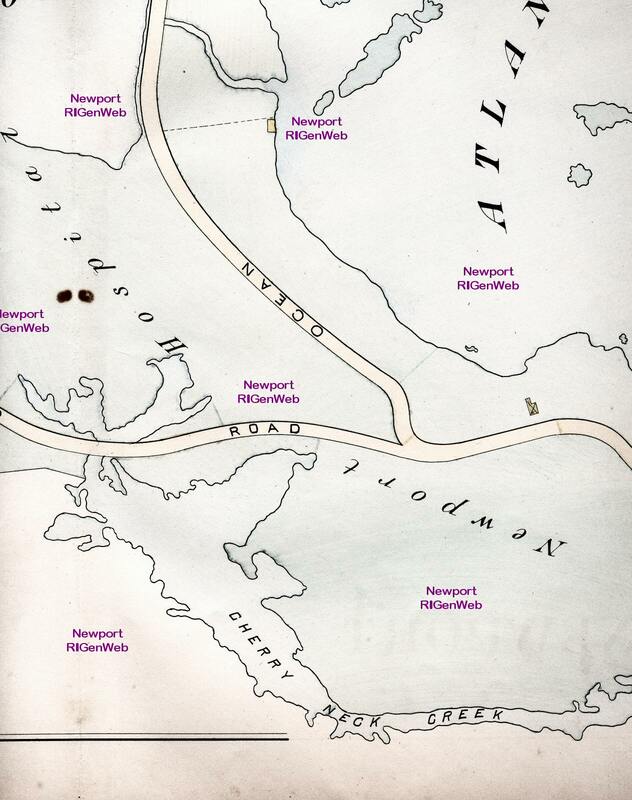 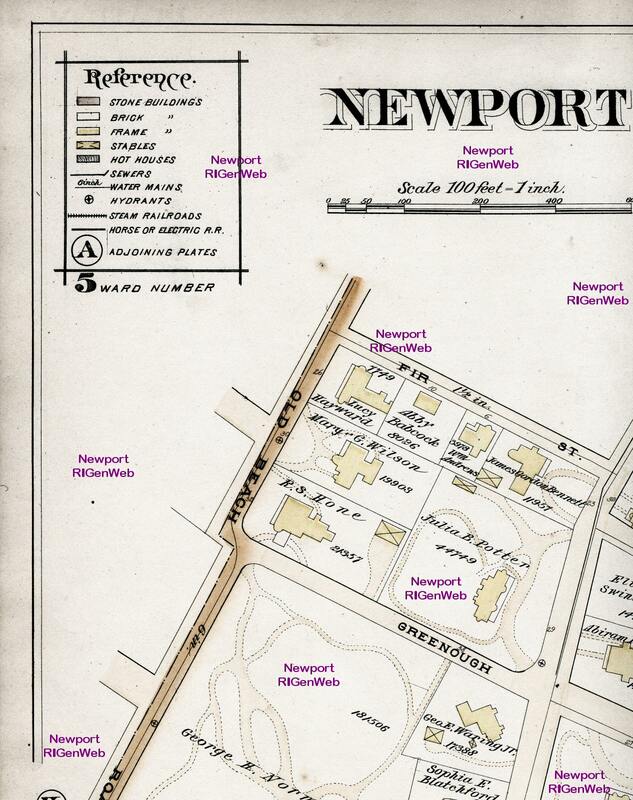 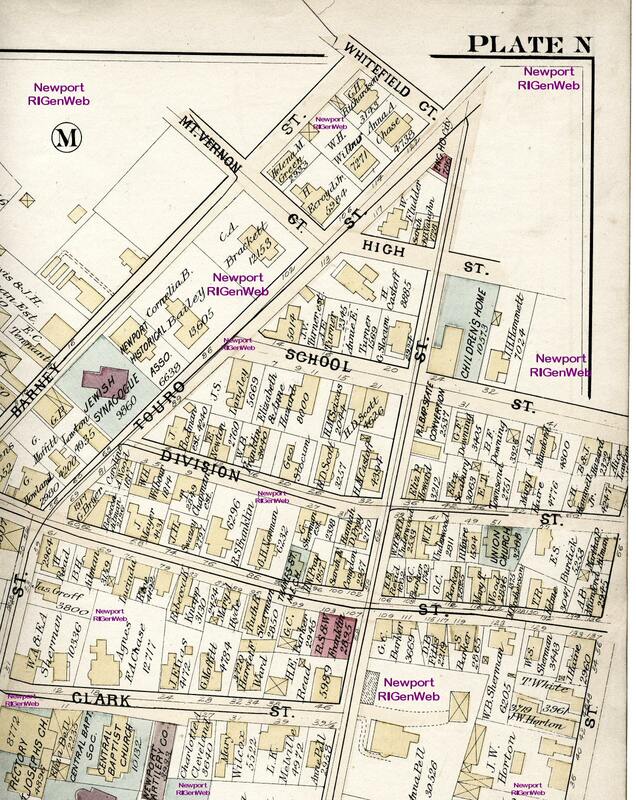 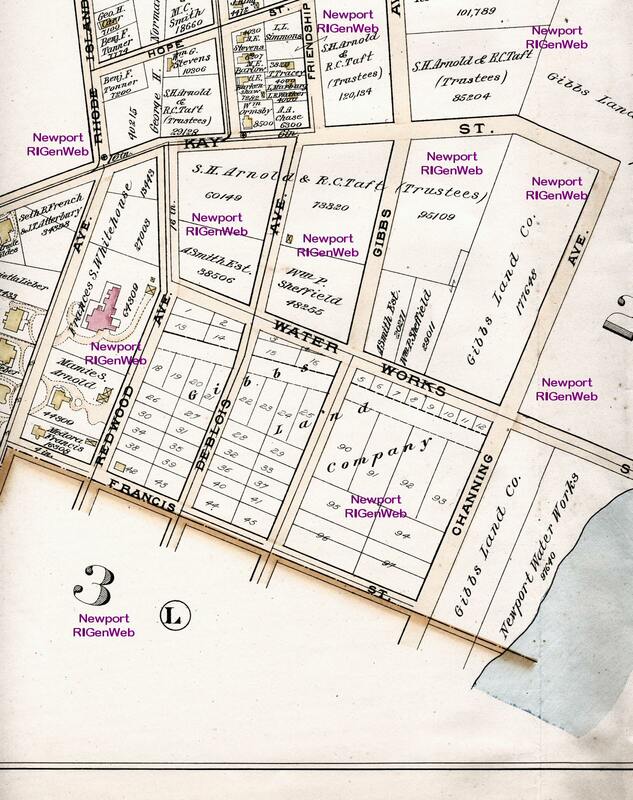 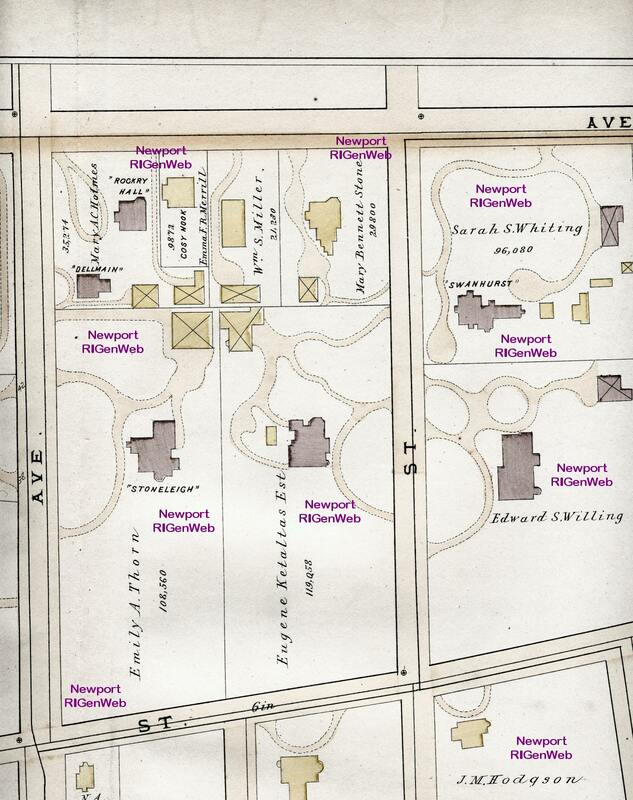 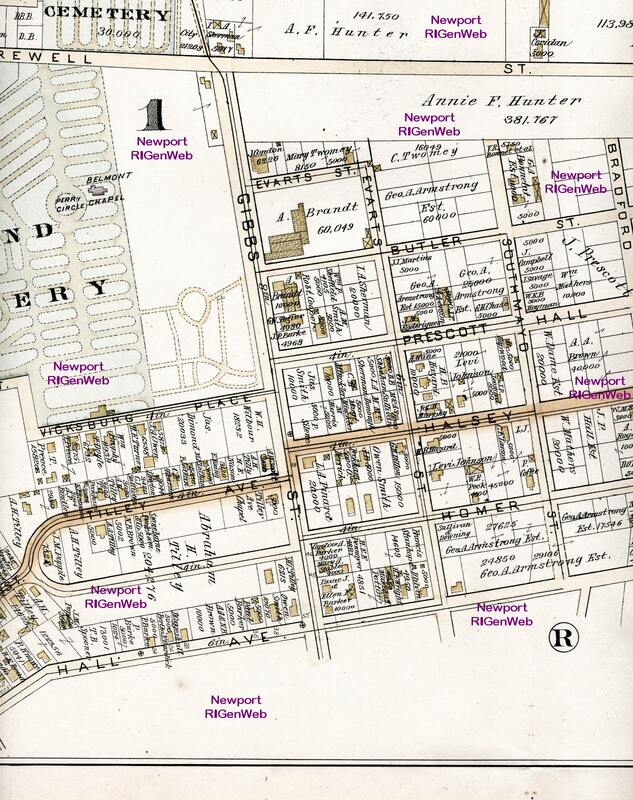 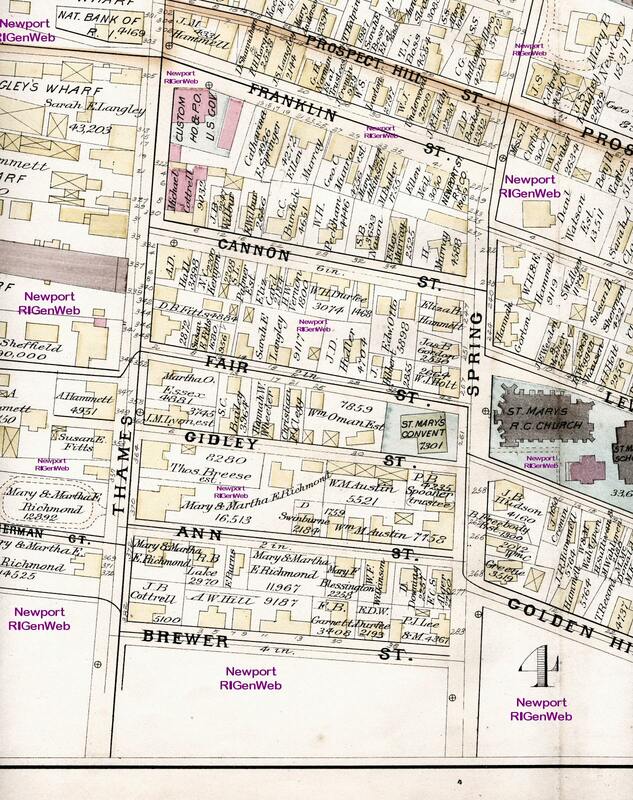 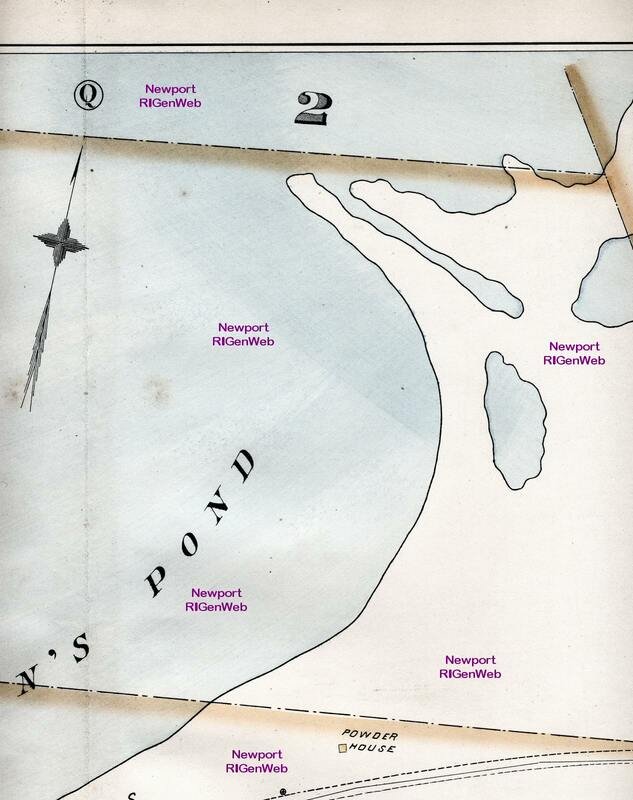 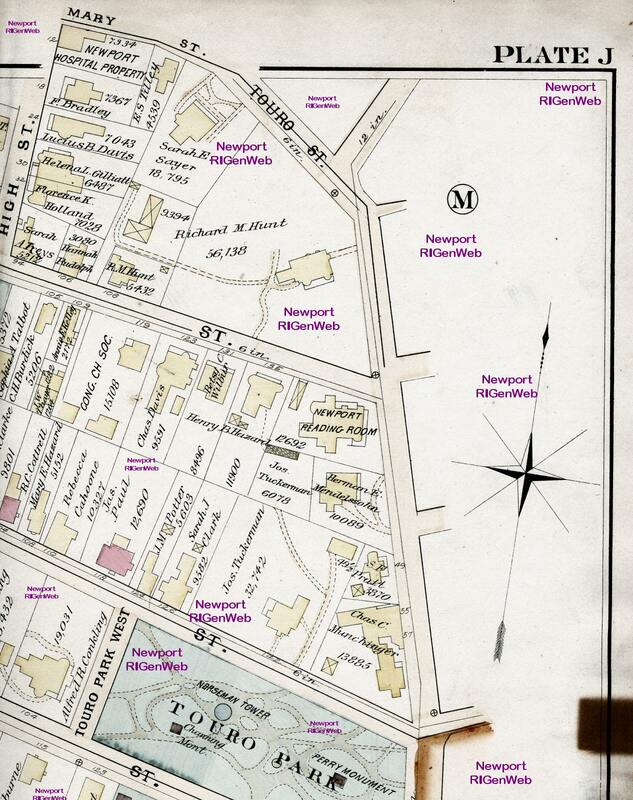 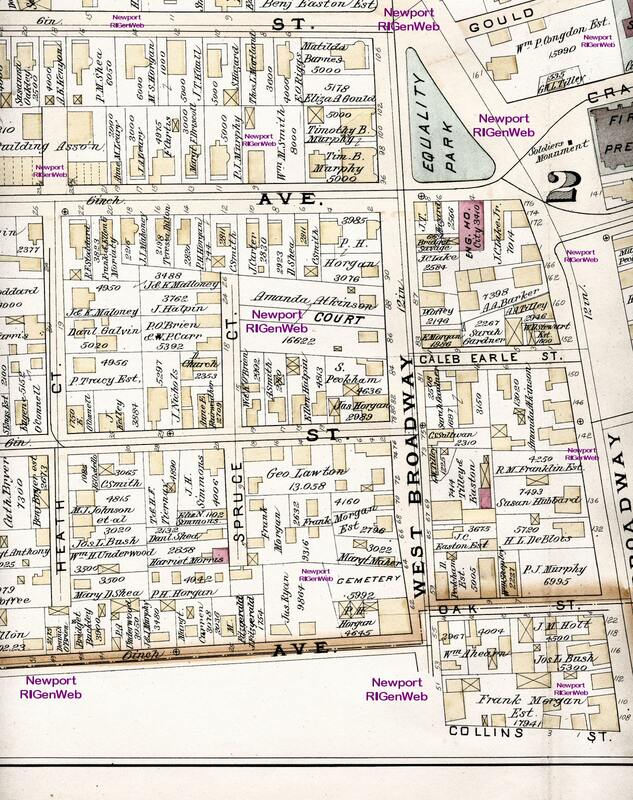 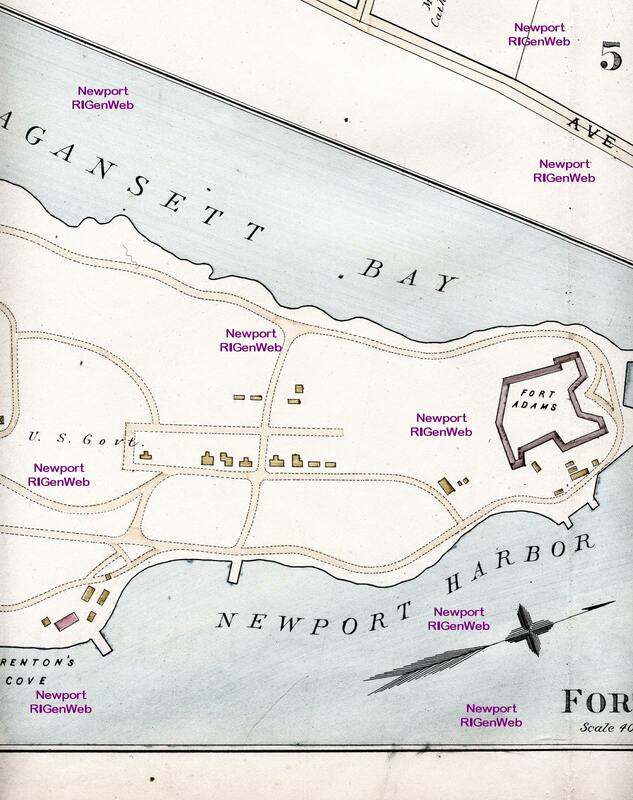 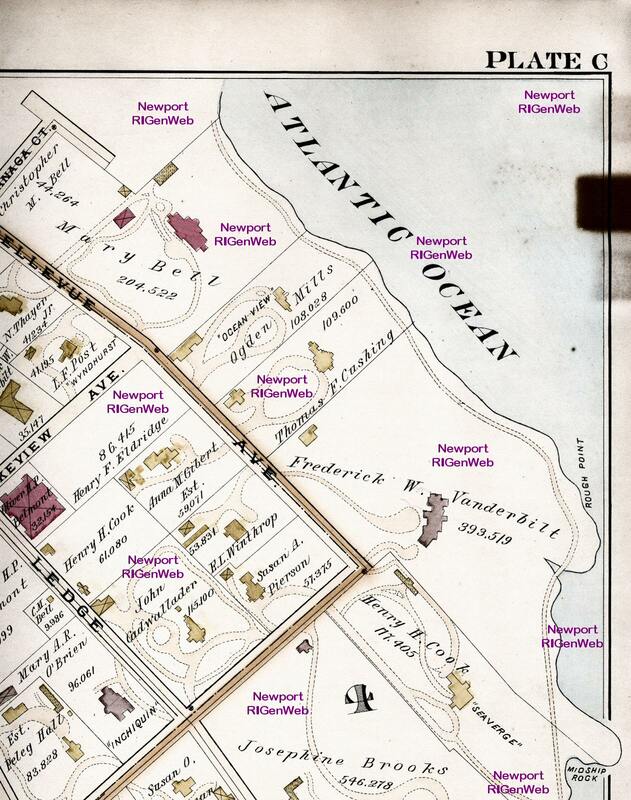 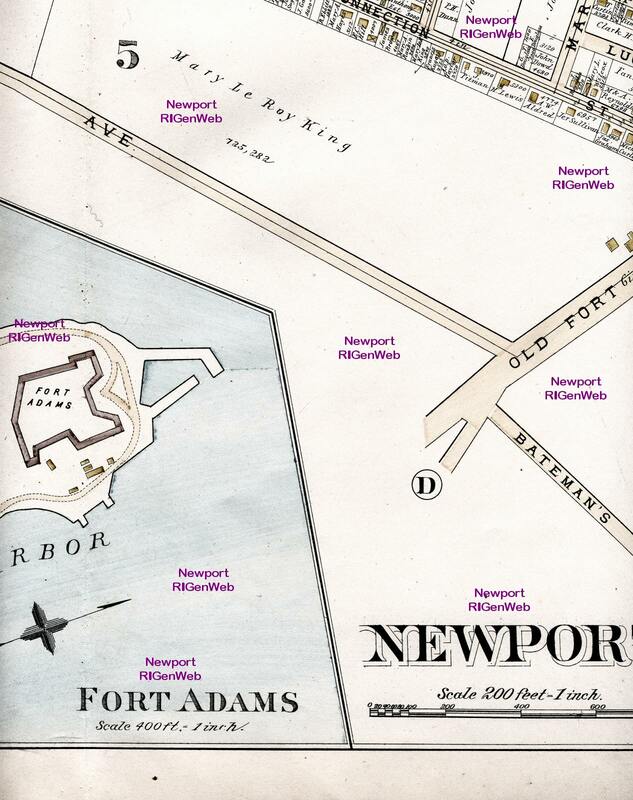 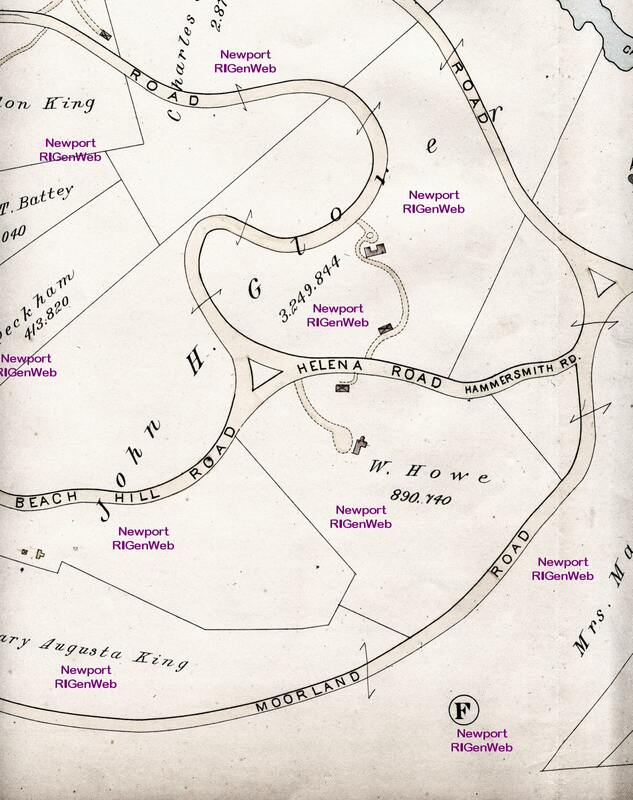 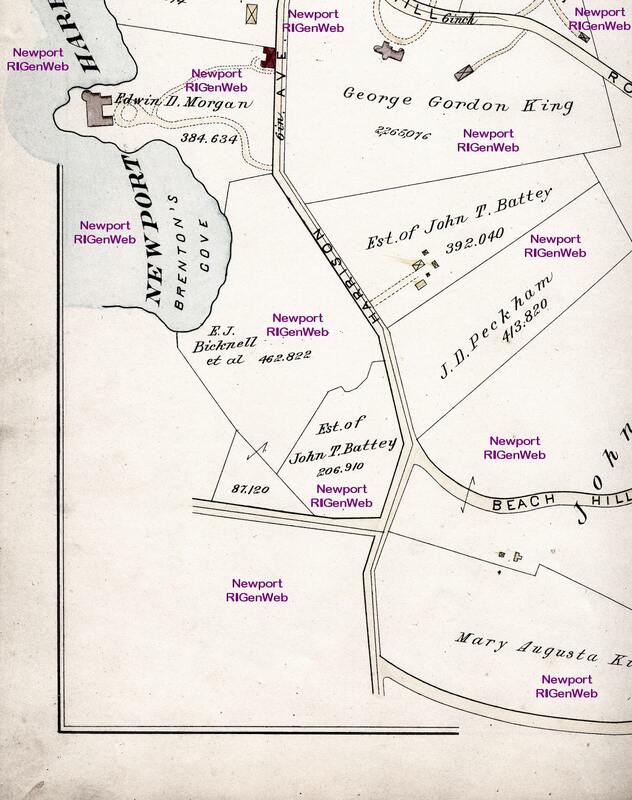 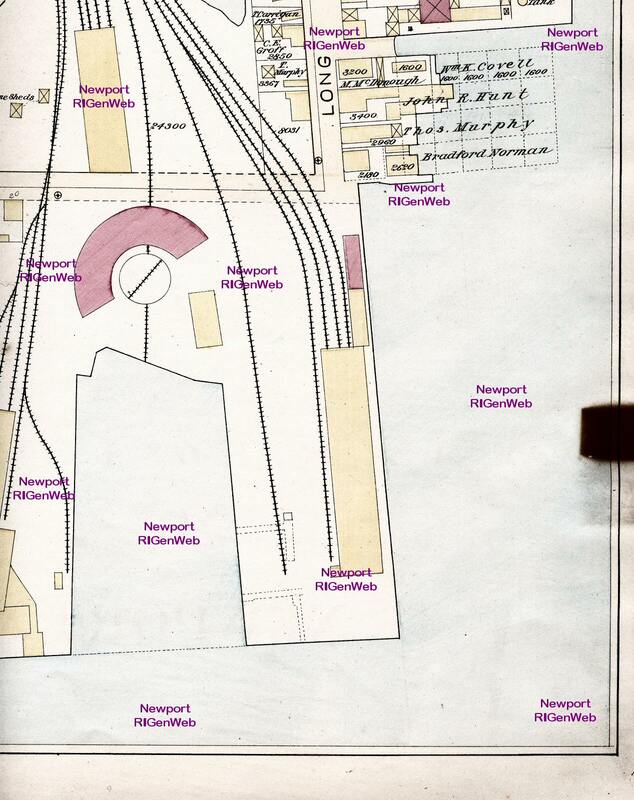 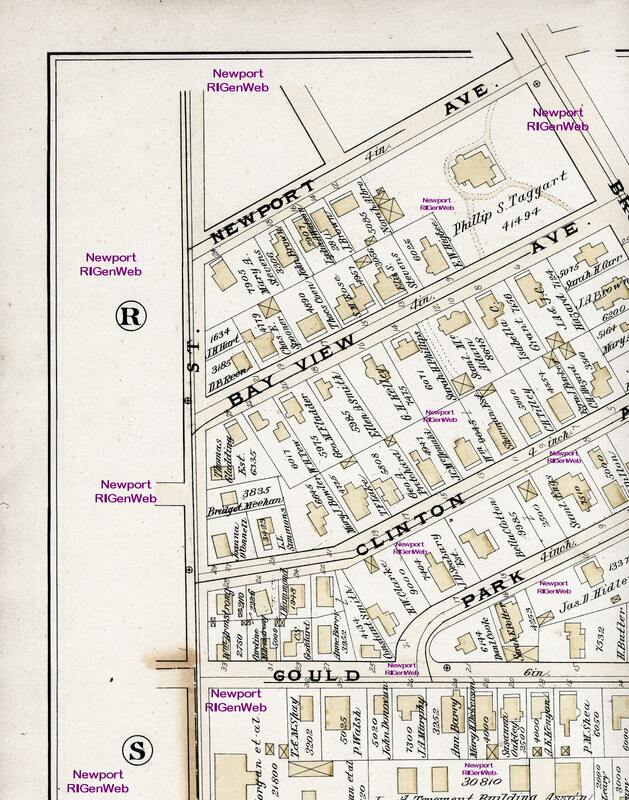 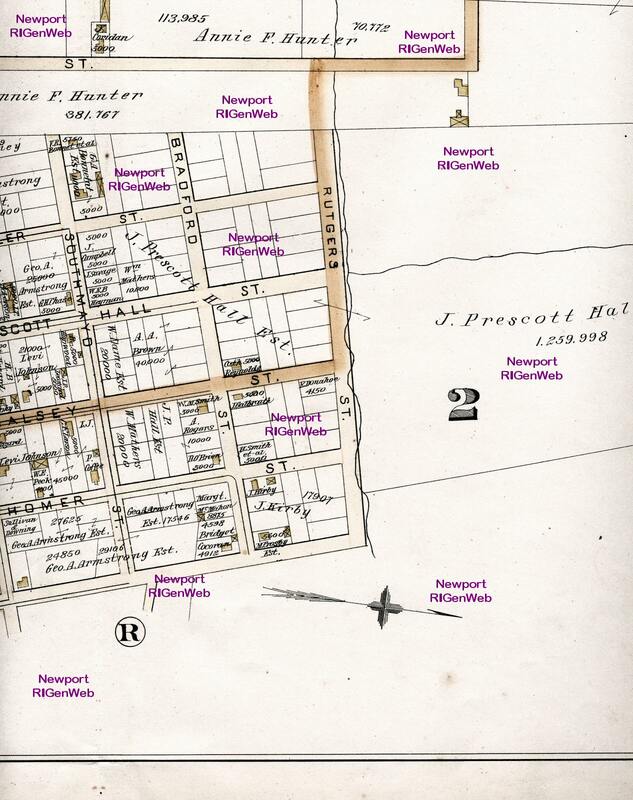 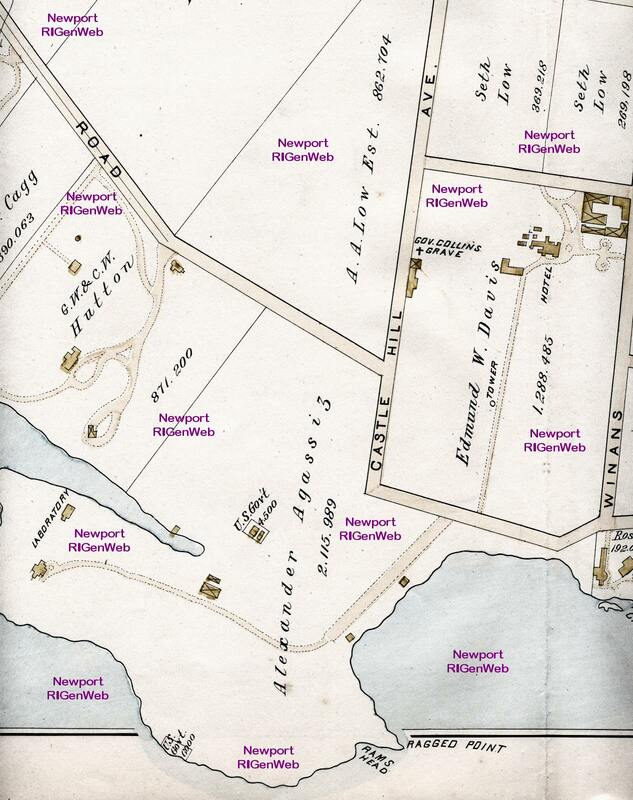 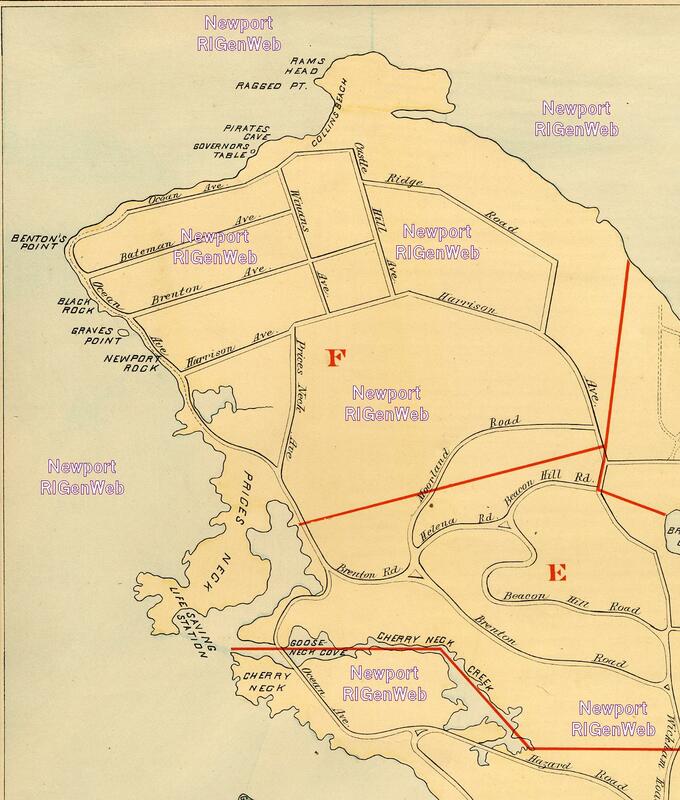 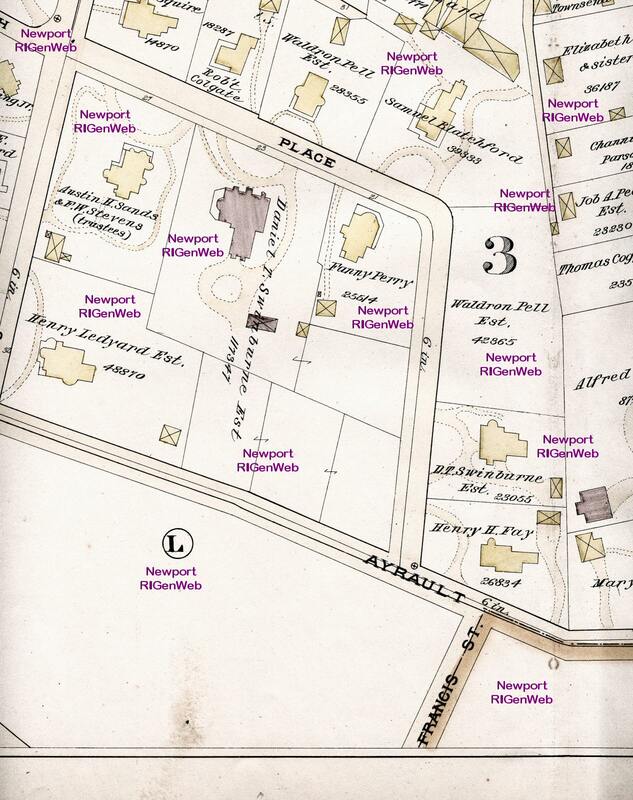 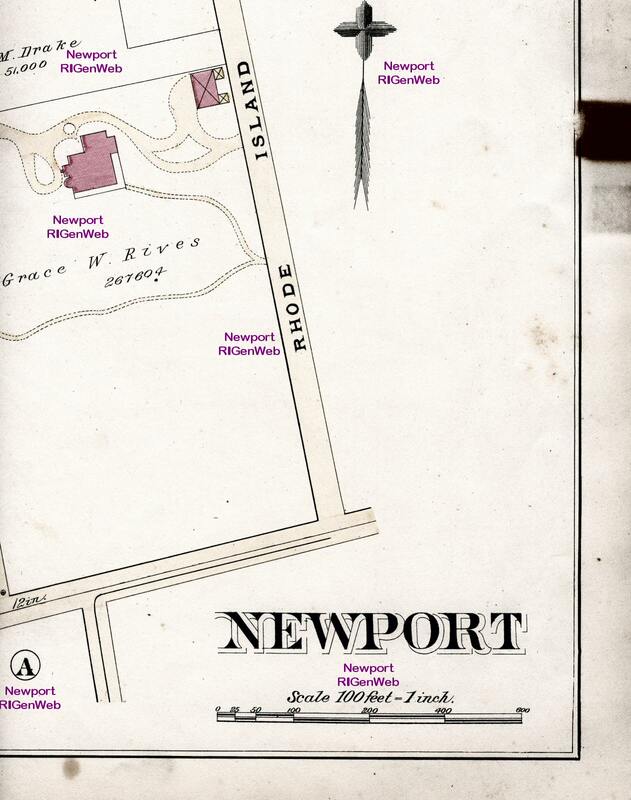 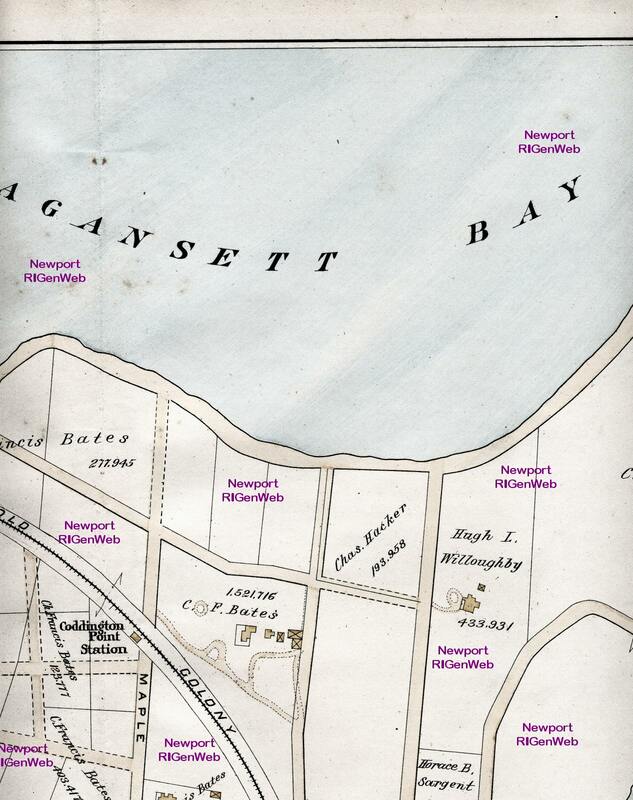 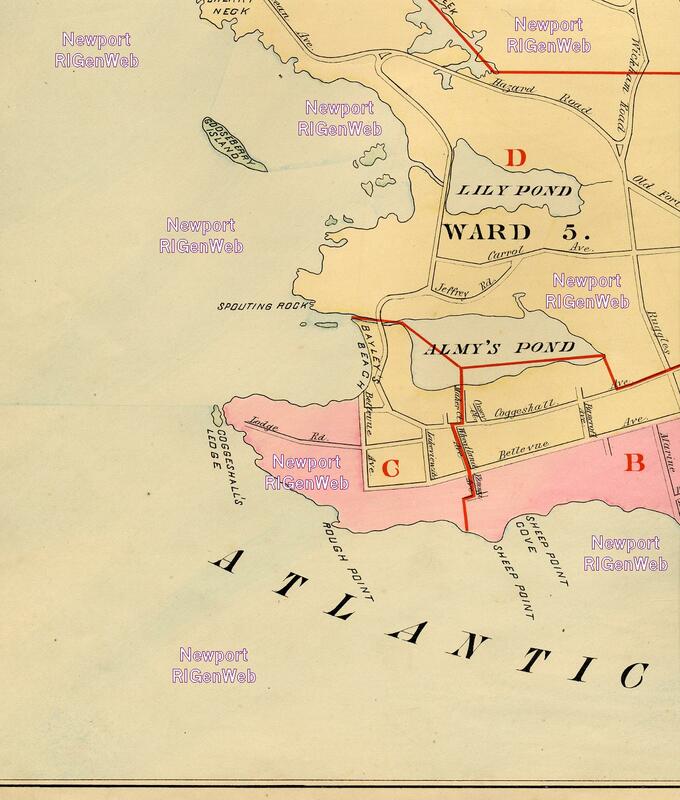 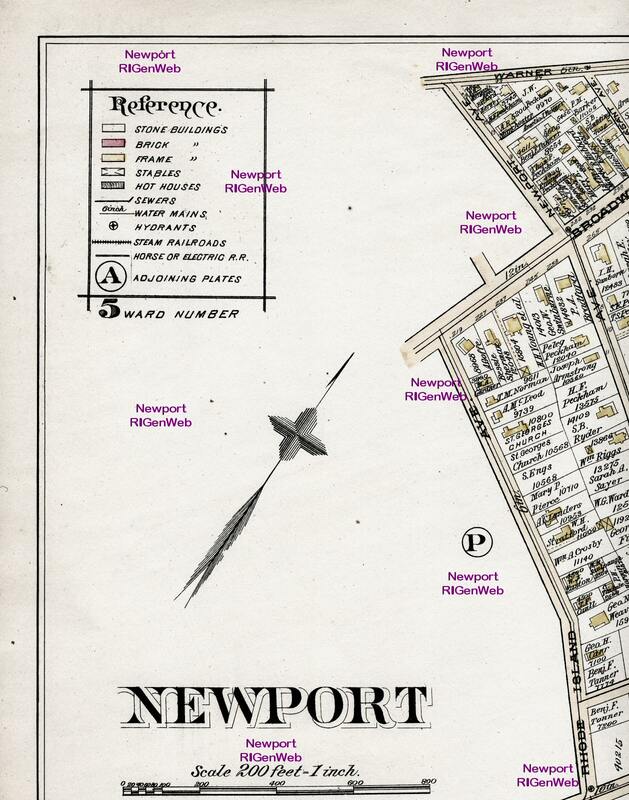 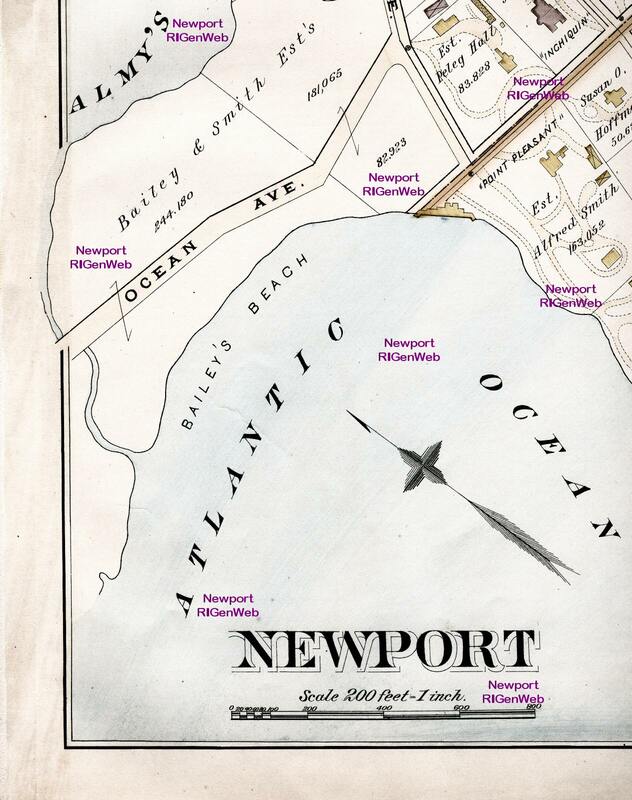 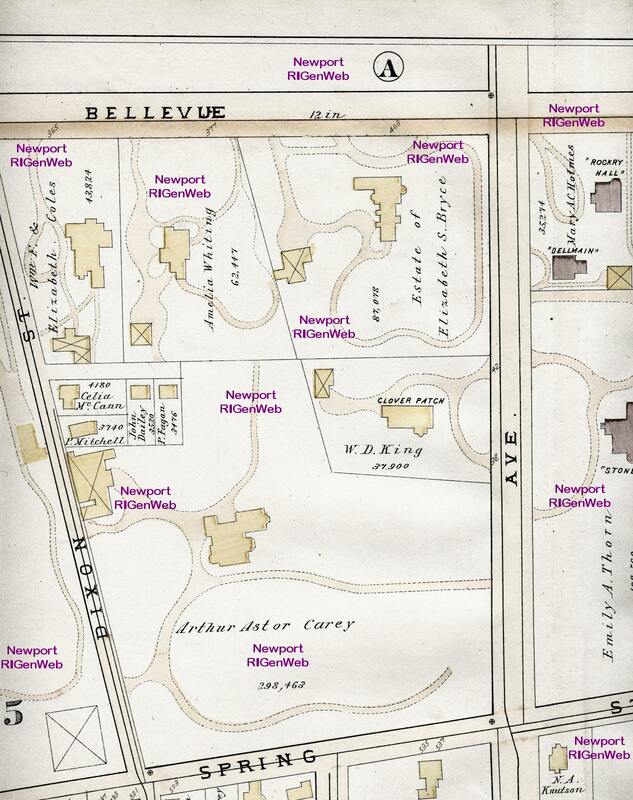 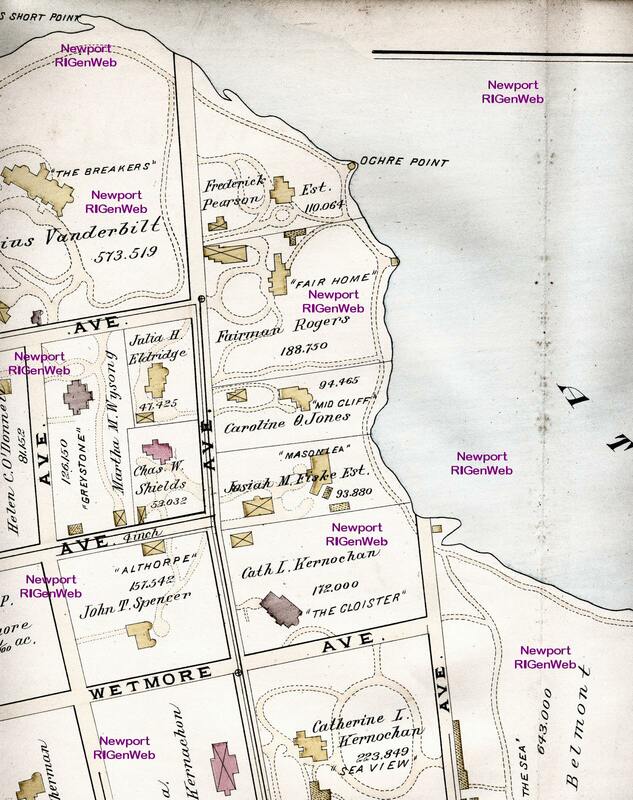 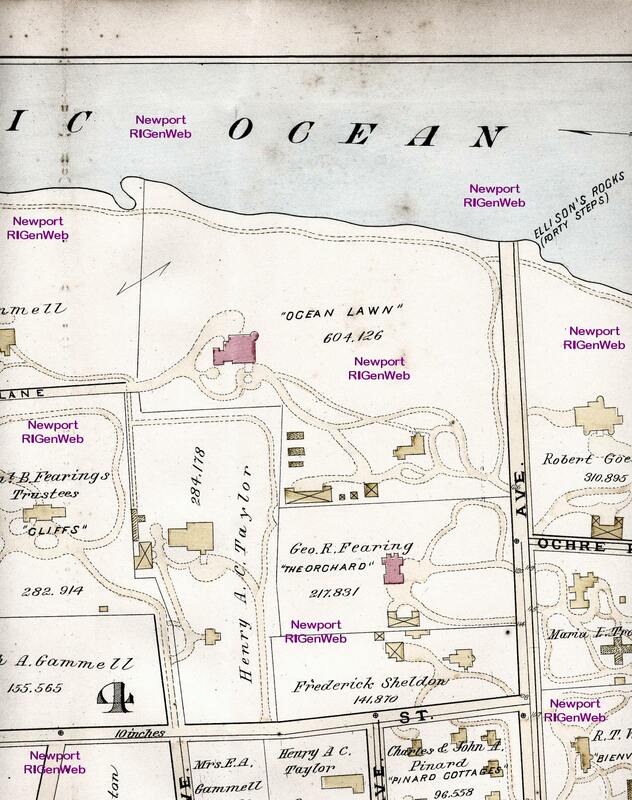 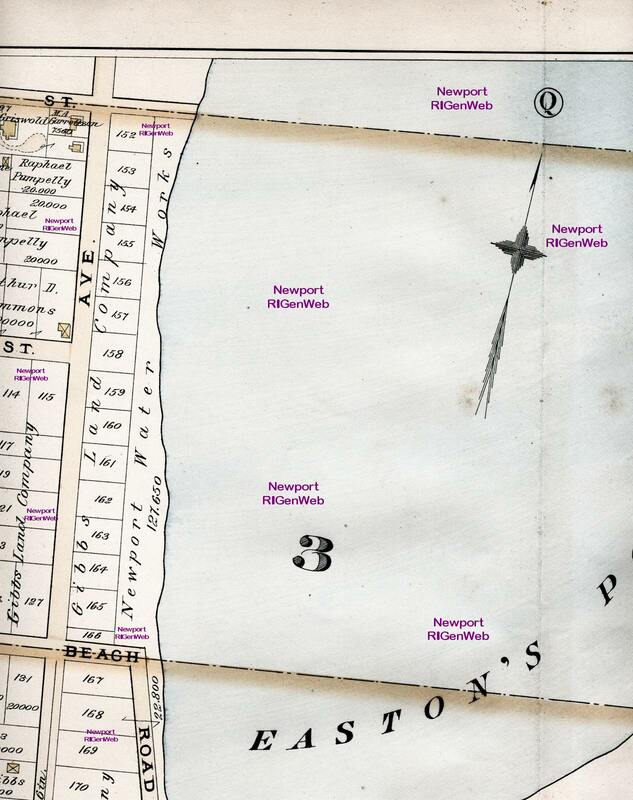 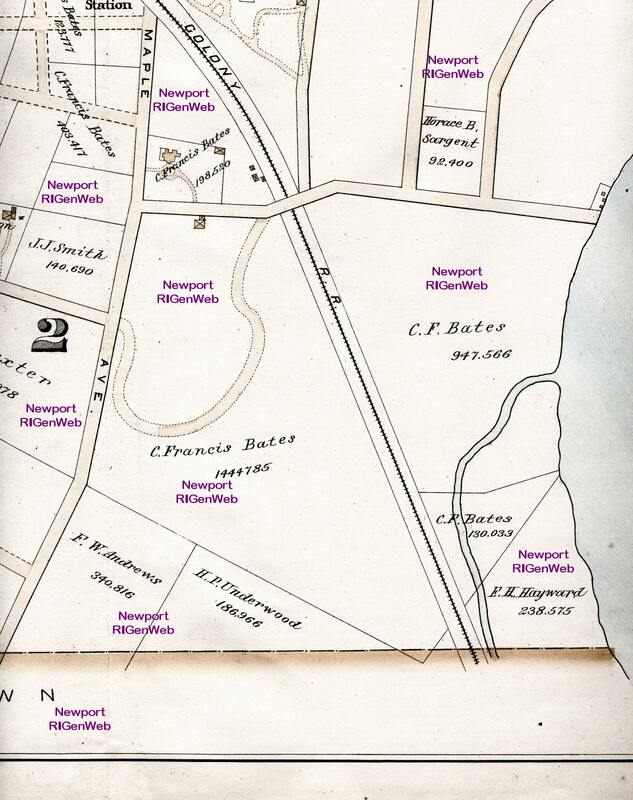 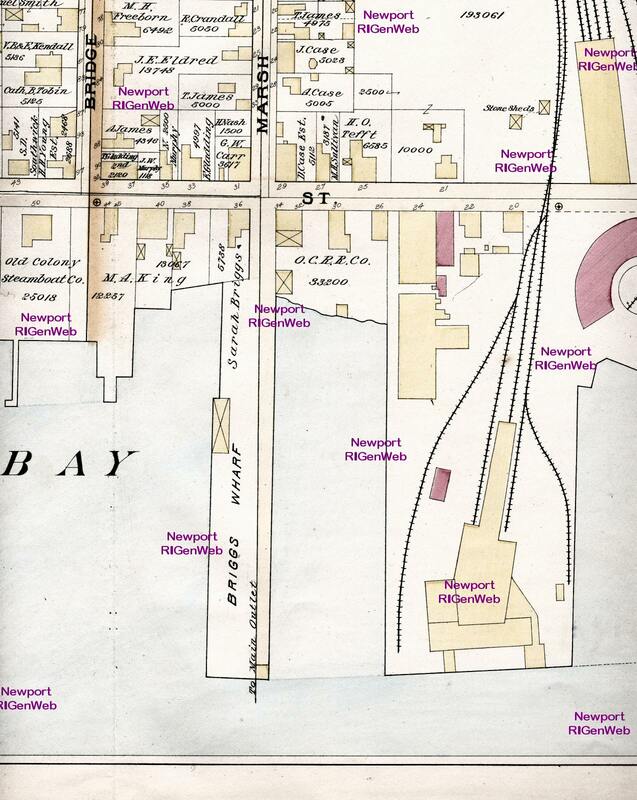 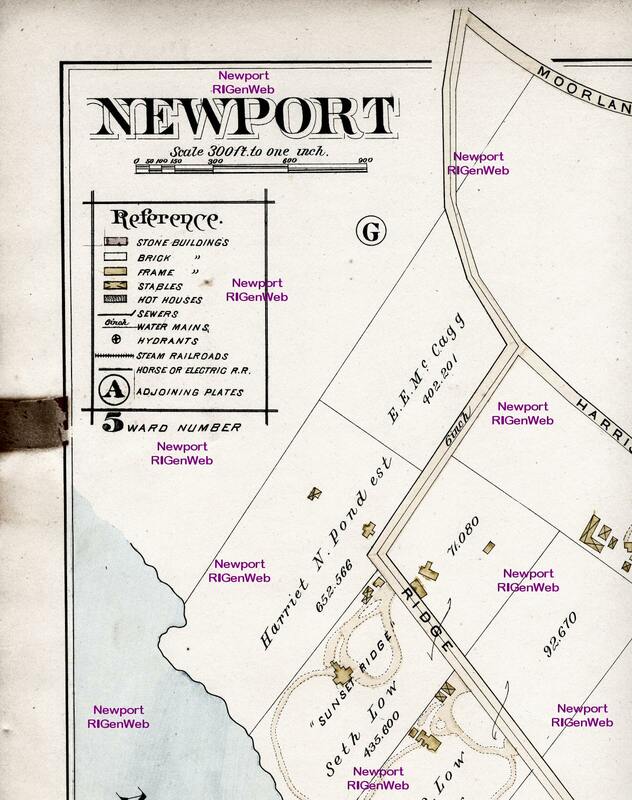 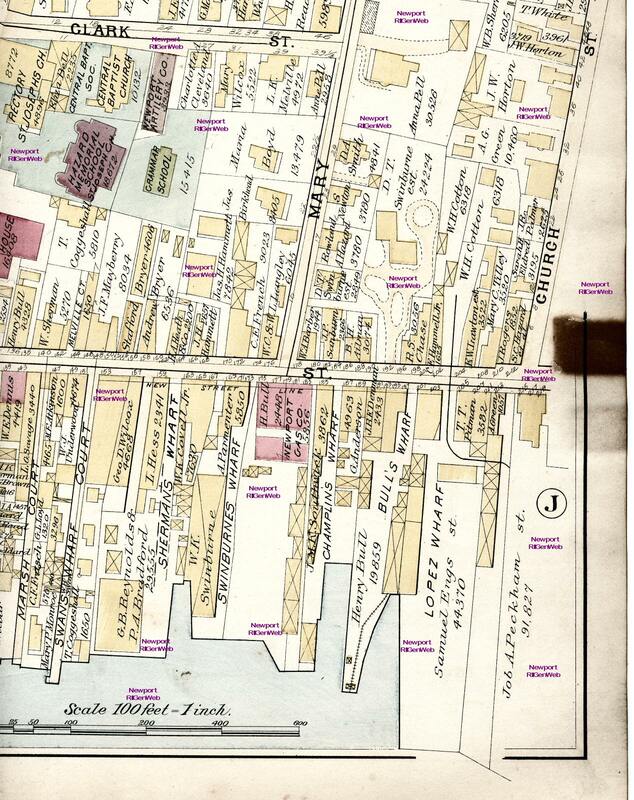 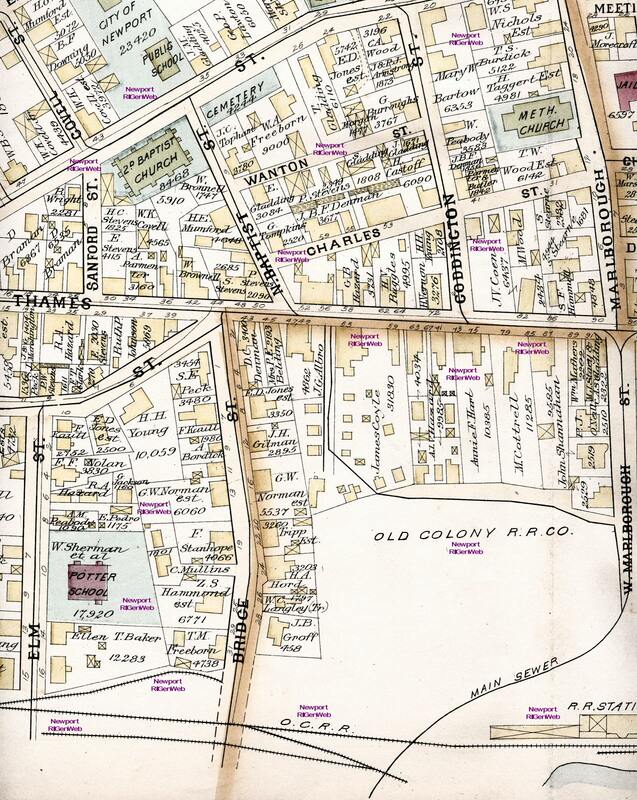 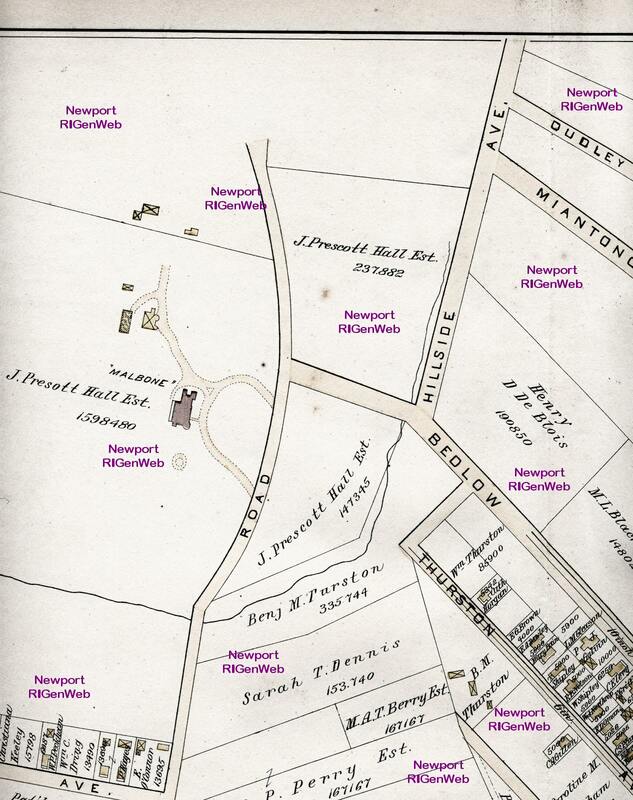 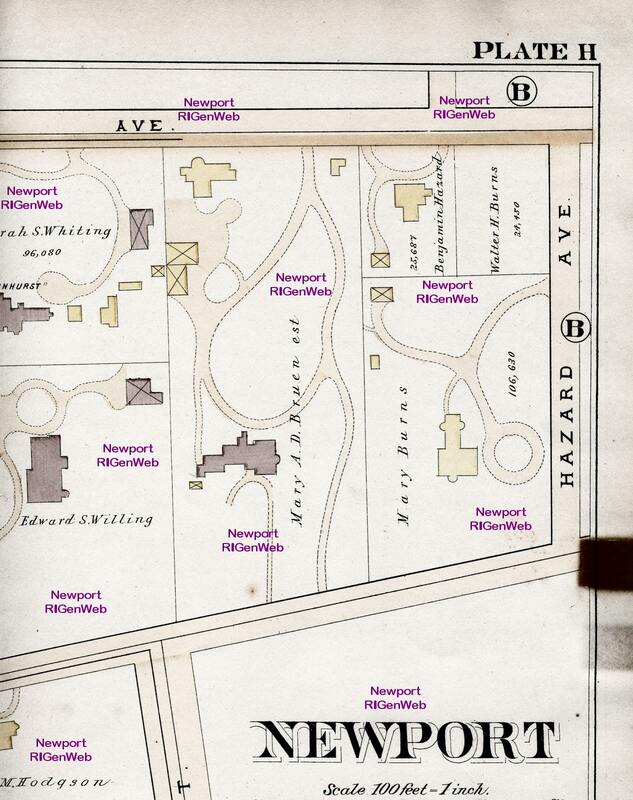 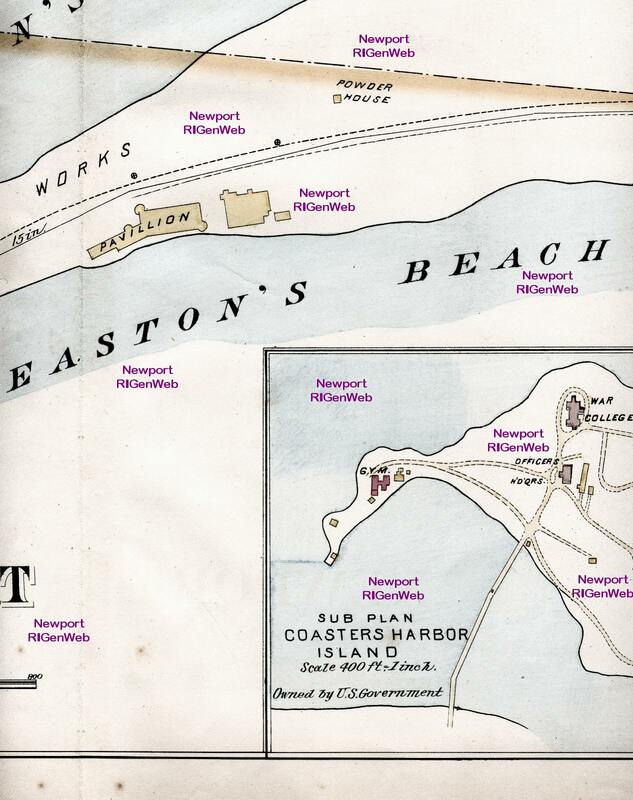 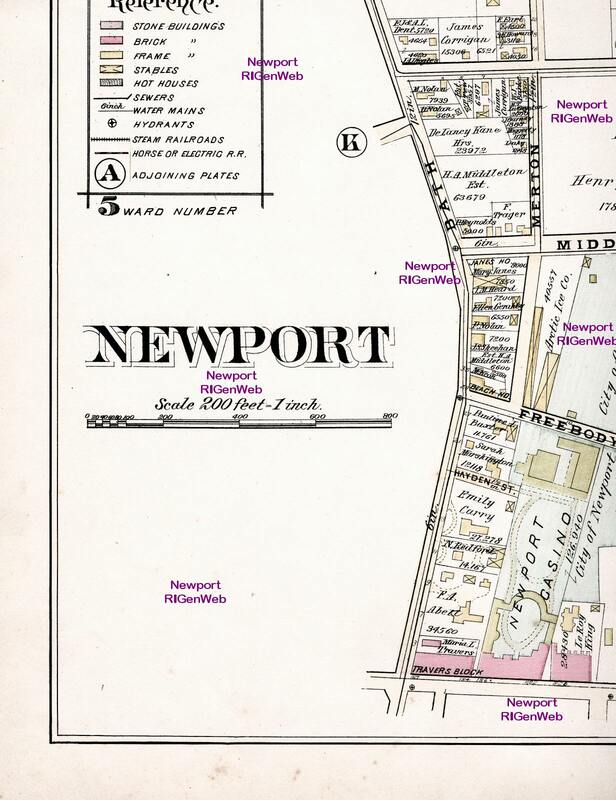 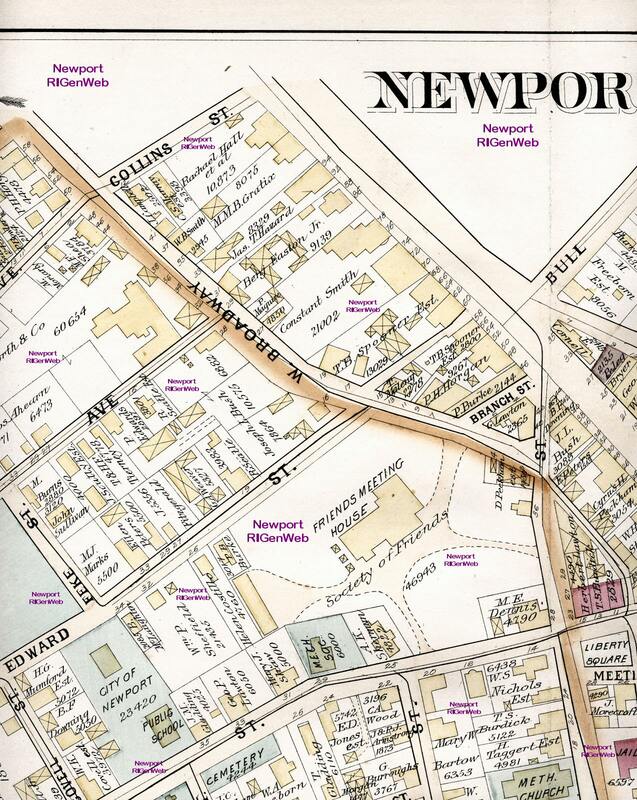 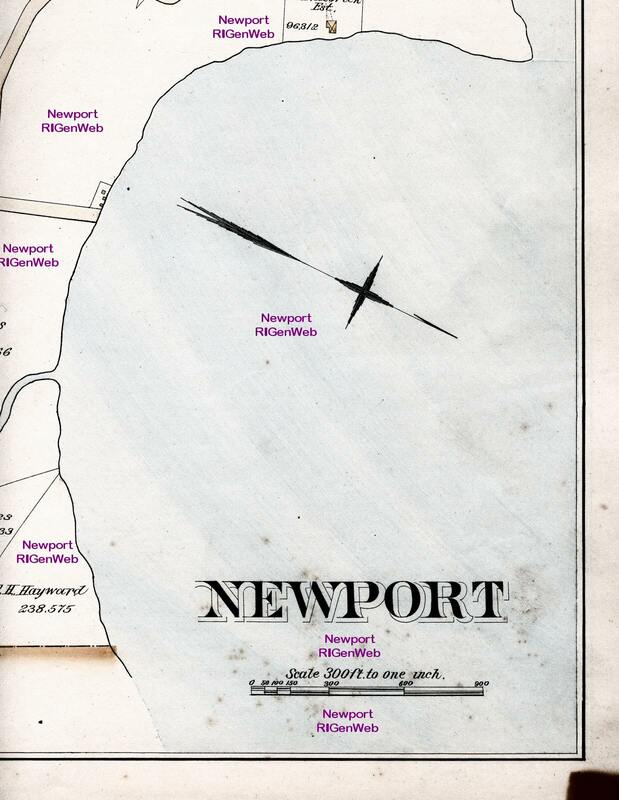 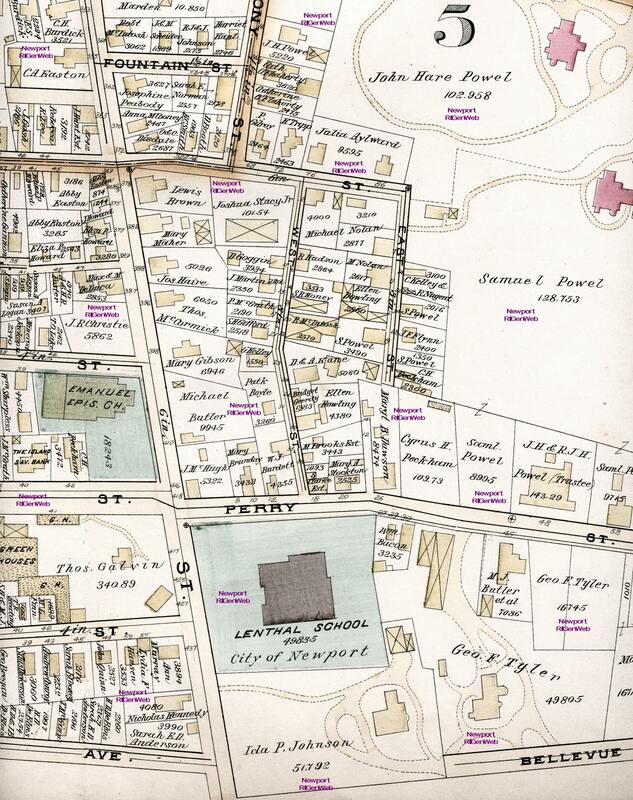 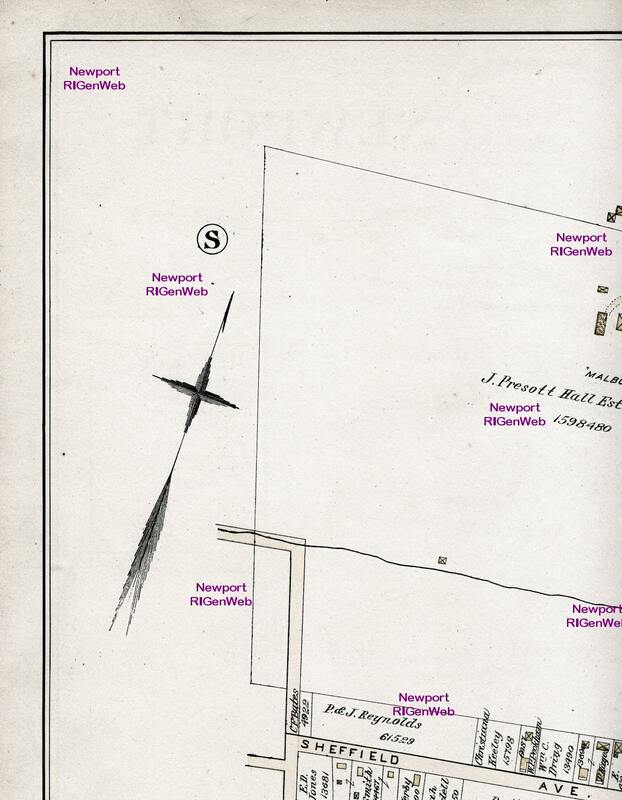 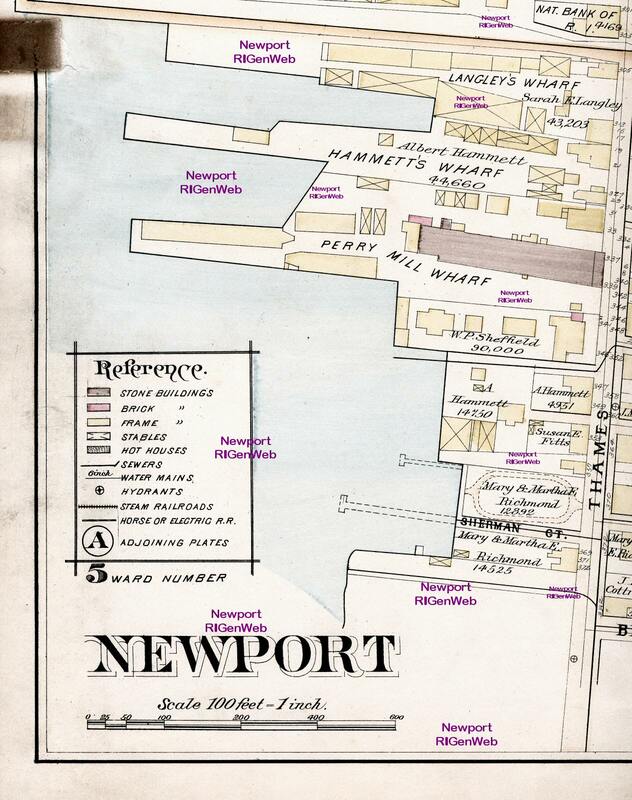 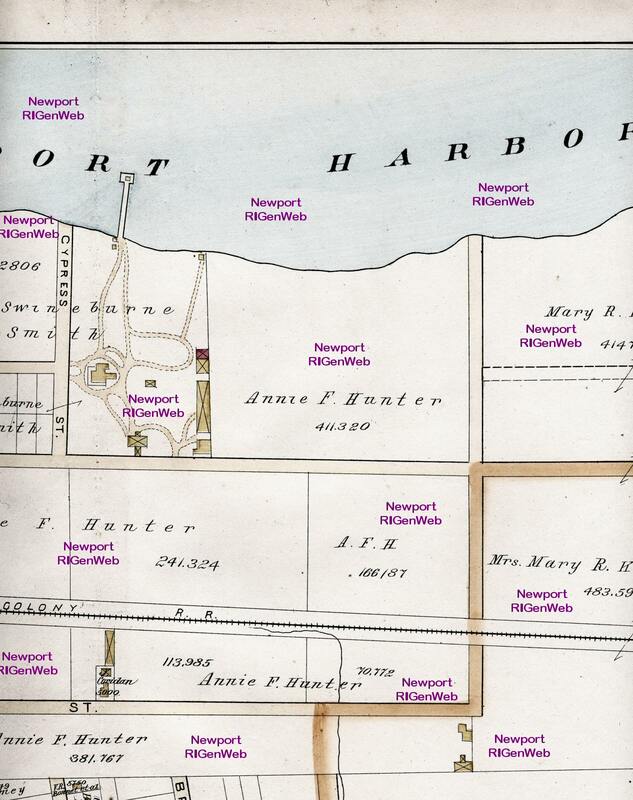 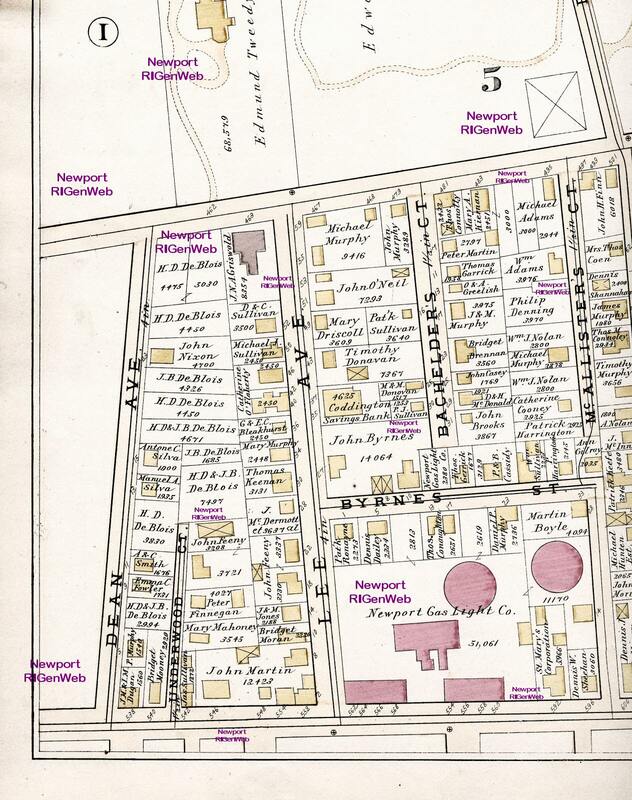 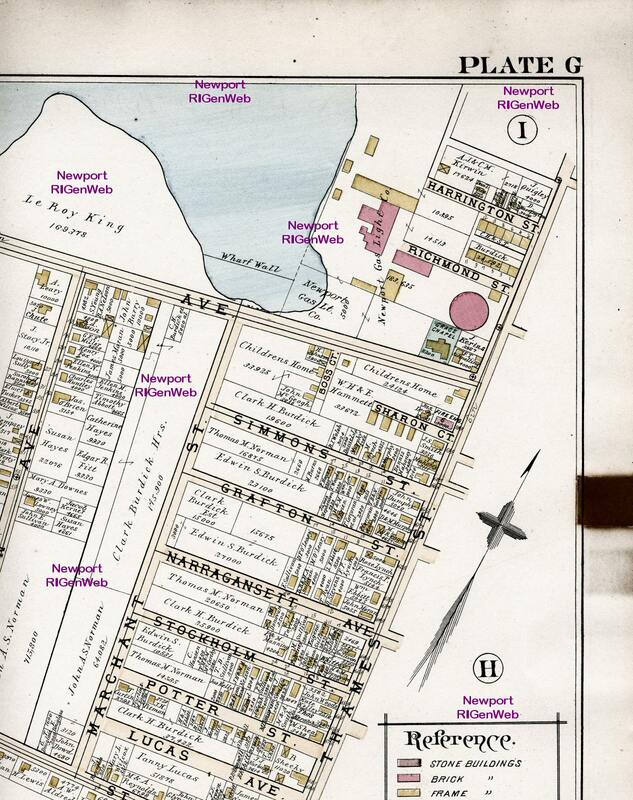 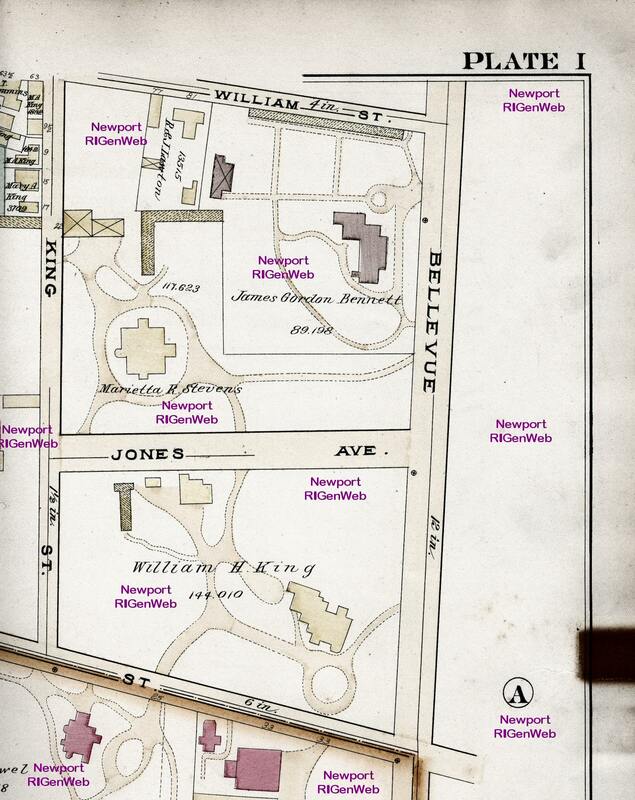 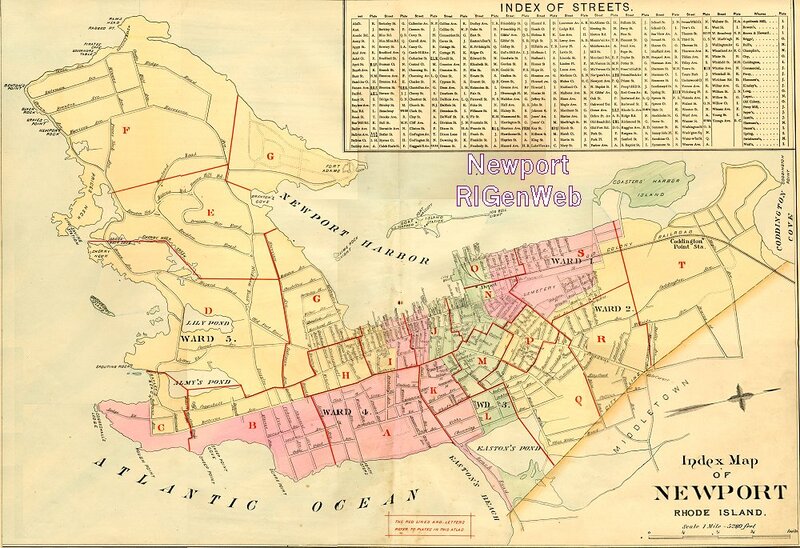 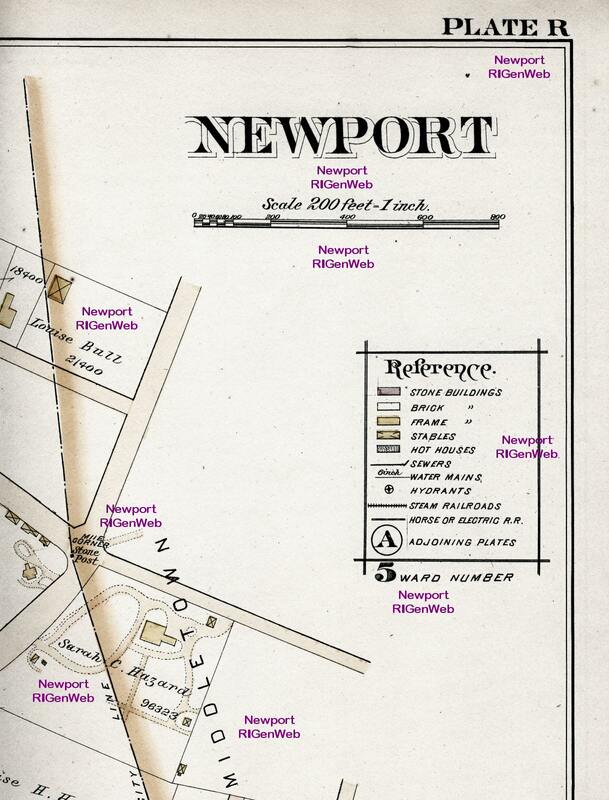 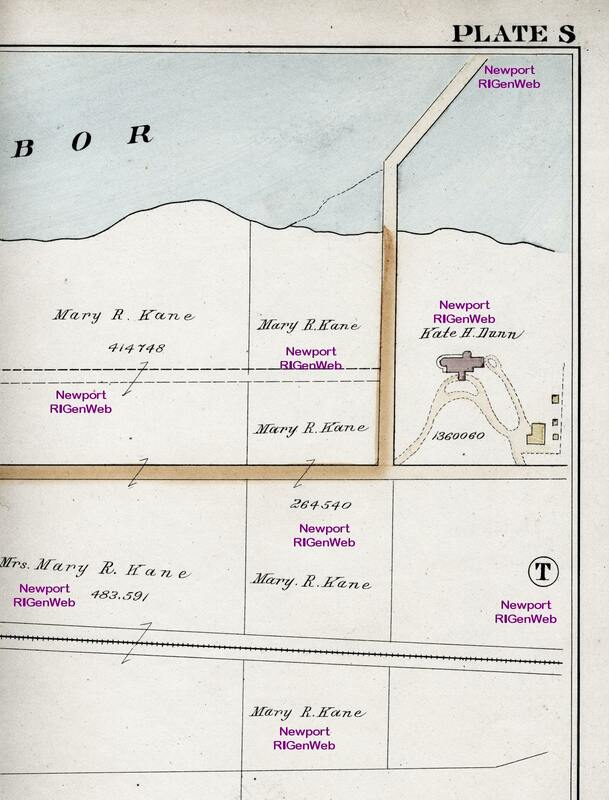 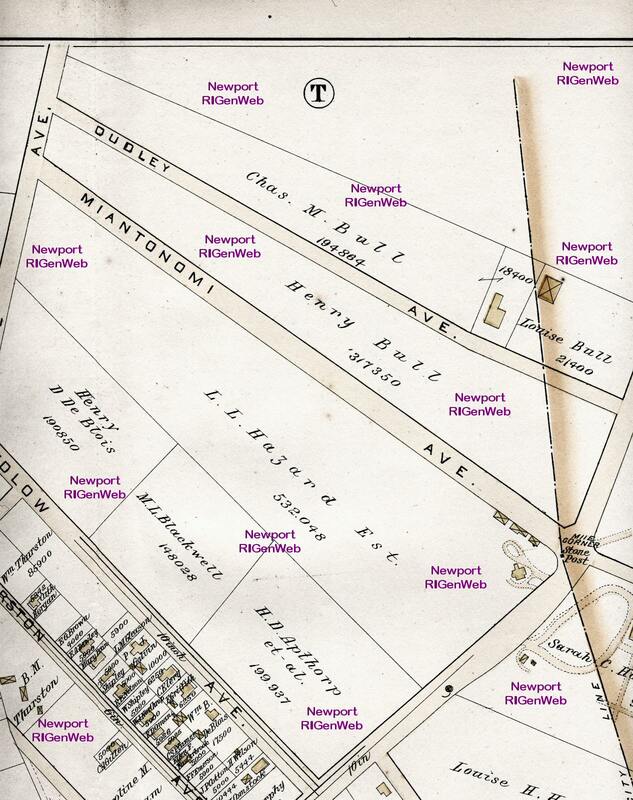 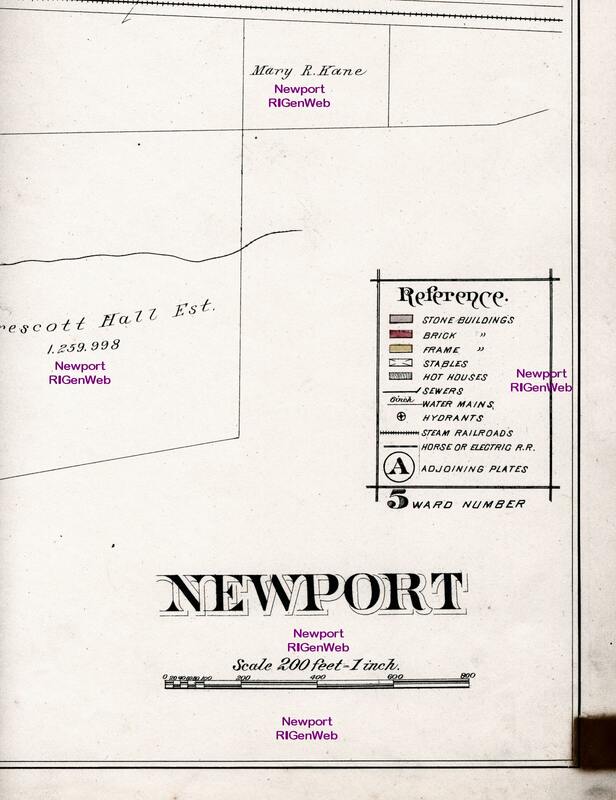 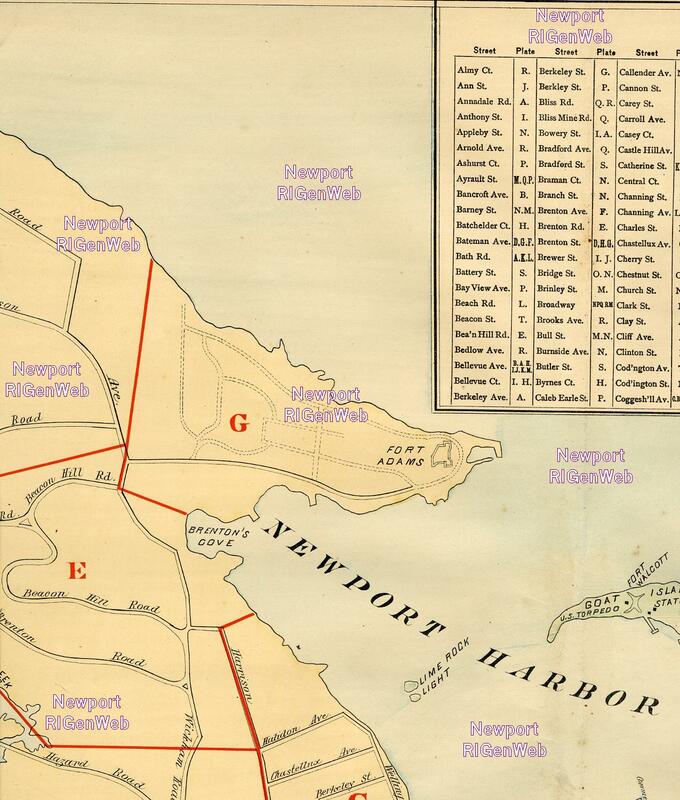 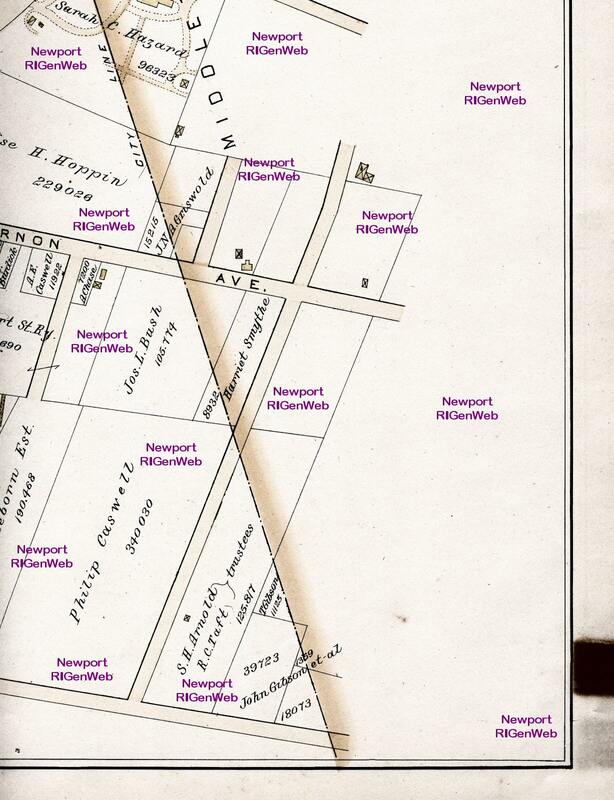 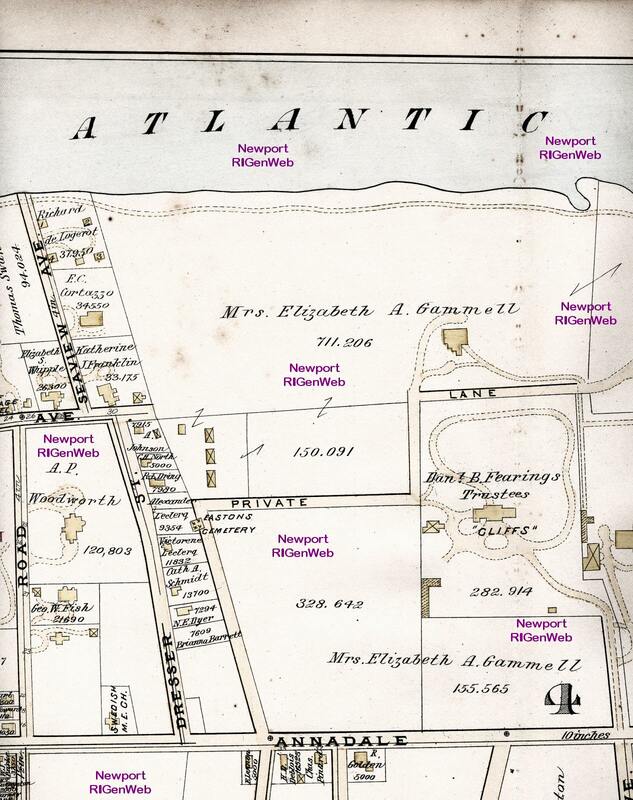 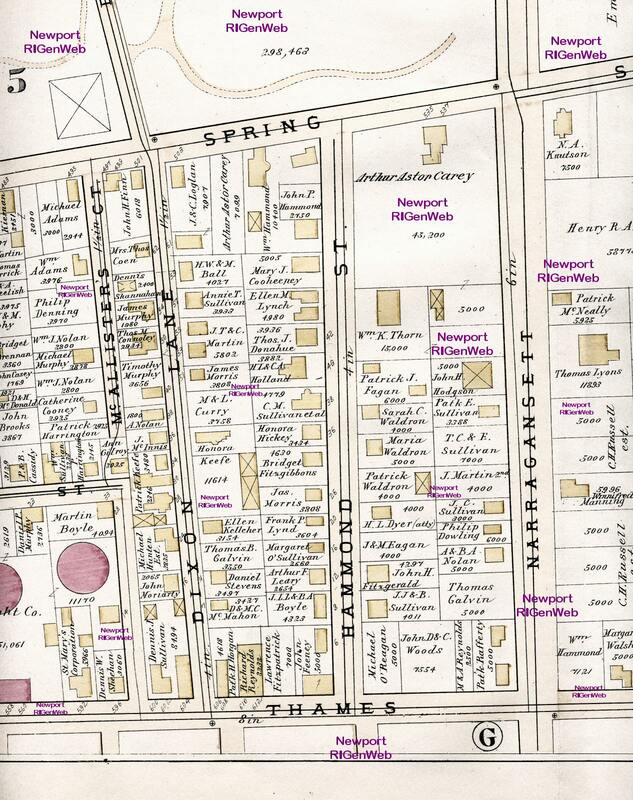 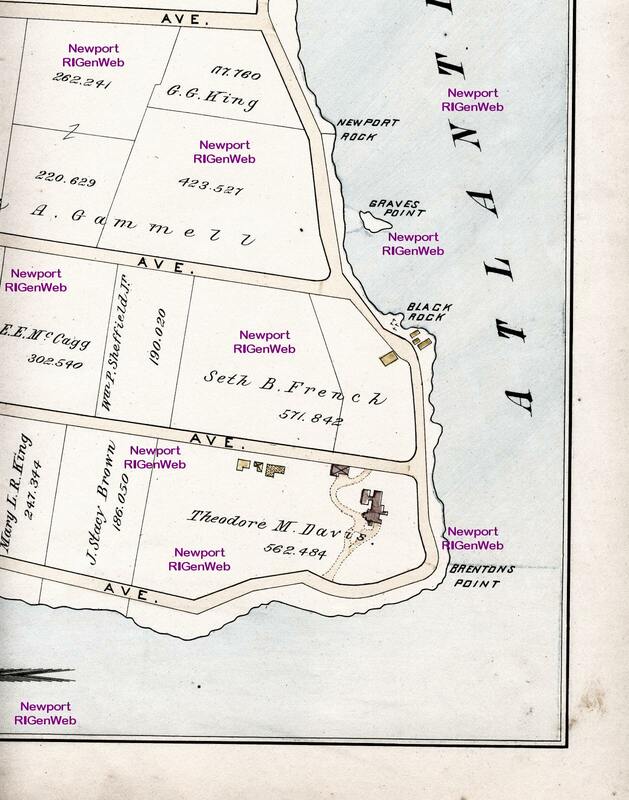 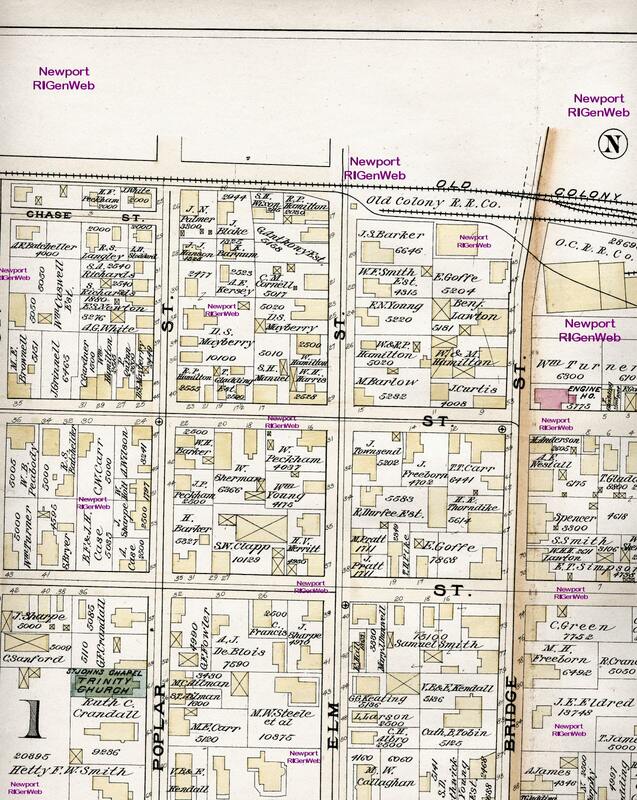 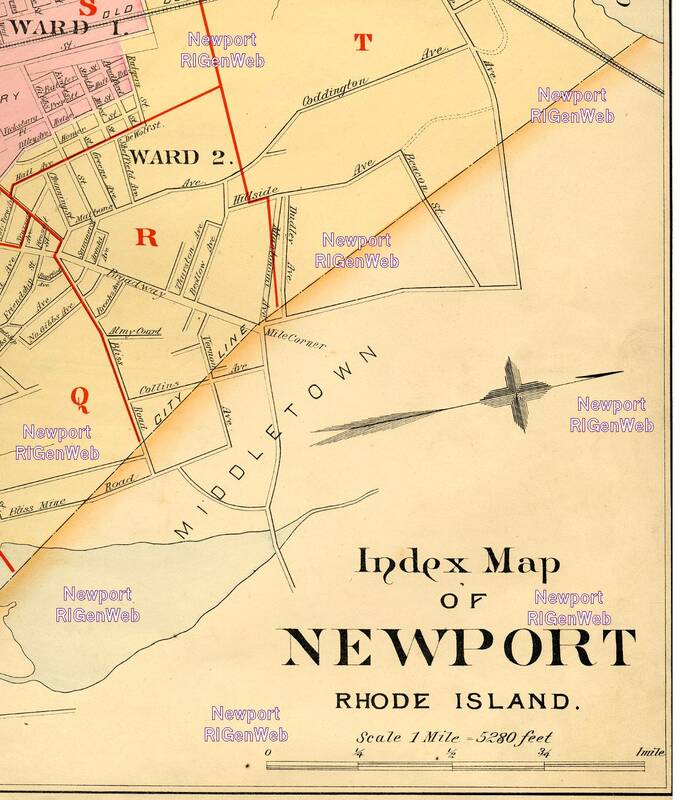 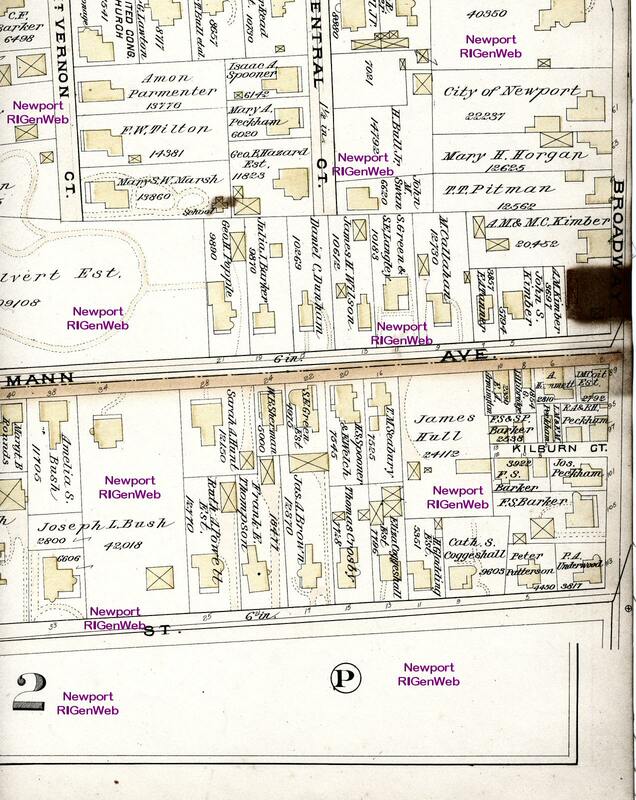 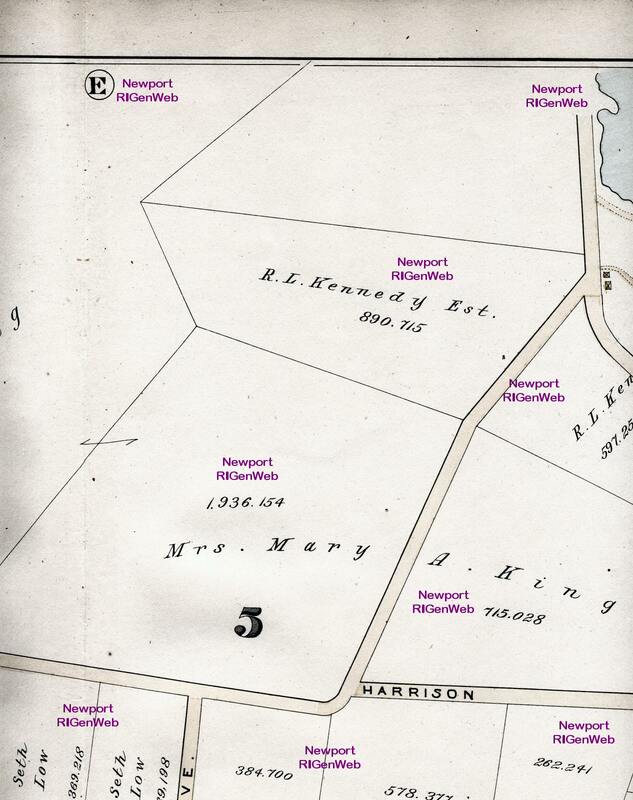 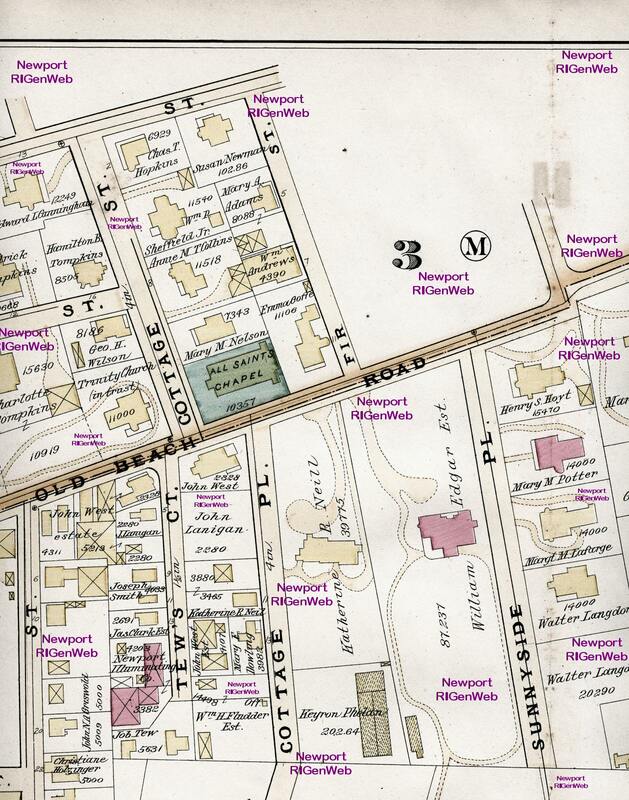 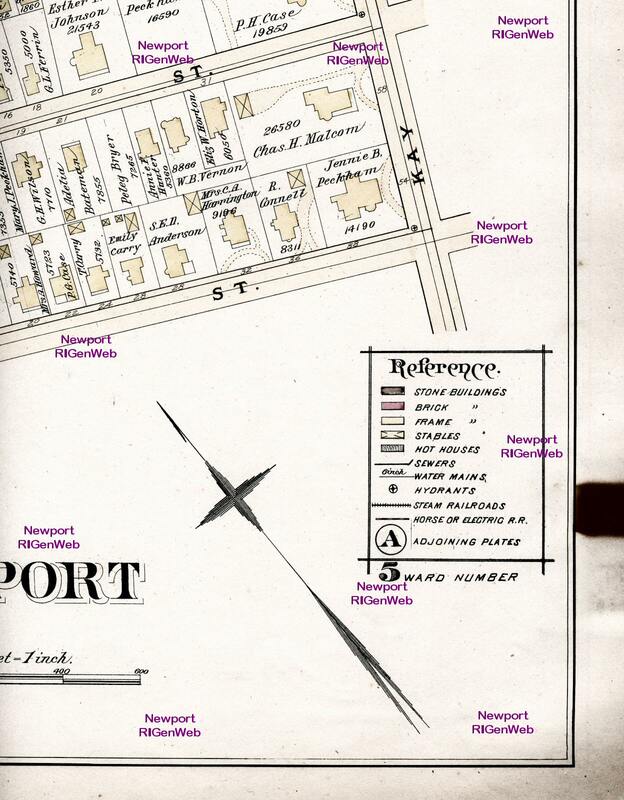 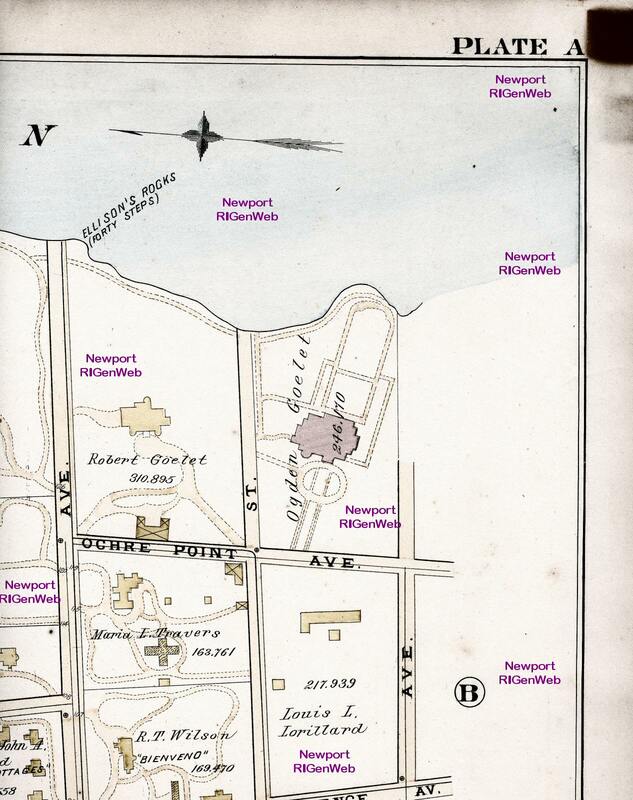 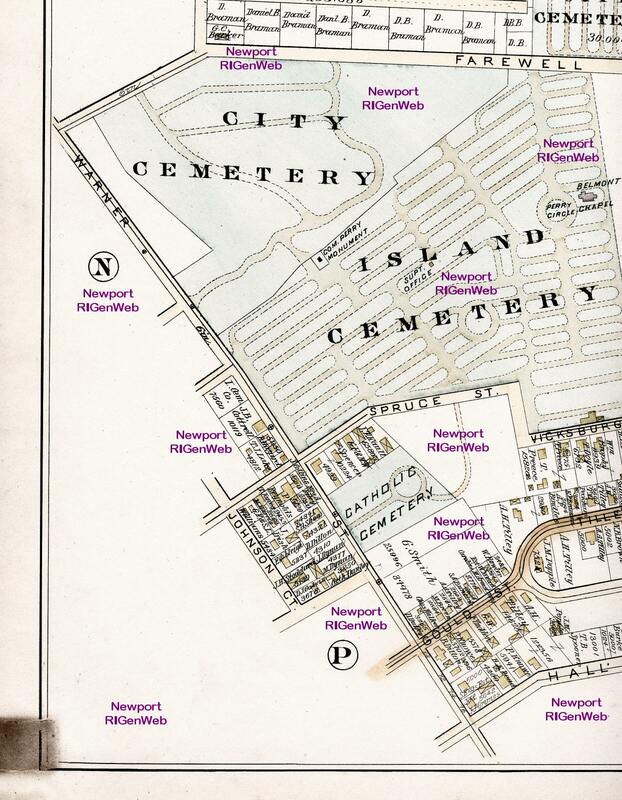 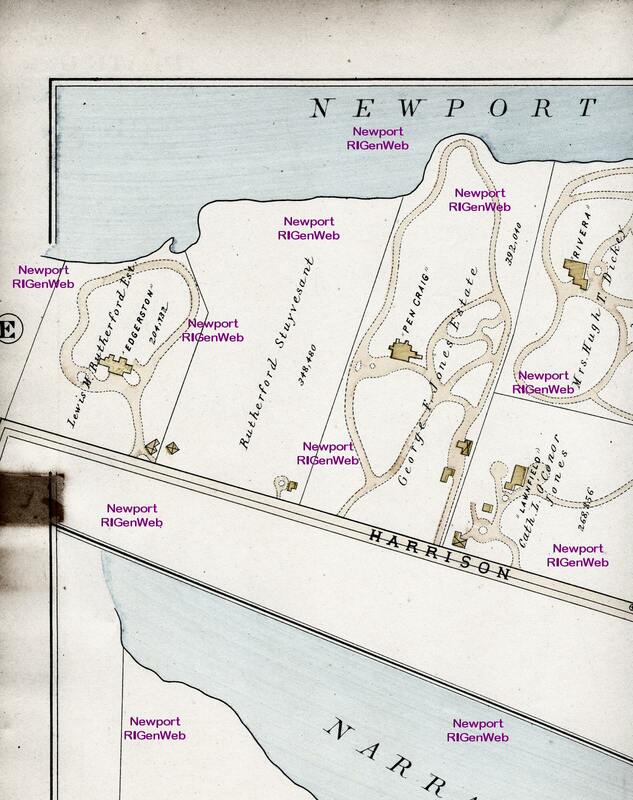 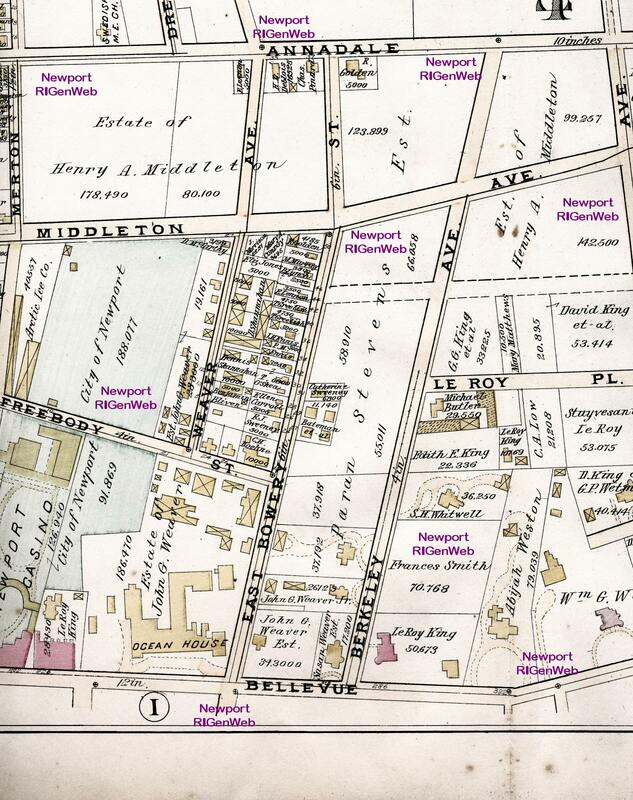 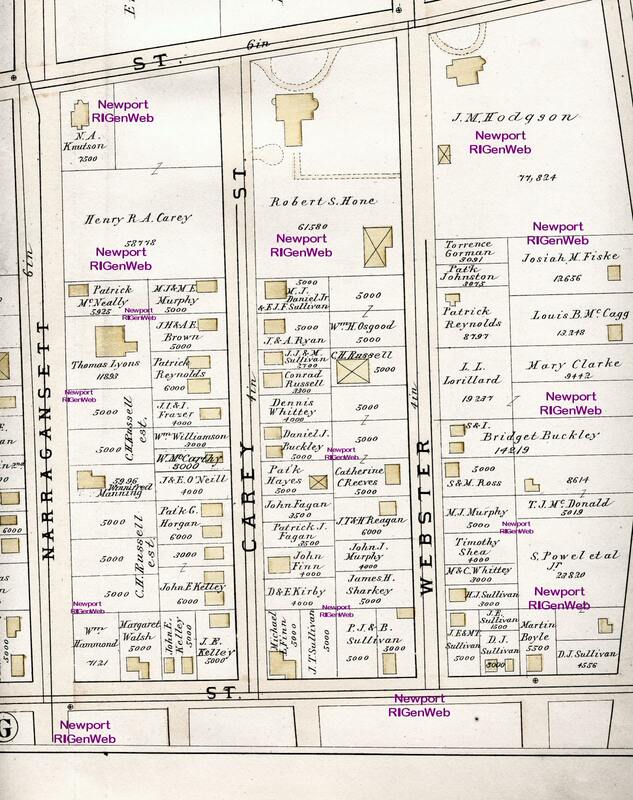 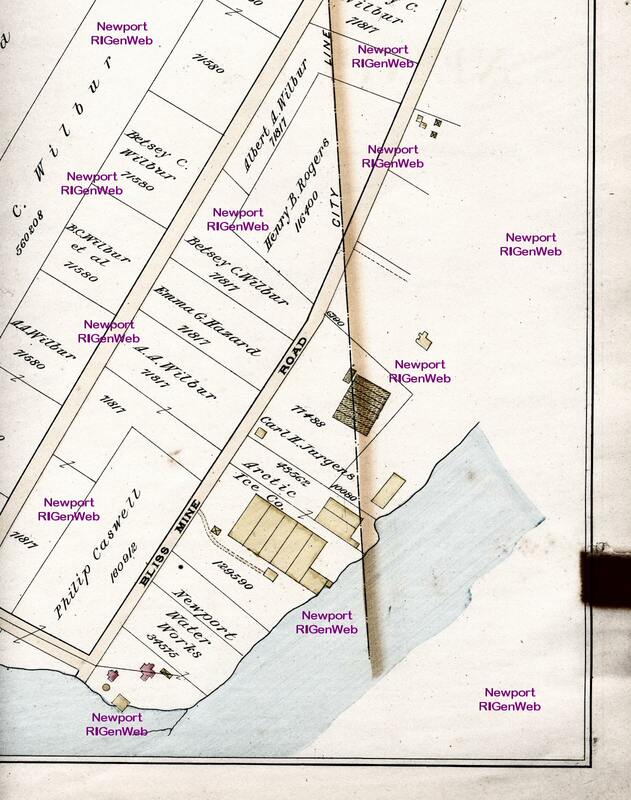 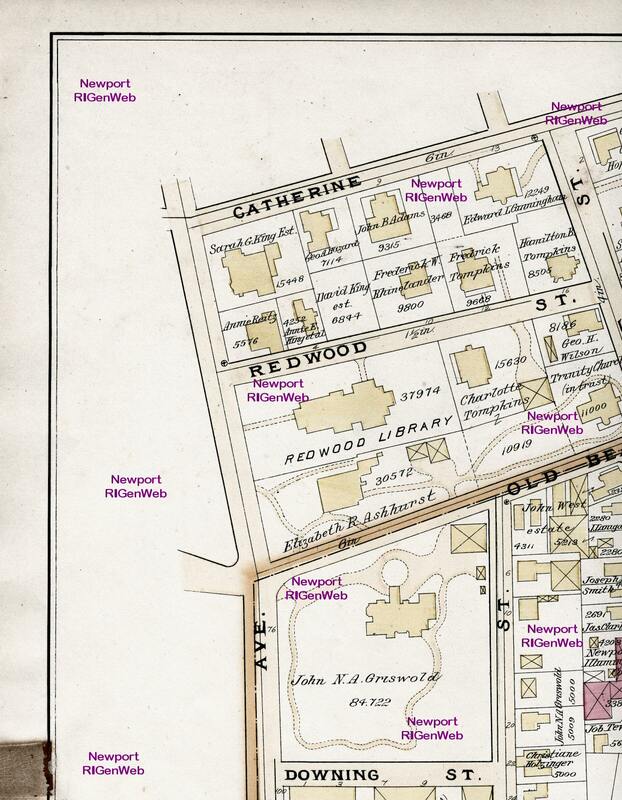 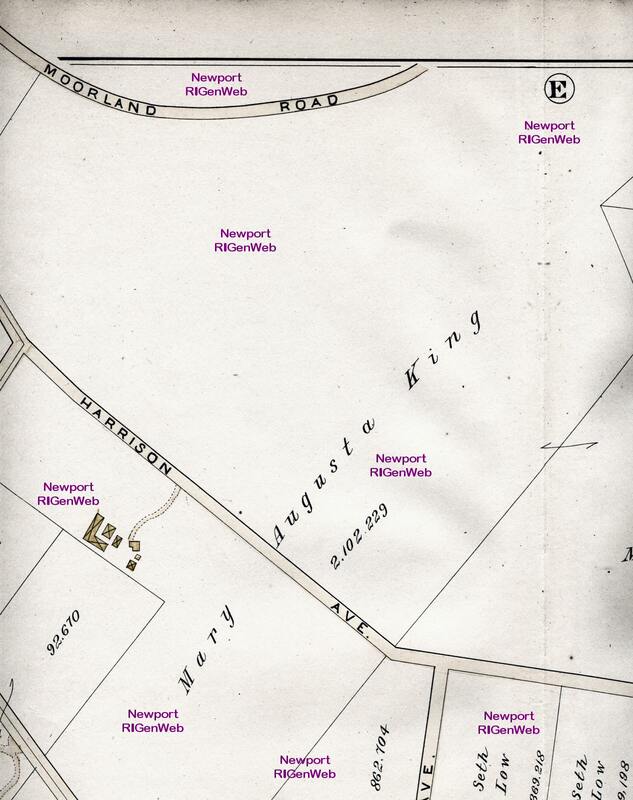 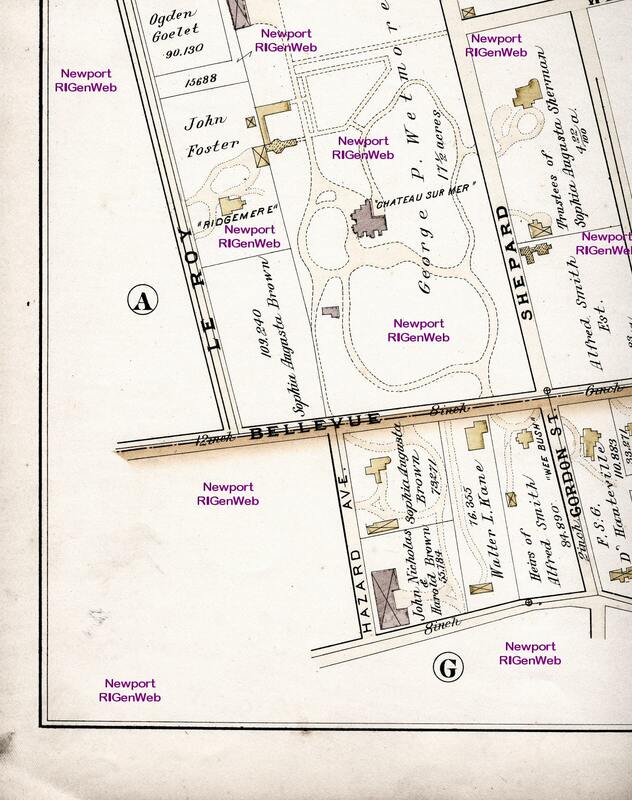 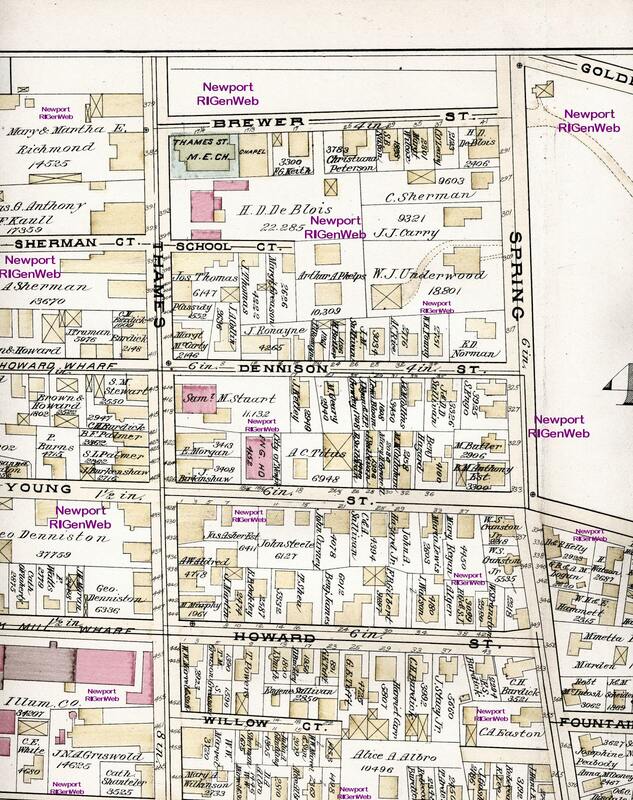 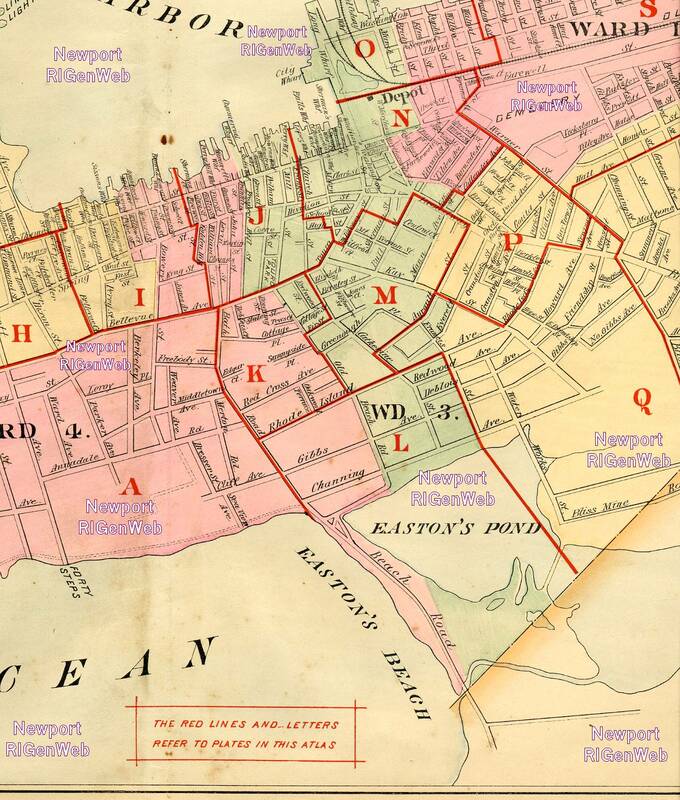 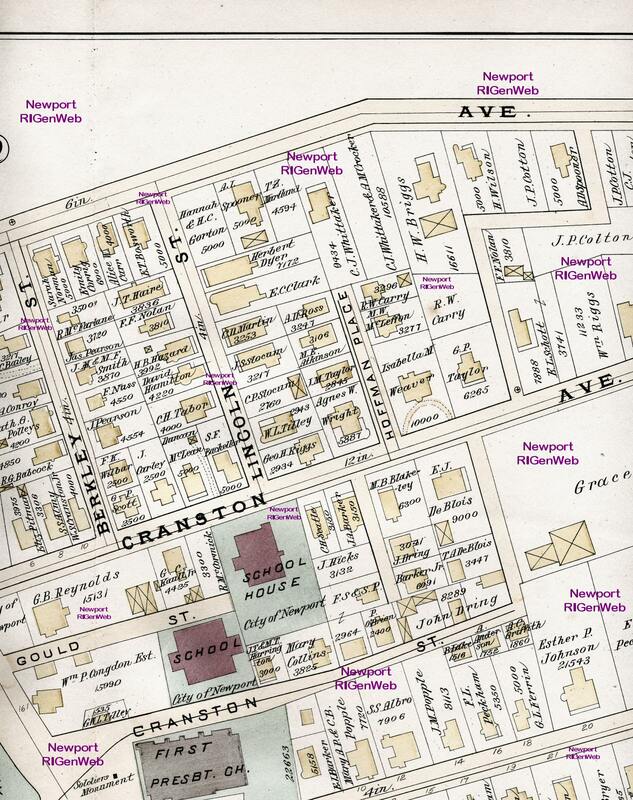 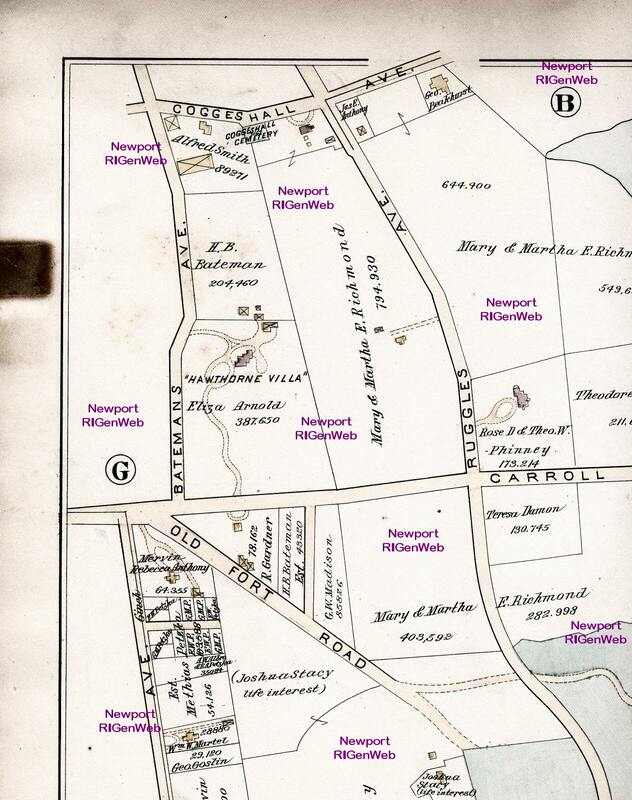 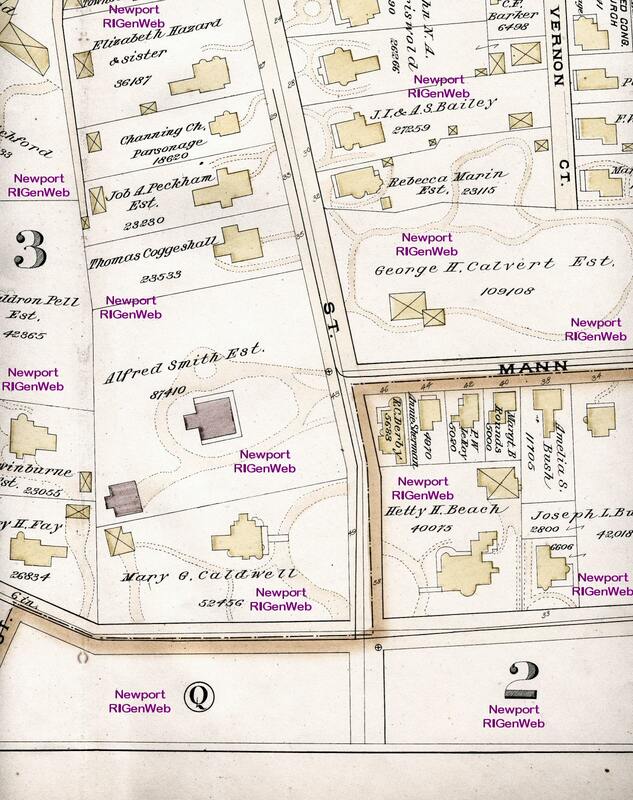 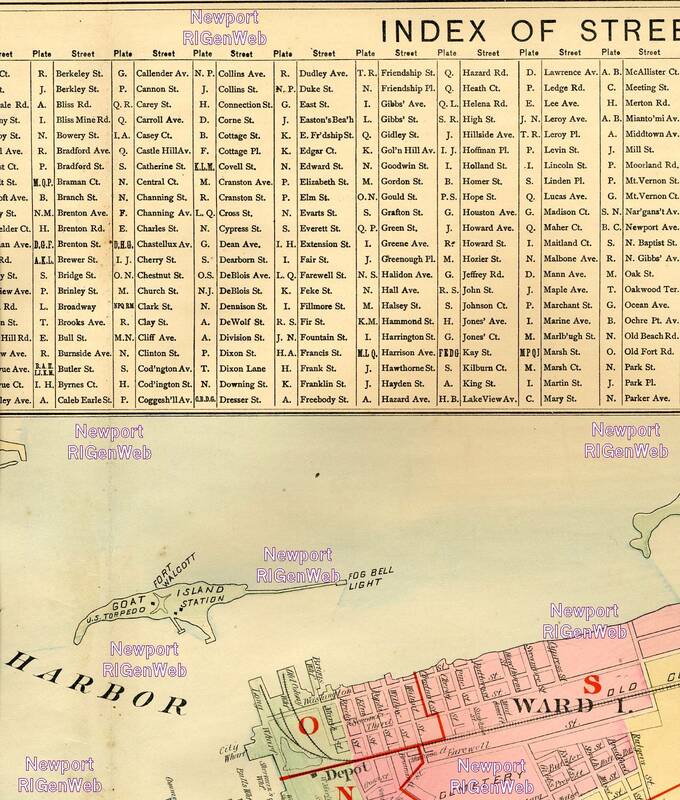 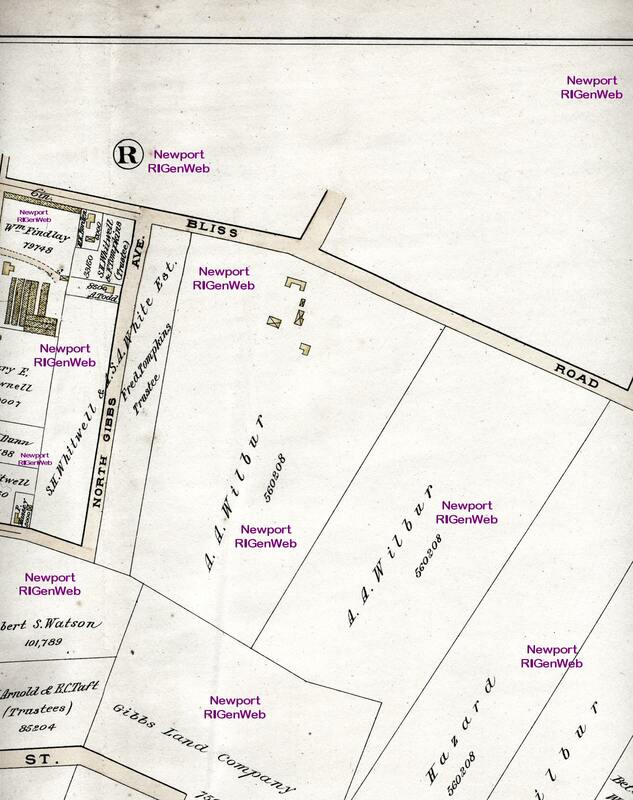 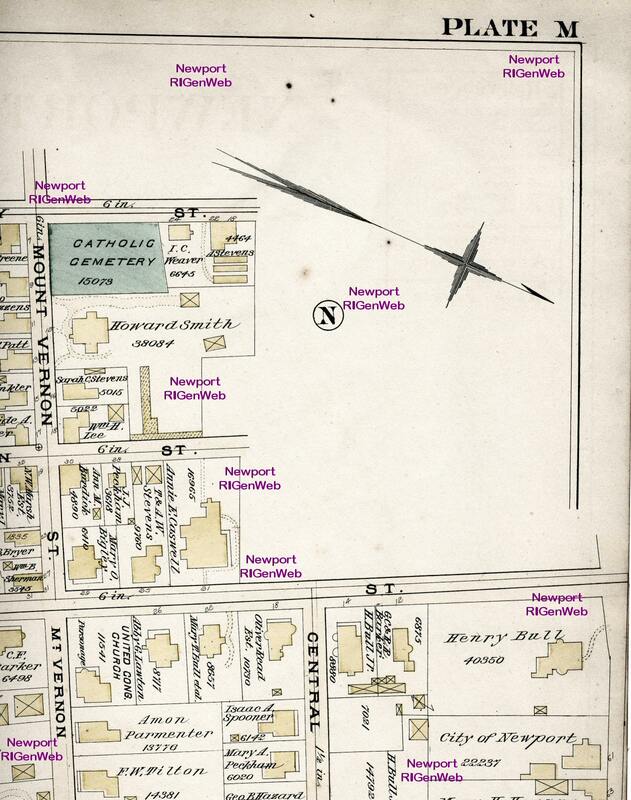 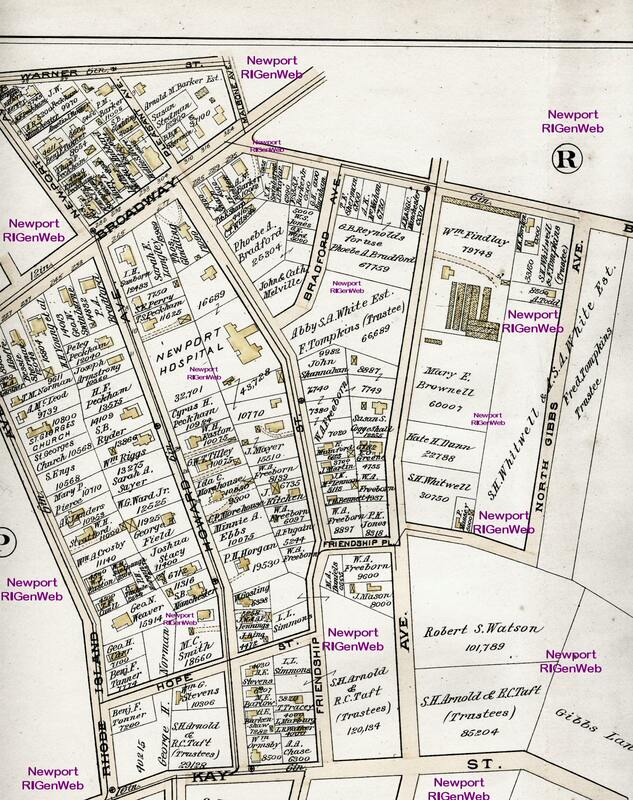 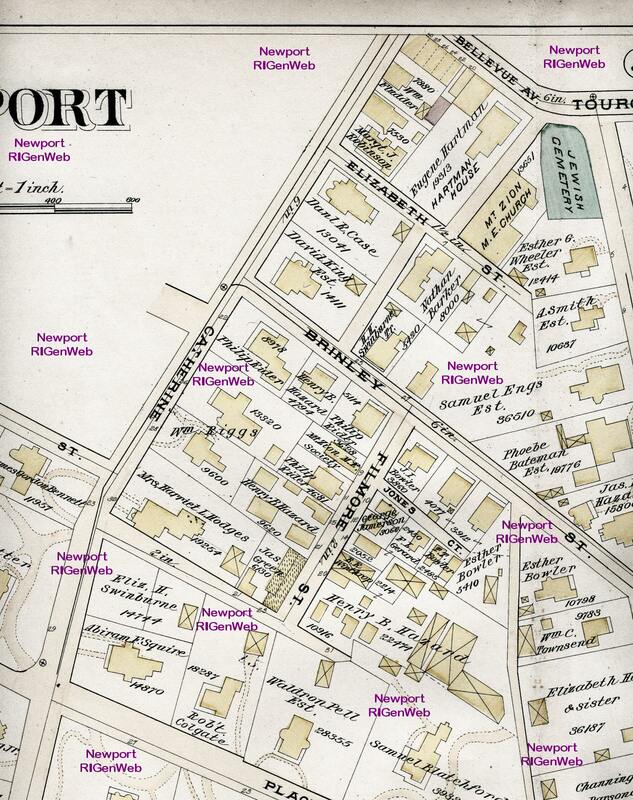 Also shown are the Wards of Newport. 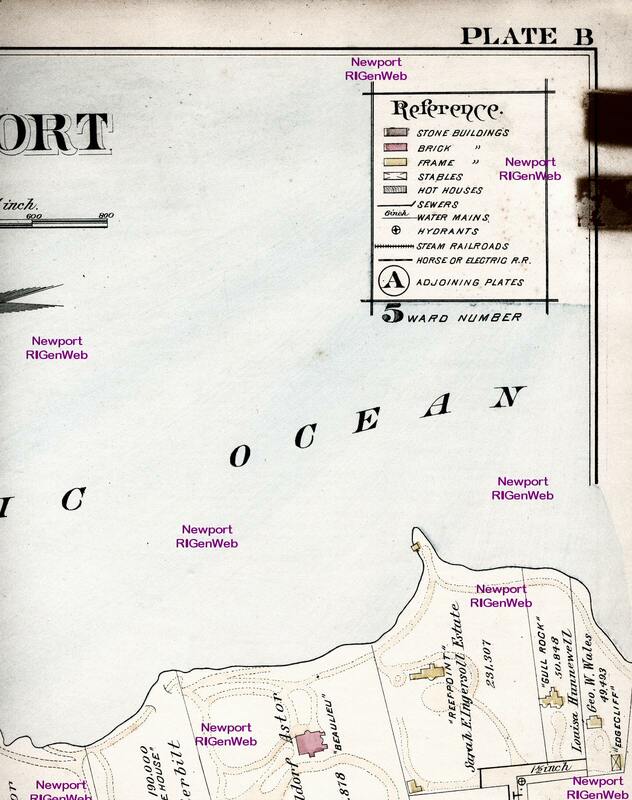 The individual plates of the atlas are scanned in the same pattern as the index page for a total of eight scans per plate. 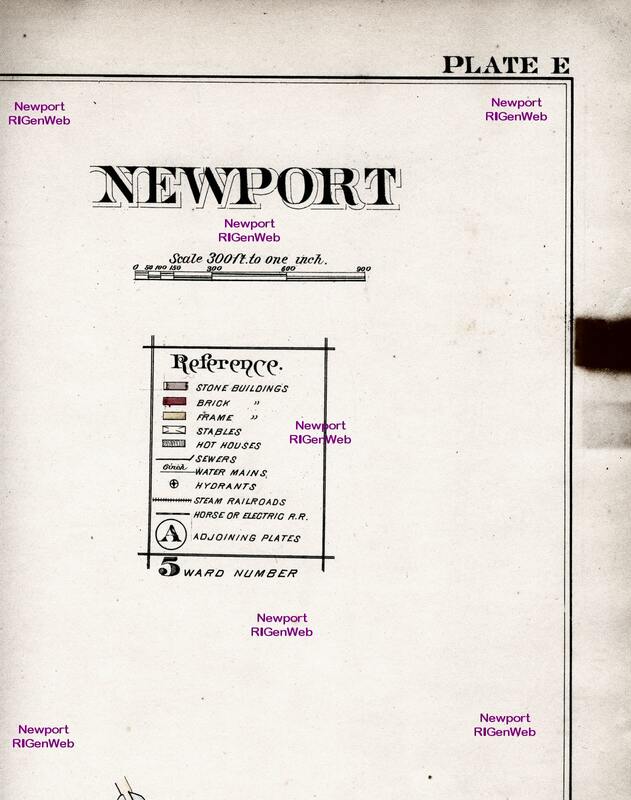 The one exception is plate C, which is half the size. 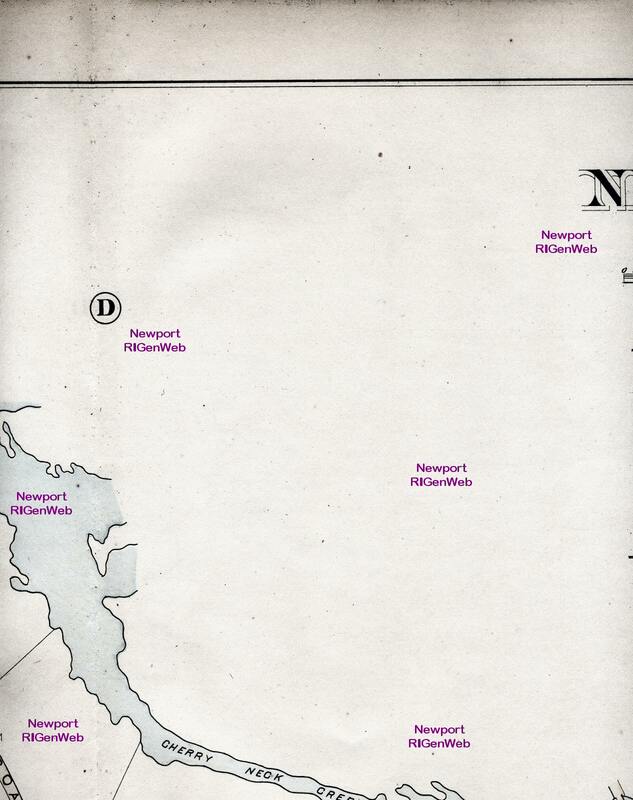 Scan sizes run from 300 kb to about 650 kb, depending upon the colors. 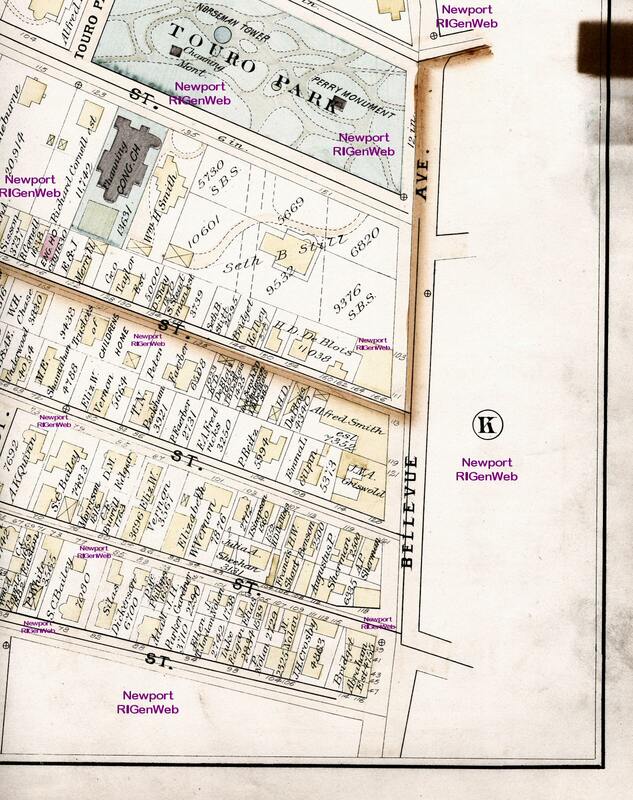 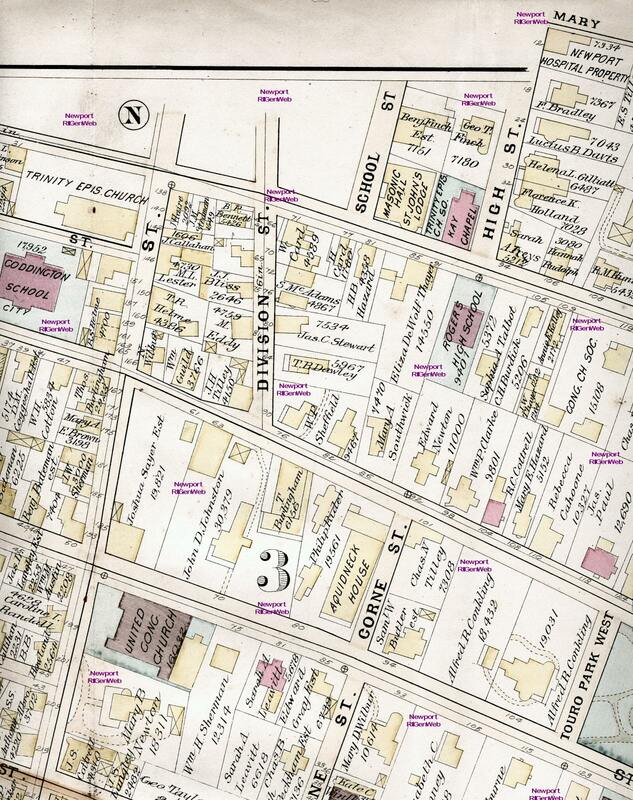 Although the scans are all done at the same resolution, the scale of the maps is not consistent from plate to plate, so you will not be able to paste sections together. 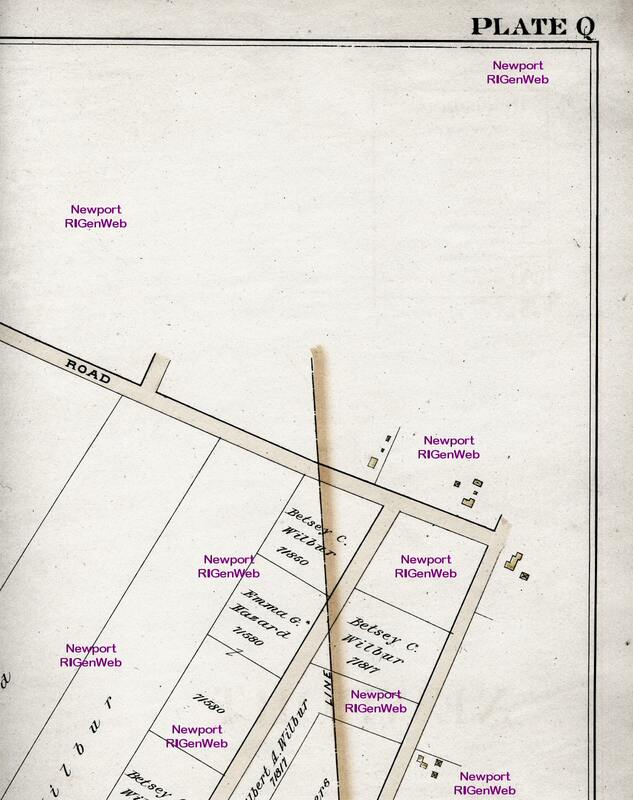 These are configured for viewing on your computer. 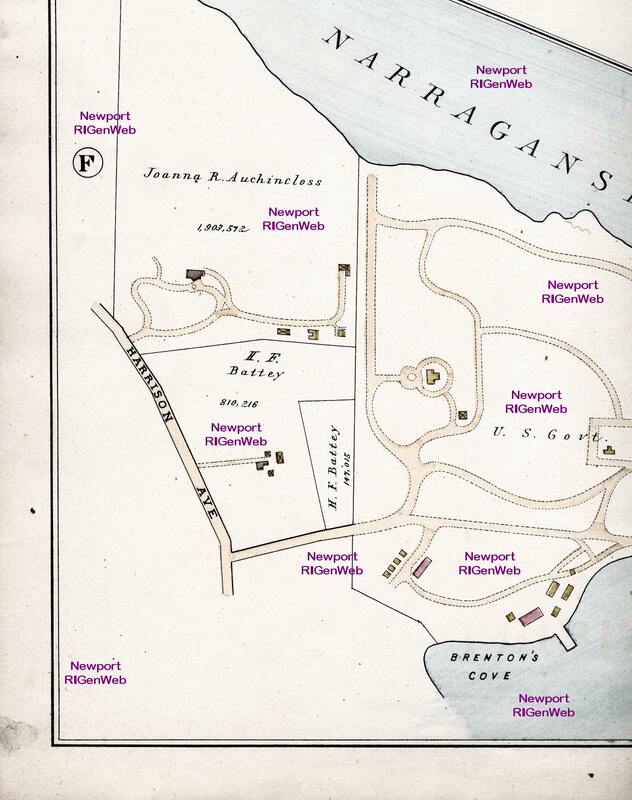 If the image fits the screen in Internet Explorer, click on the image and then click on the square icon in the lower right corner to expand it to full size. 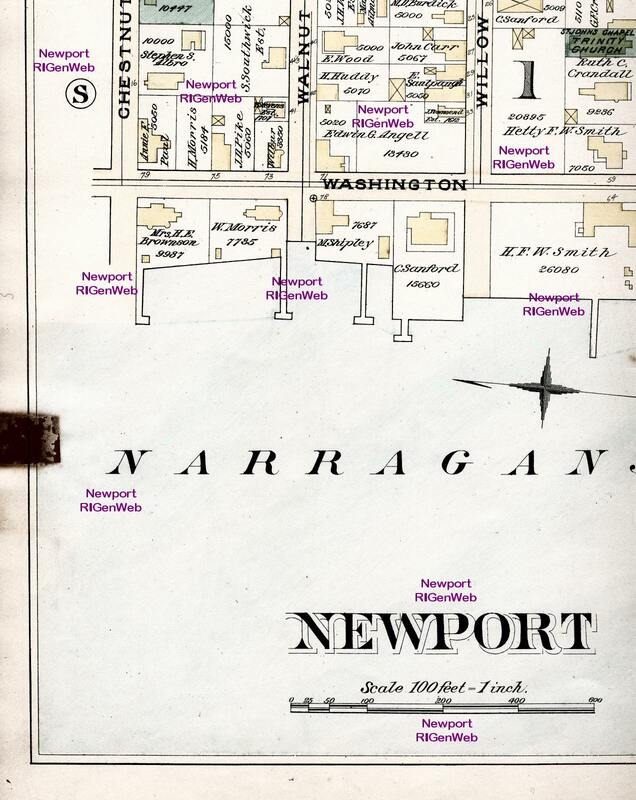 For printing, save and use an imaging program.